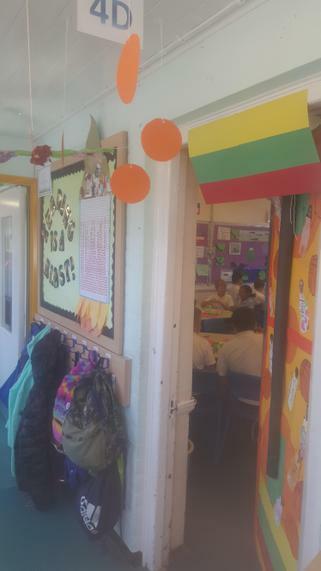 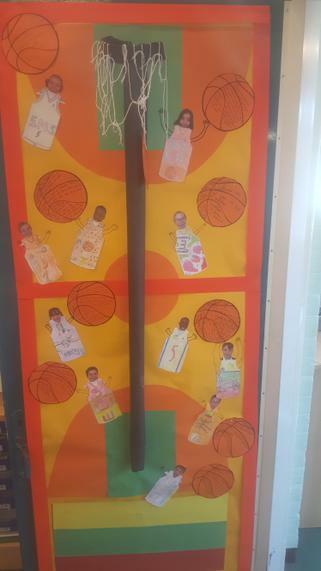 So proud of 4D's commitment and enthusiasm about international week. 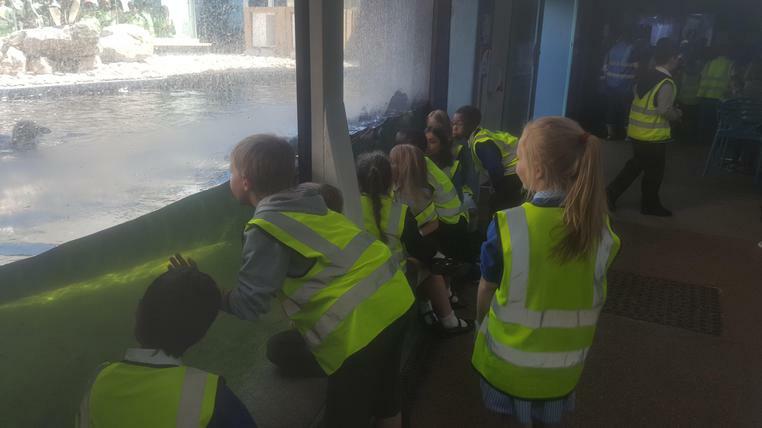 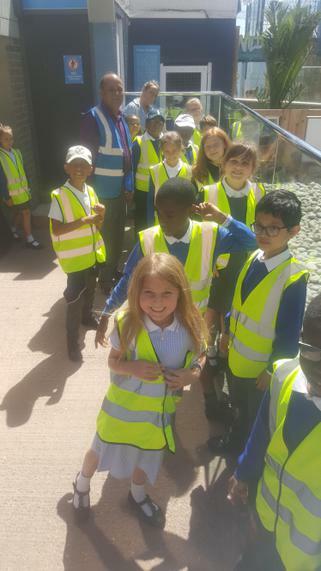 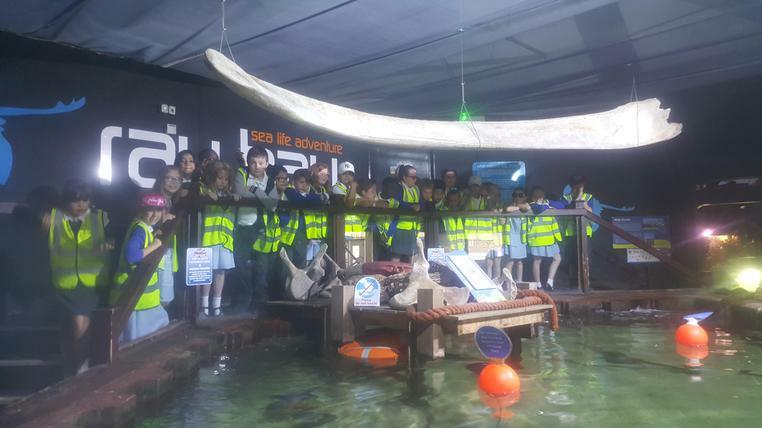 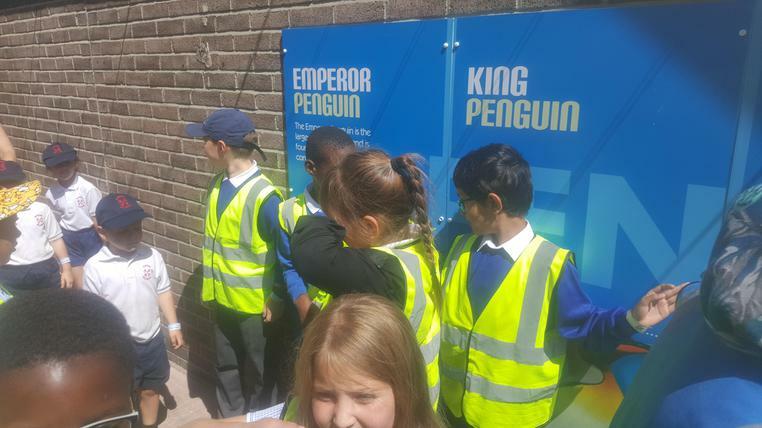 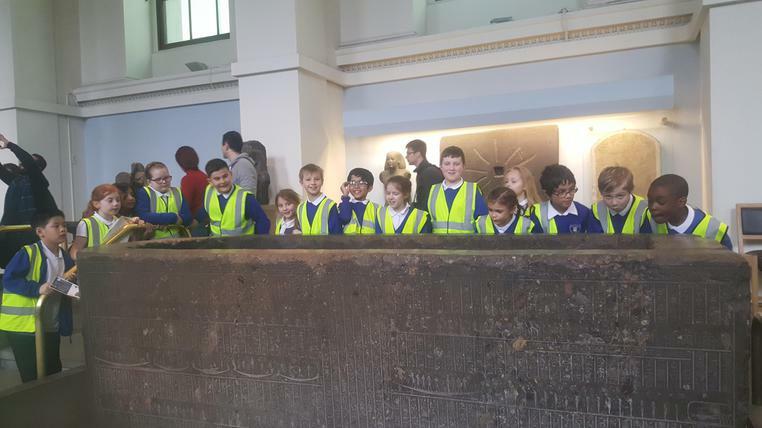 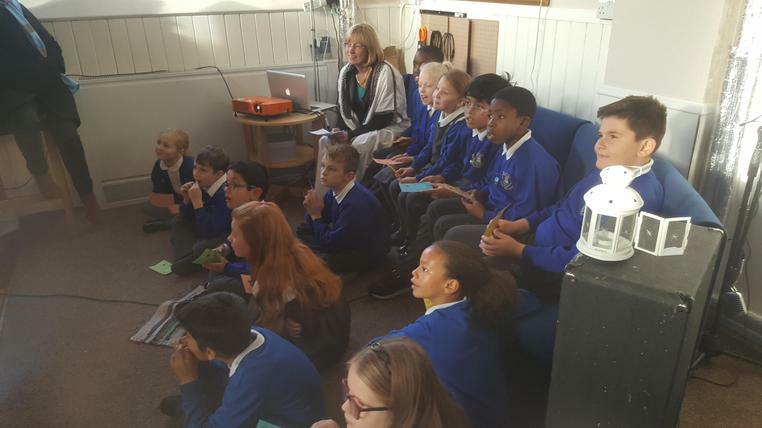 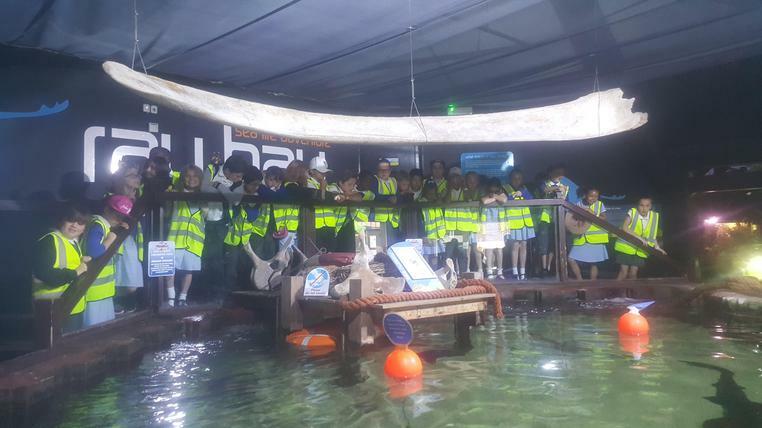 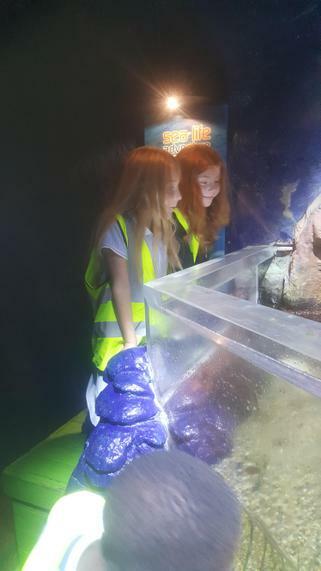 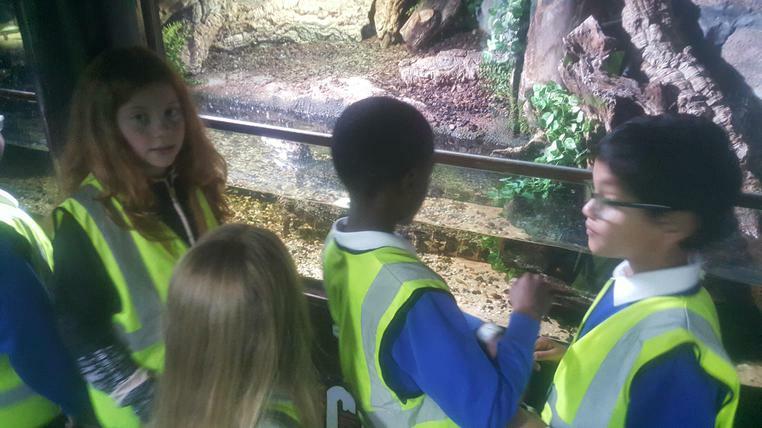 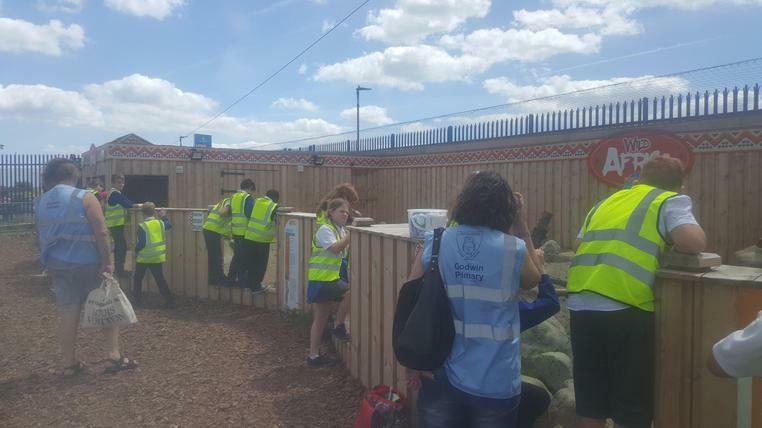 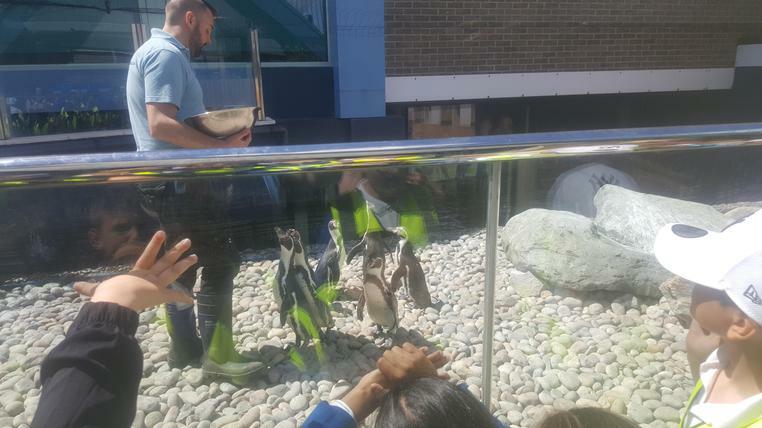 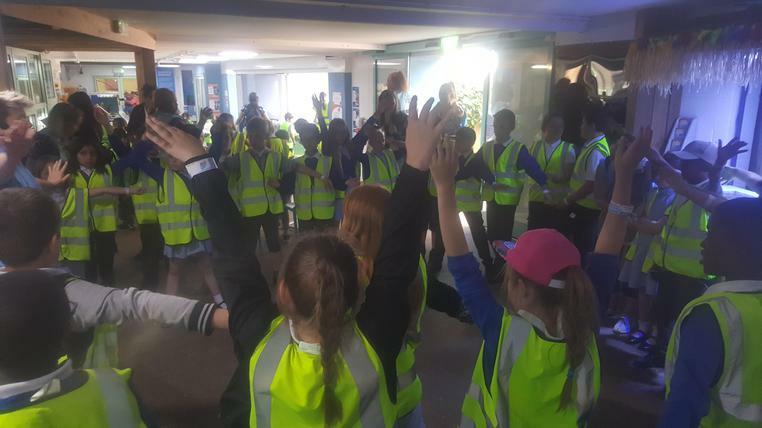 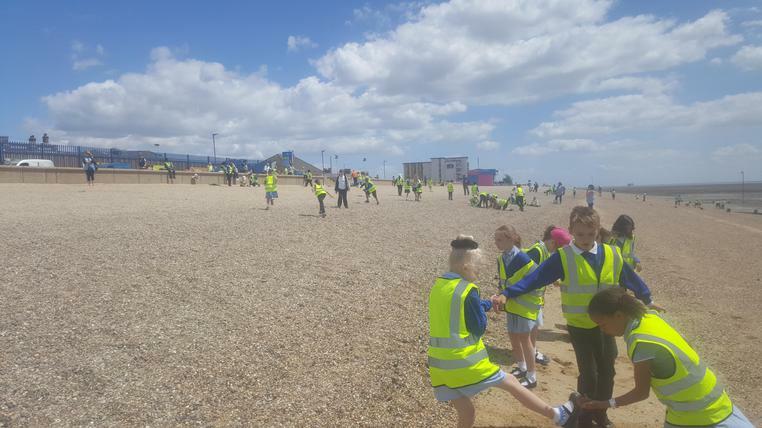 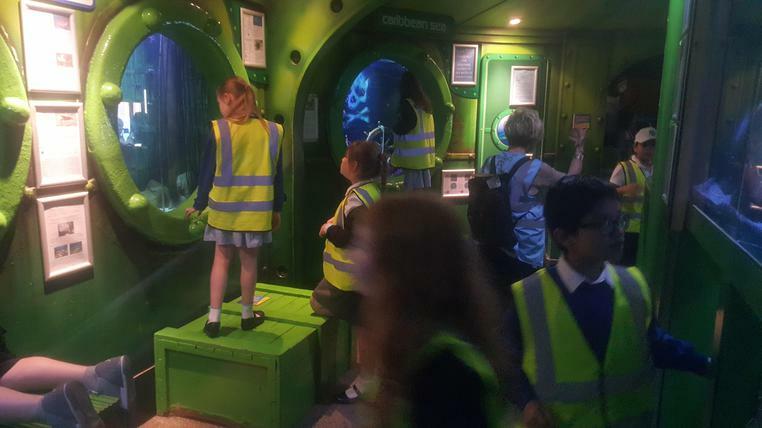 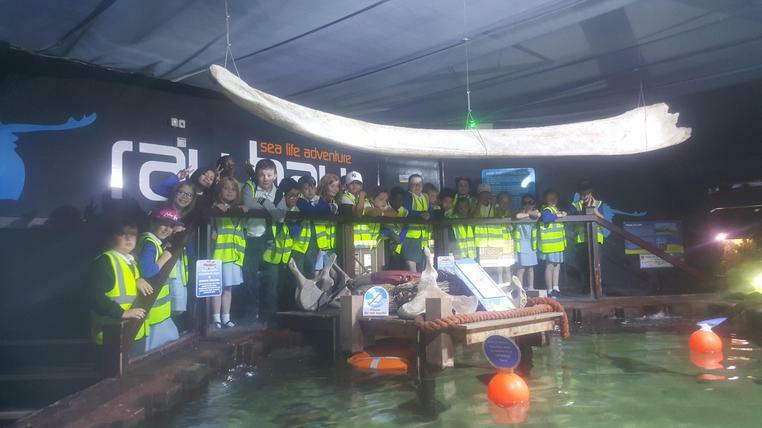 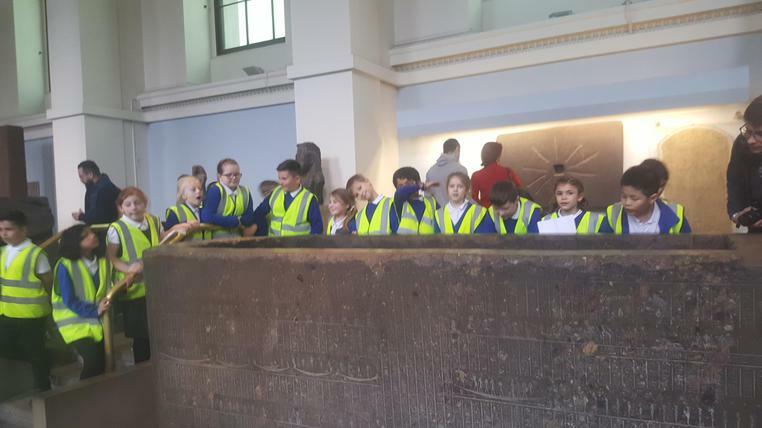 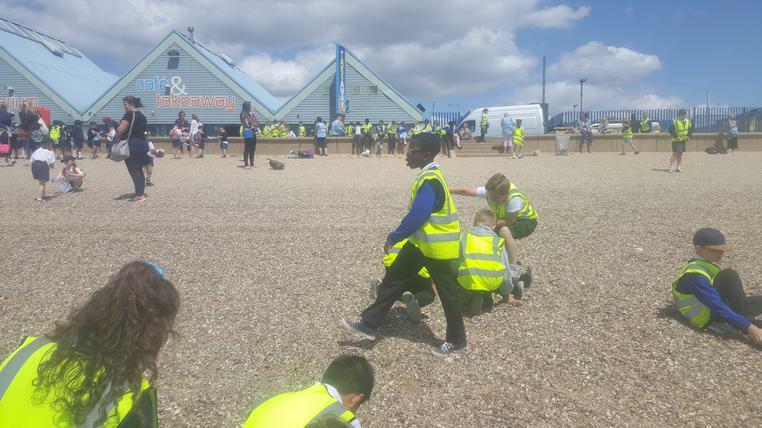 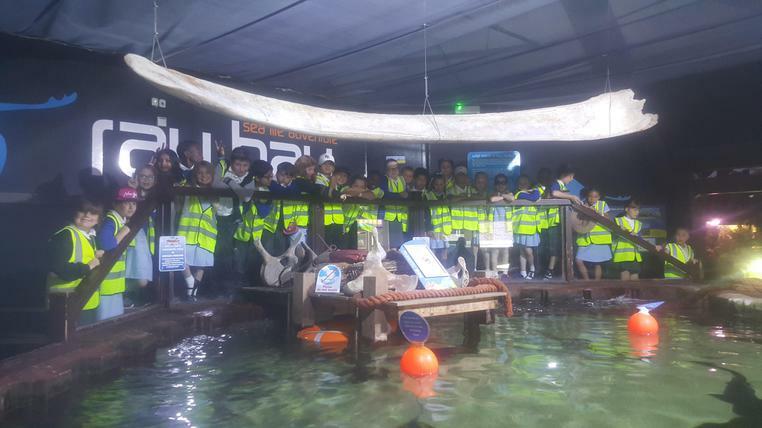 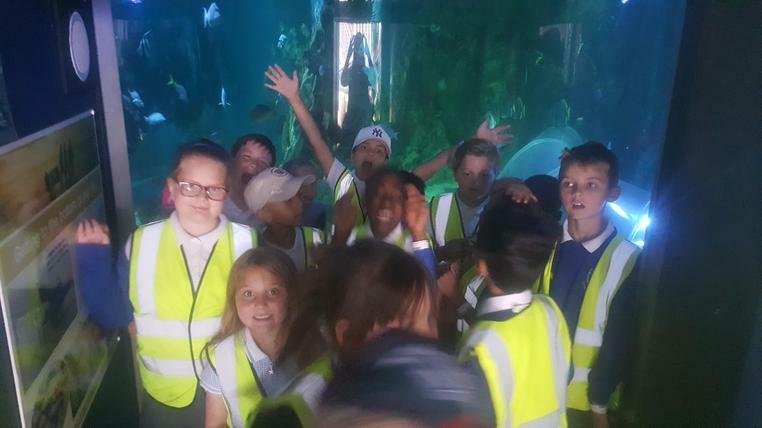 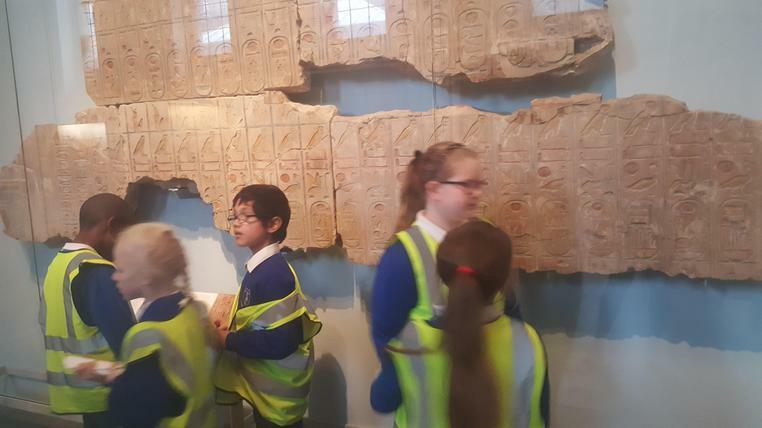 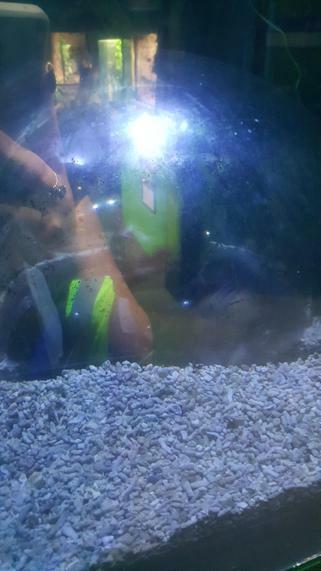 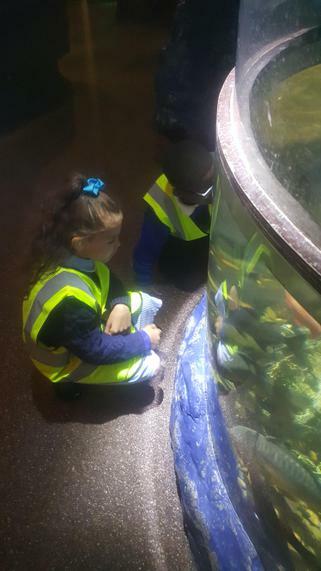 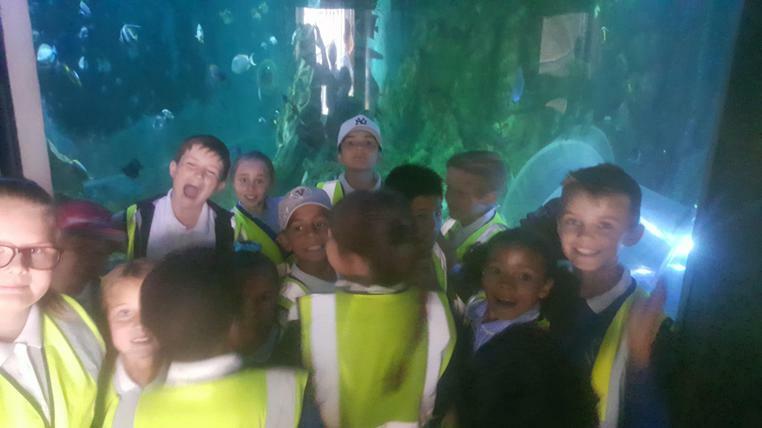 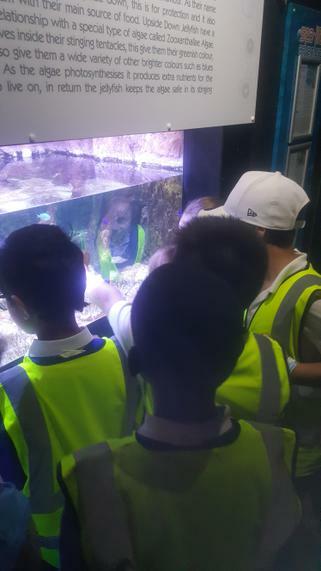 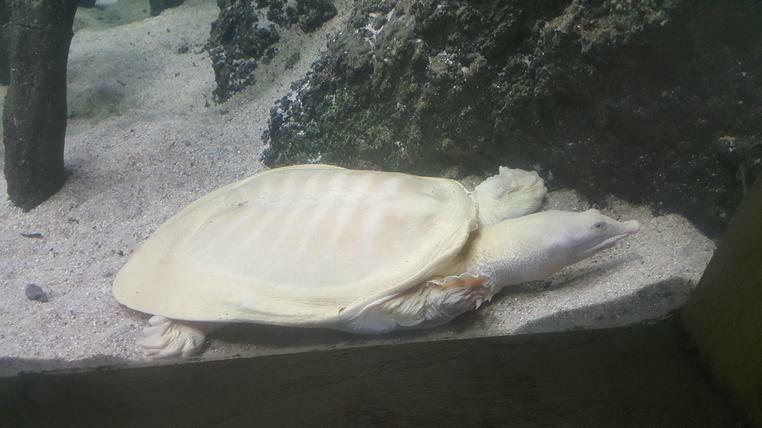 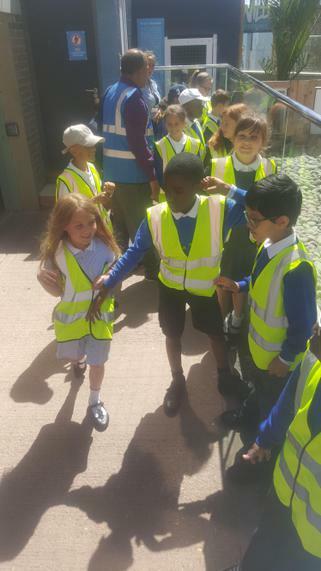 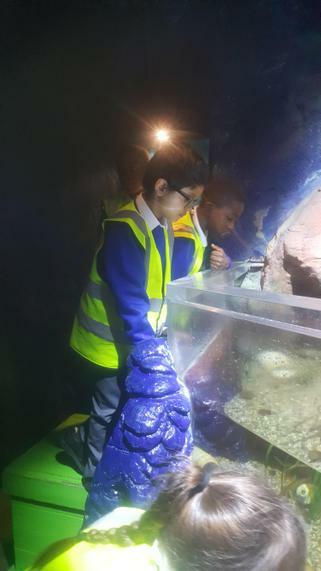 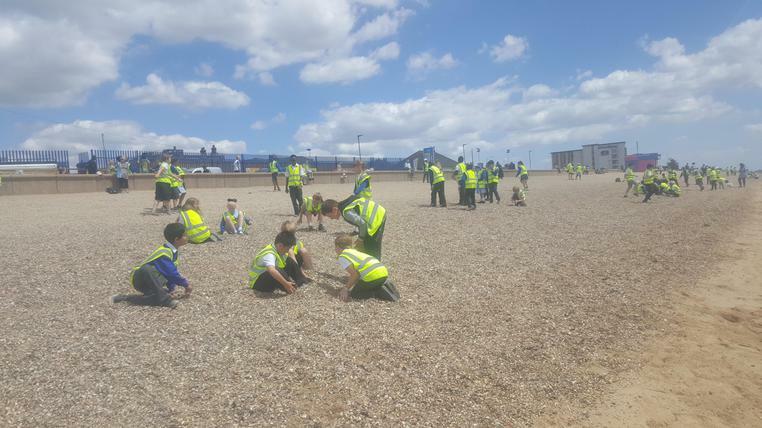 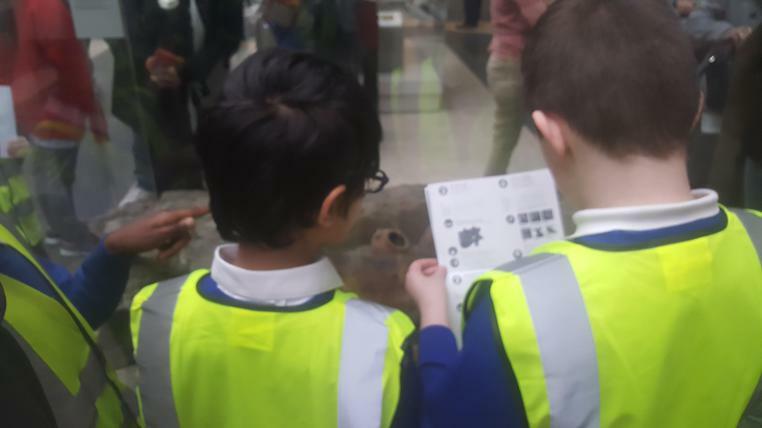 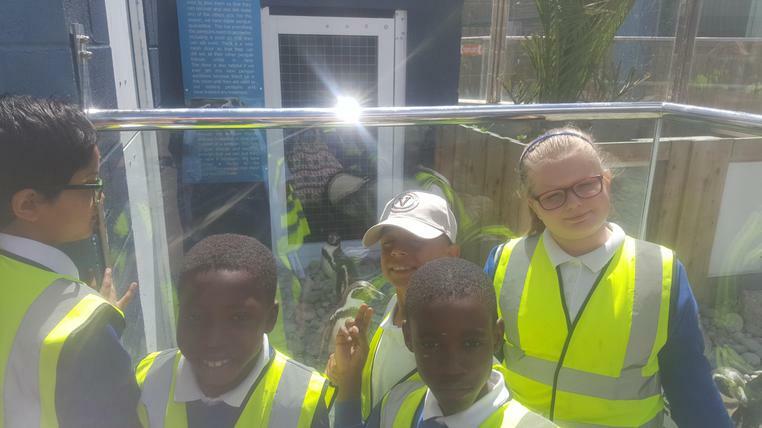 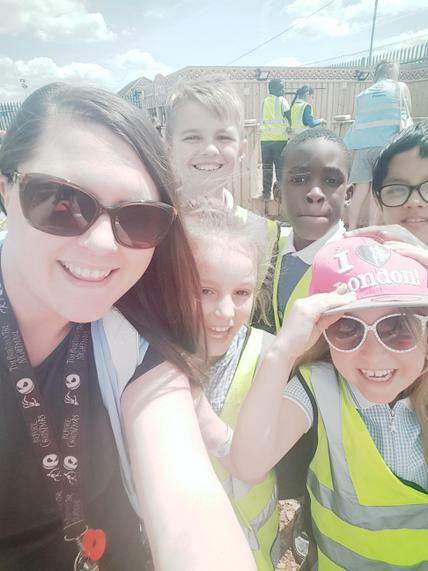 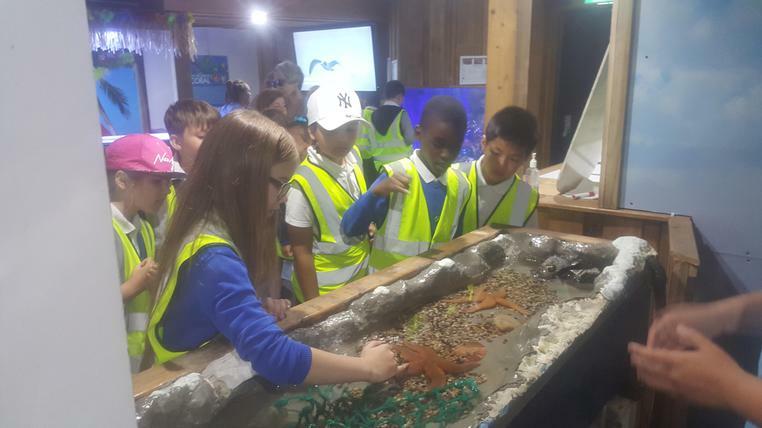 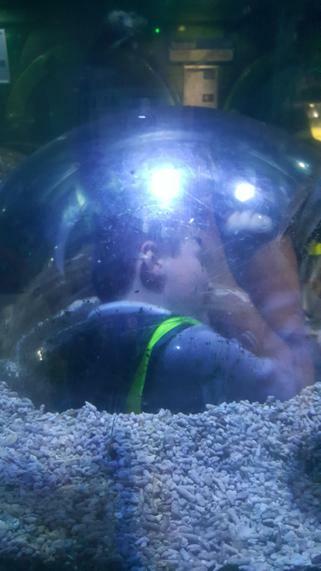 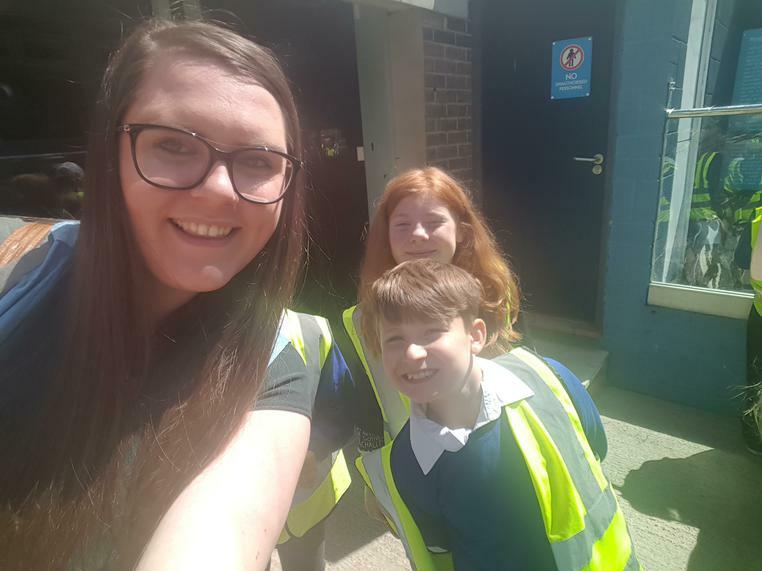 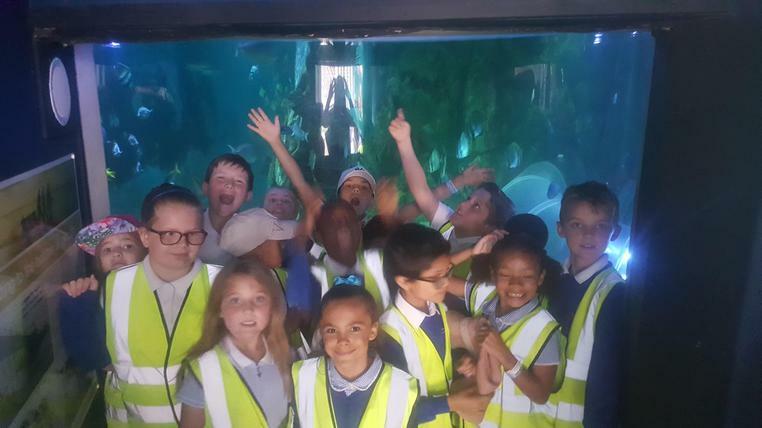 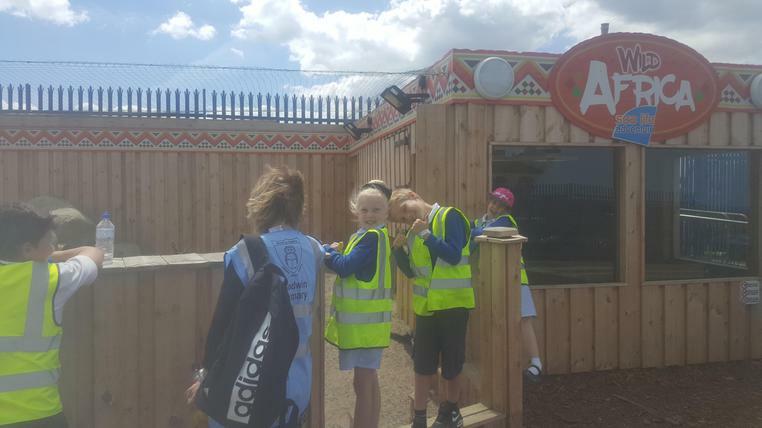 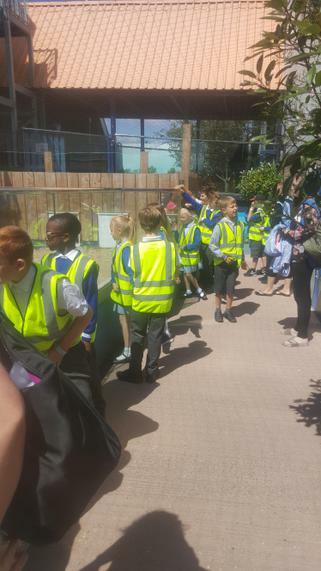 Take a look at our week..
Year 4's trip to Southend Sea life Adventure! 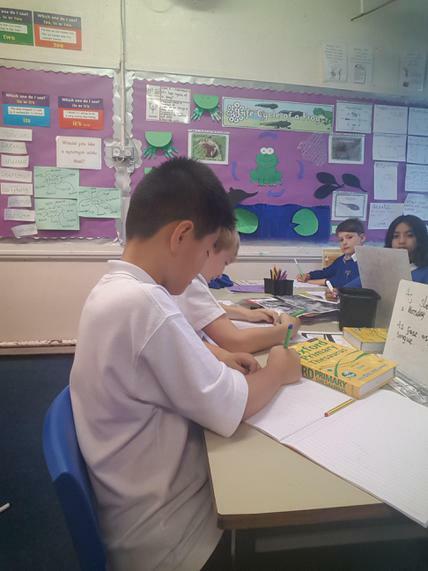 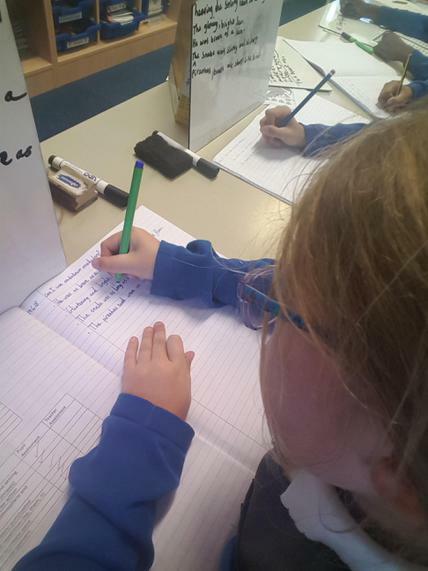 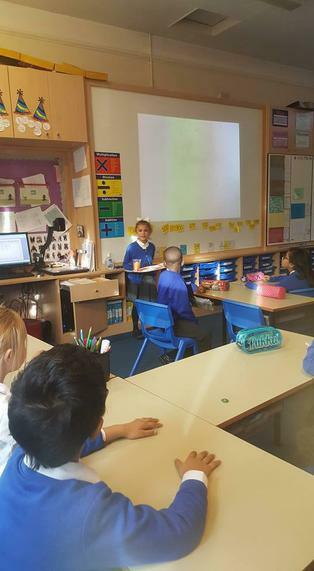 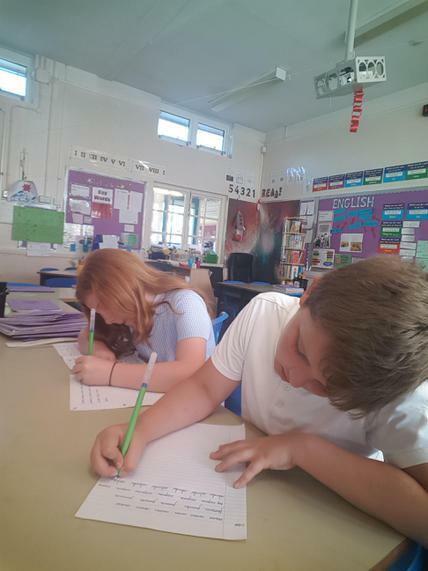 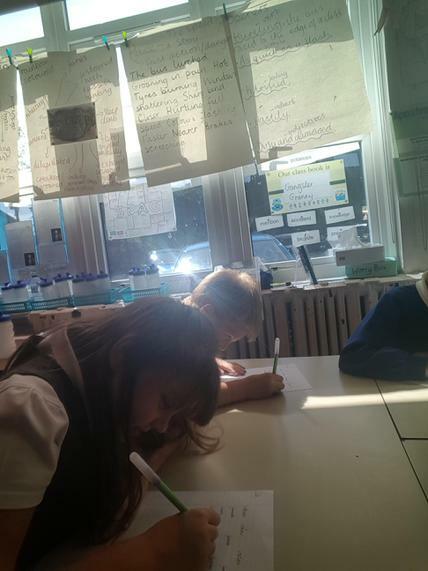 Handwriting is very important in 4D and we have been trying extremely hard to improve our presentation. 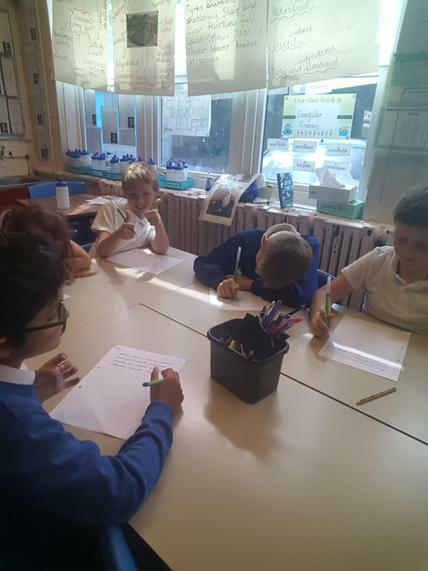 Lots of us have been in a special handwriting club and one by one we are leaving the group as we have earned our pen licences! 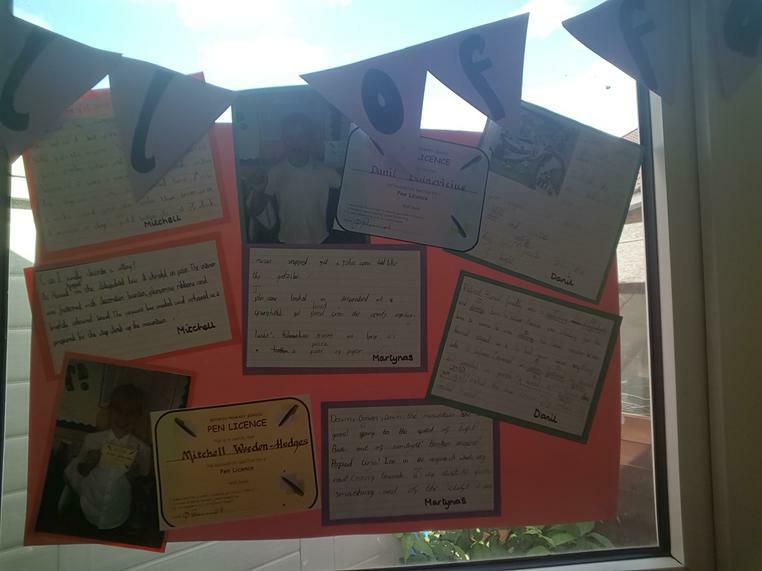 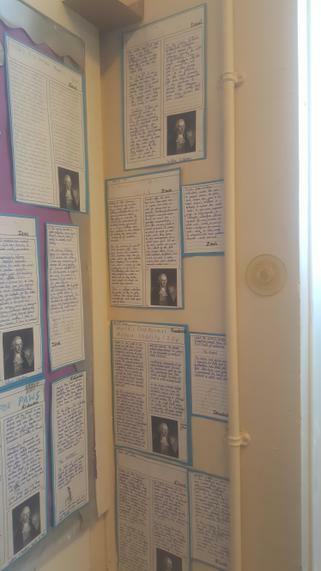 Have a look at 4D's Handwriting Hall of Fame. 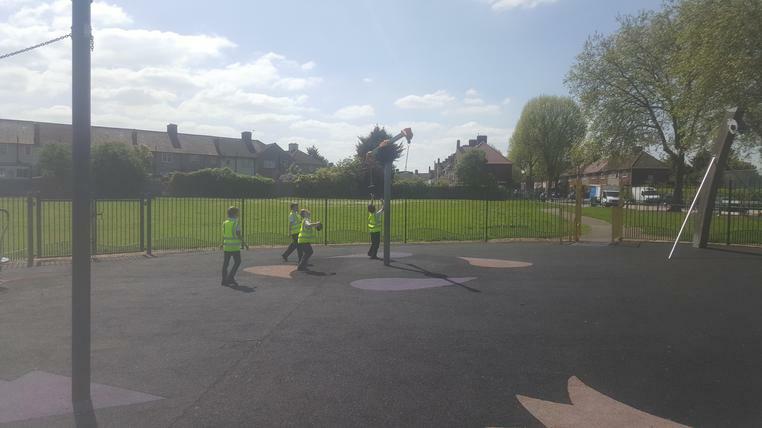 Have a look at the massive improvements we have made! 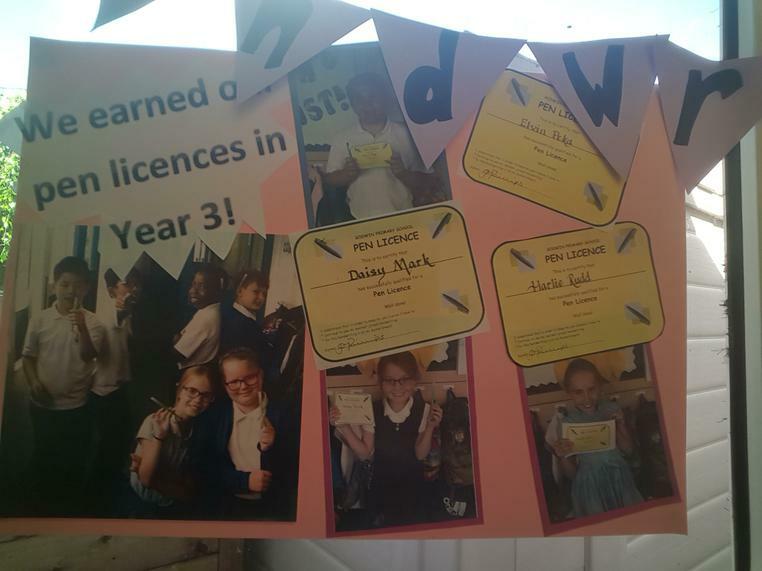 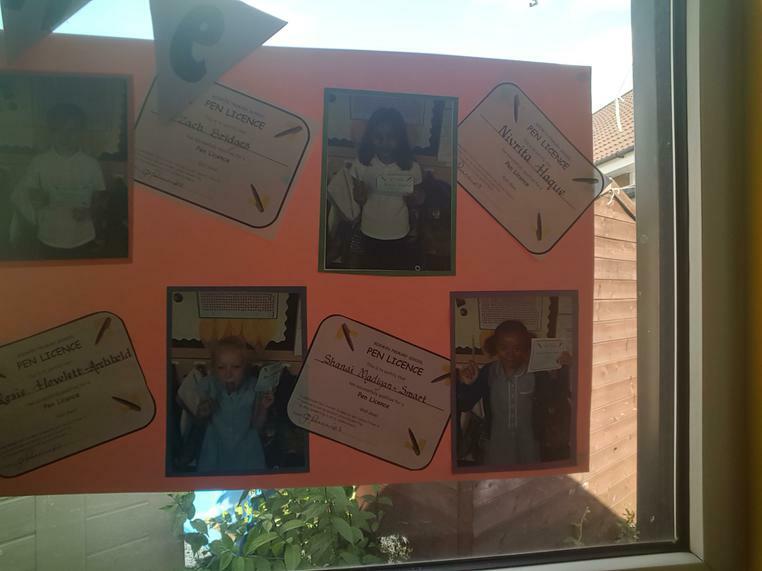 Can you see who has earned a pen licence? 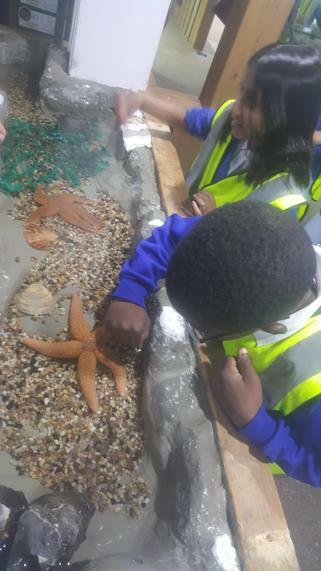 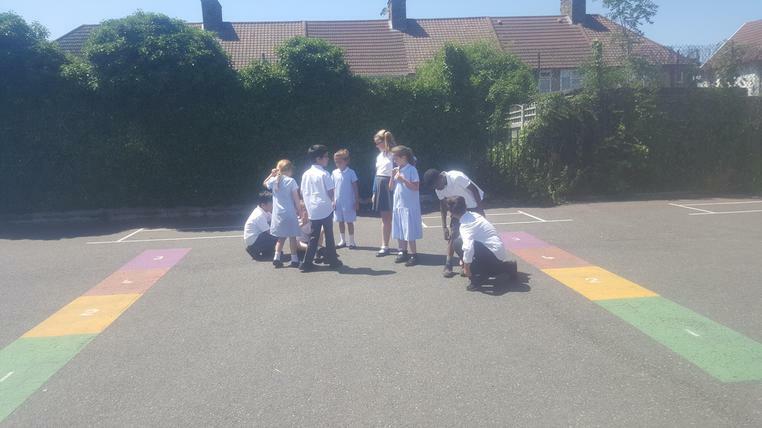 Our final IPC topic is Land, Sea and Sky. 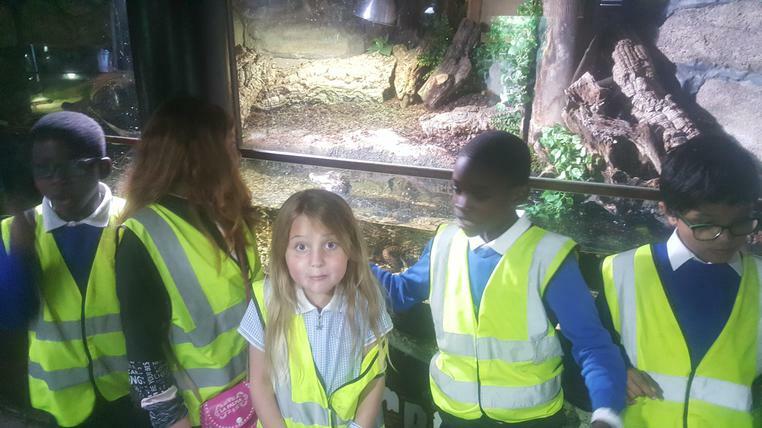 We learn all about animals, plants, habitats and food chains. 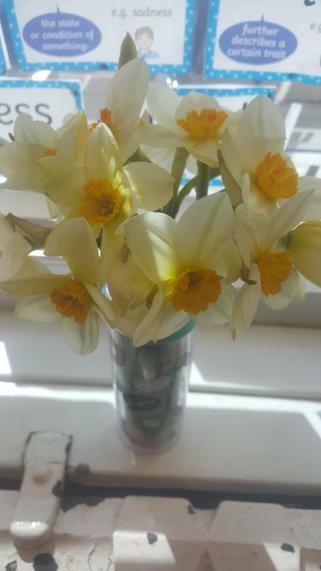 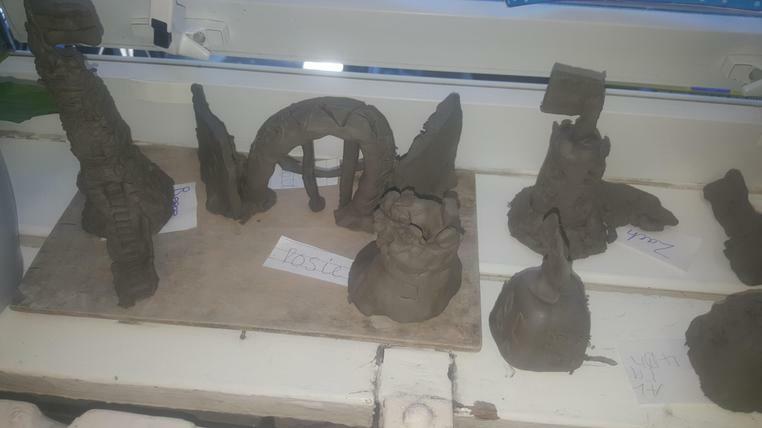 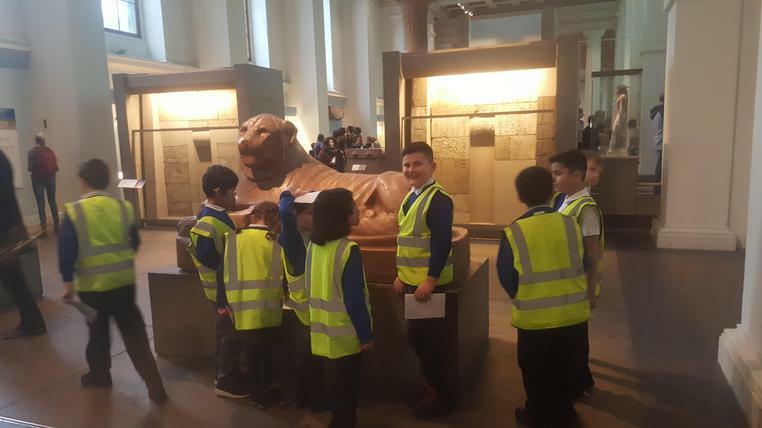 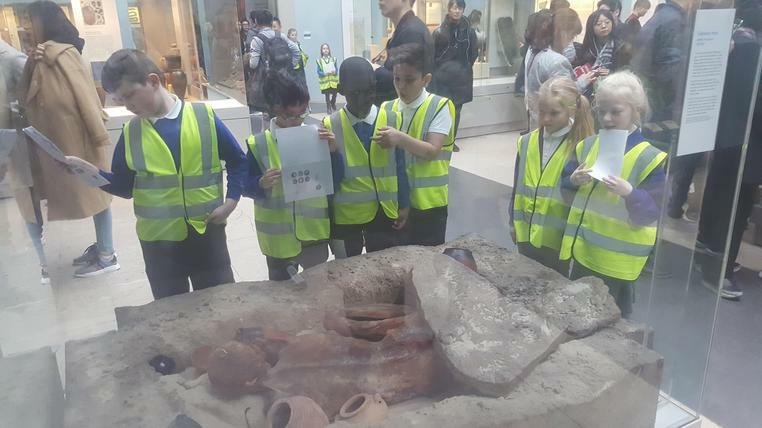 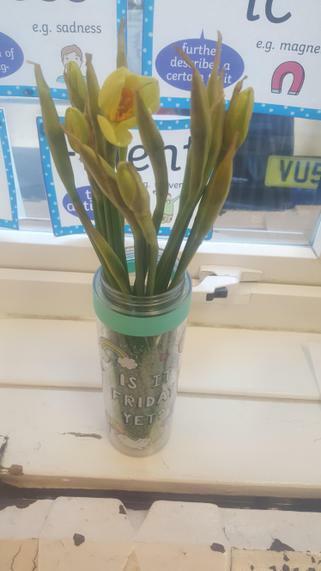 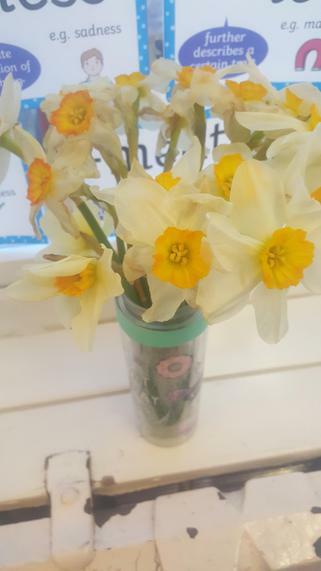 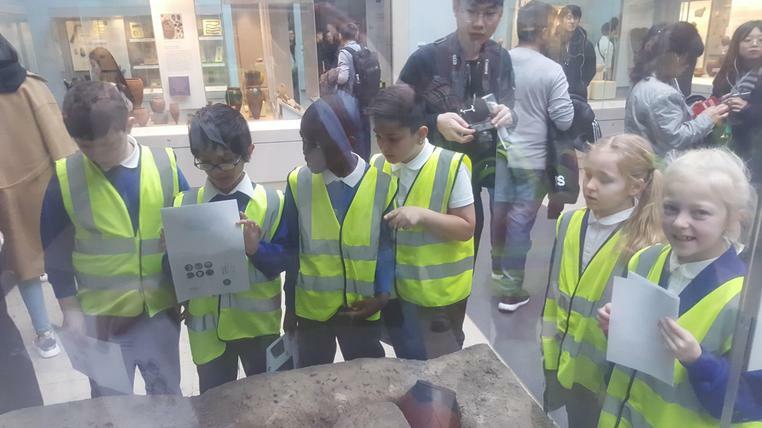 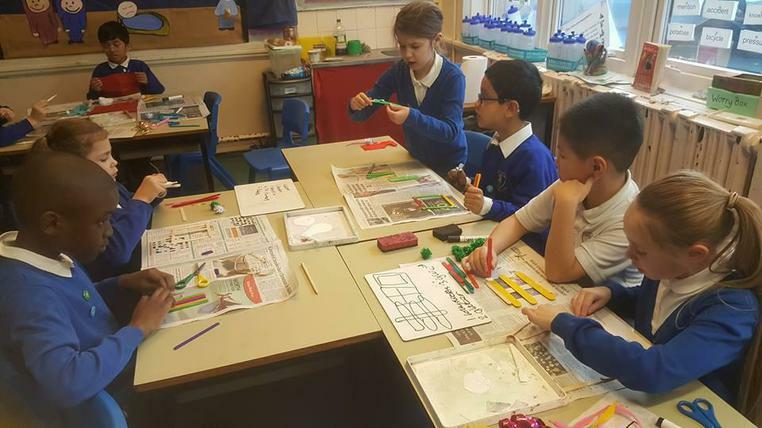 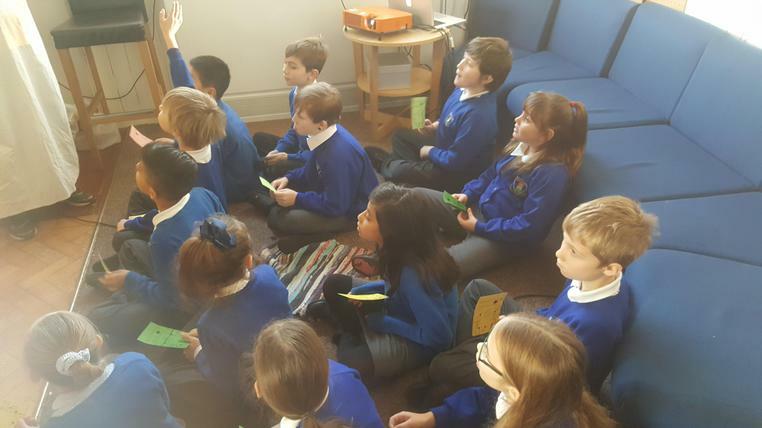 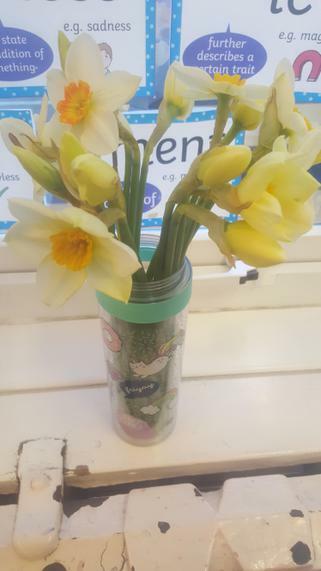 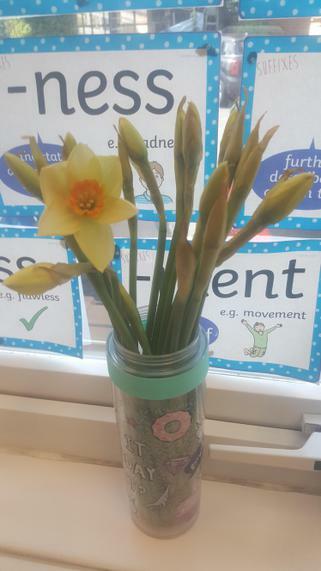 Take a look at our learning below. 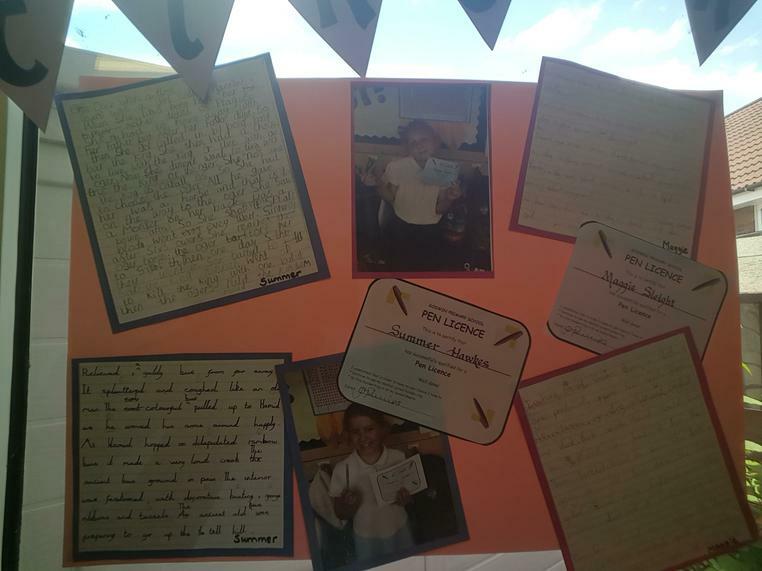 We are so proud of our writing in 4D and have made lots of improvements. 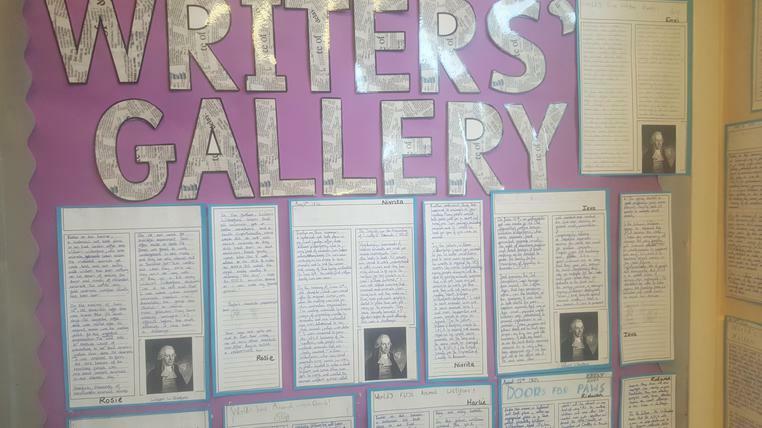 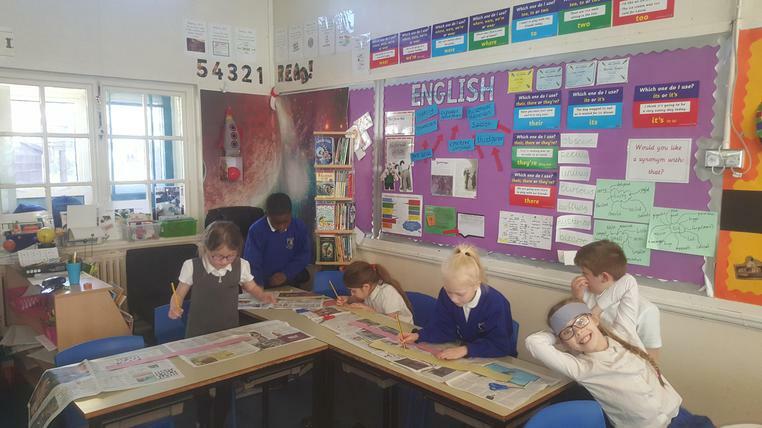 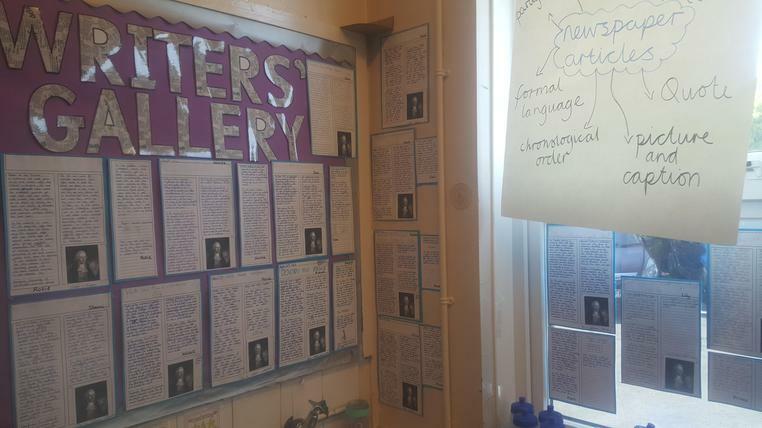 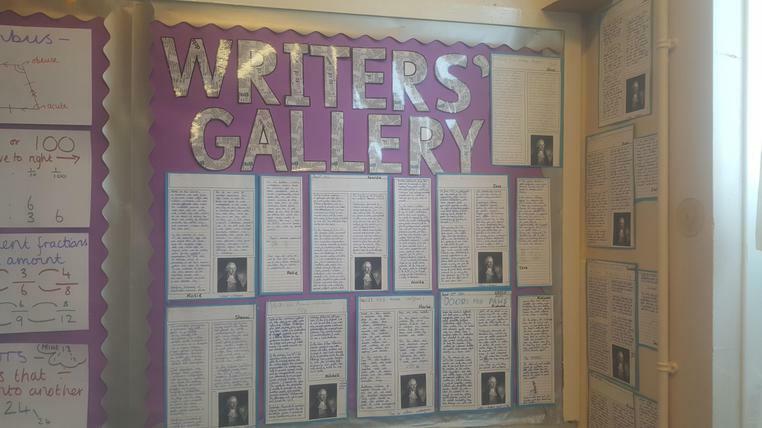 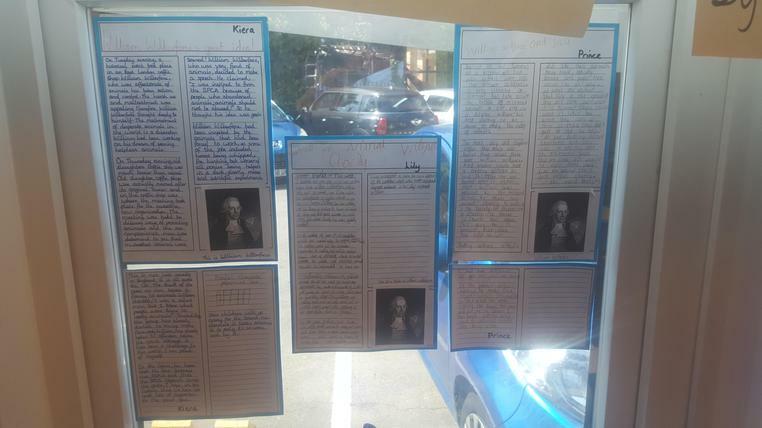 Have a look at our newspaper articles on display, can you spot yours? 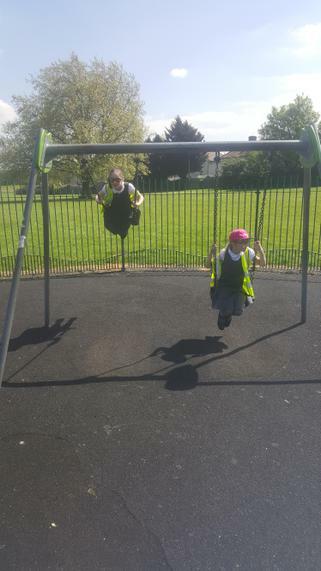 We saved up 2 wins of Green Time and spent an hour at the park. 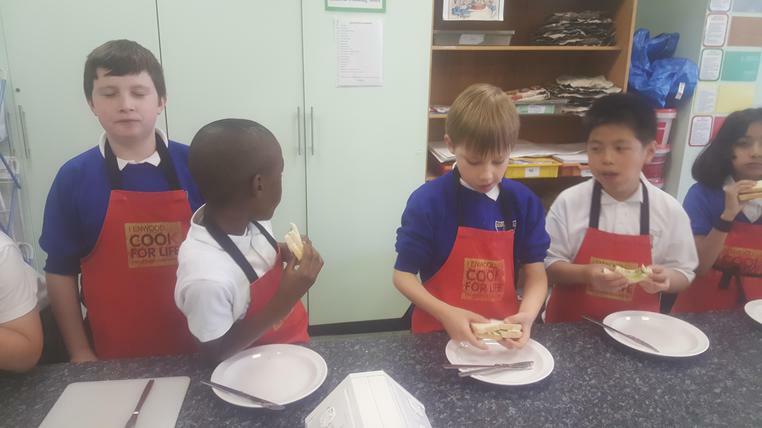 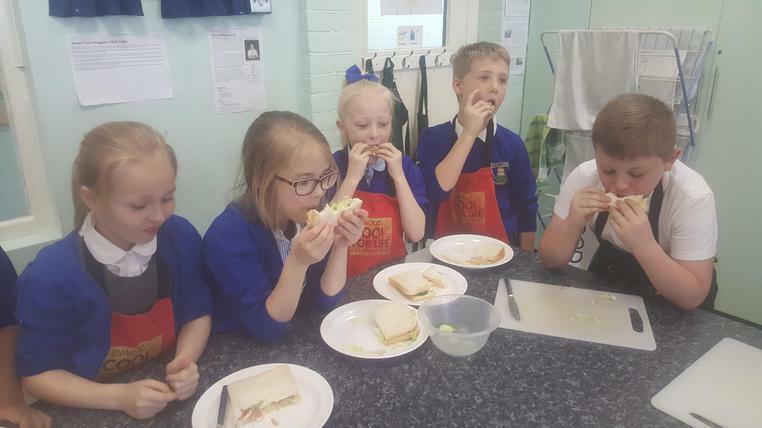 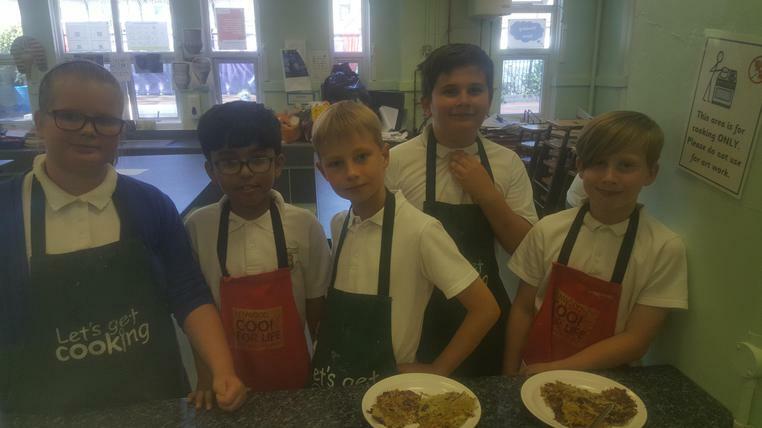 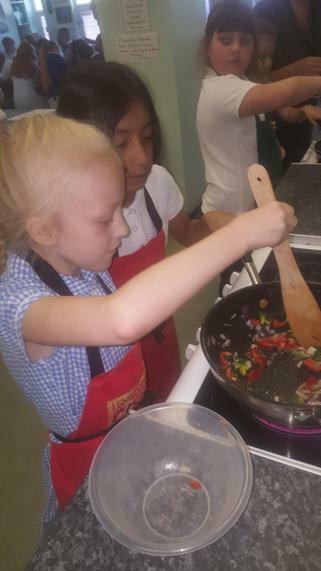 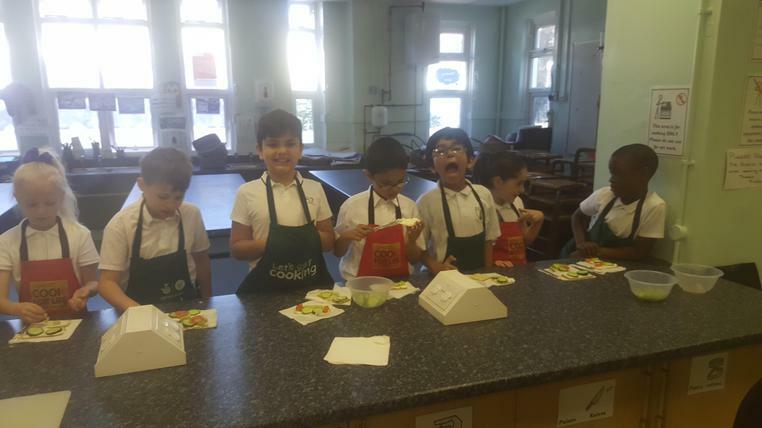 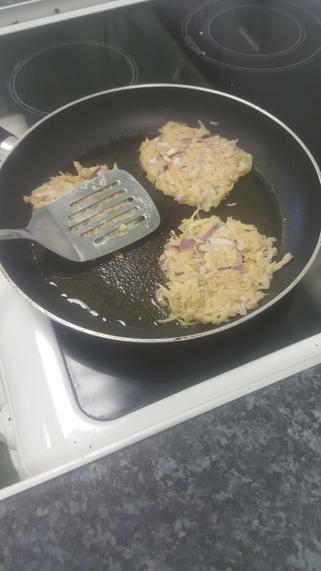 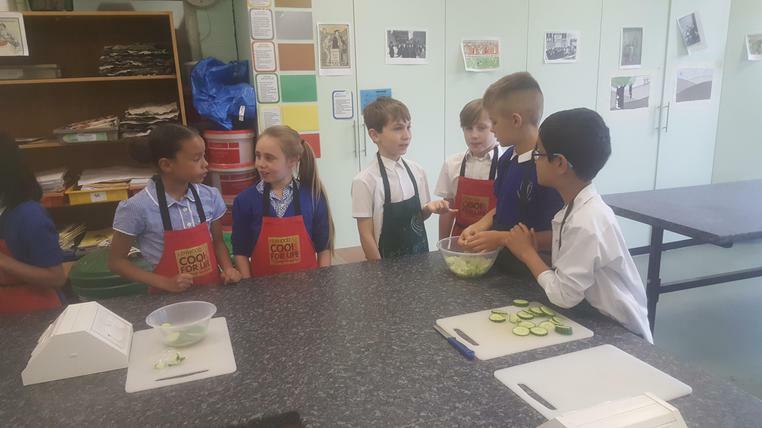 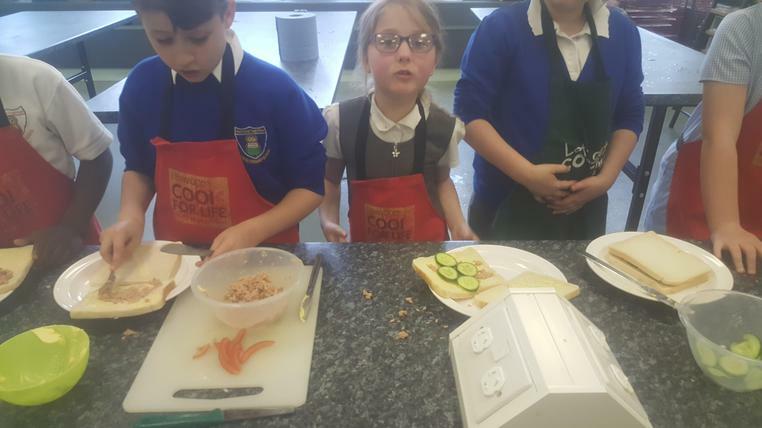 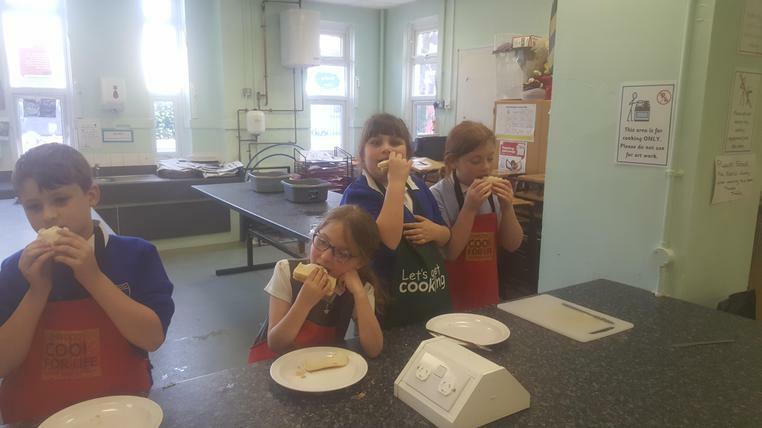 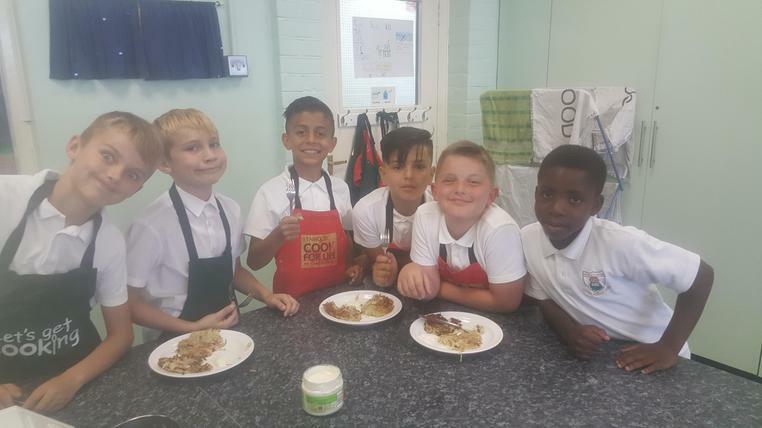 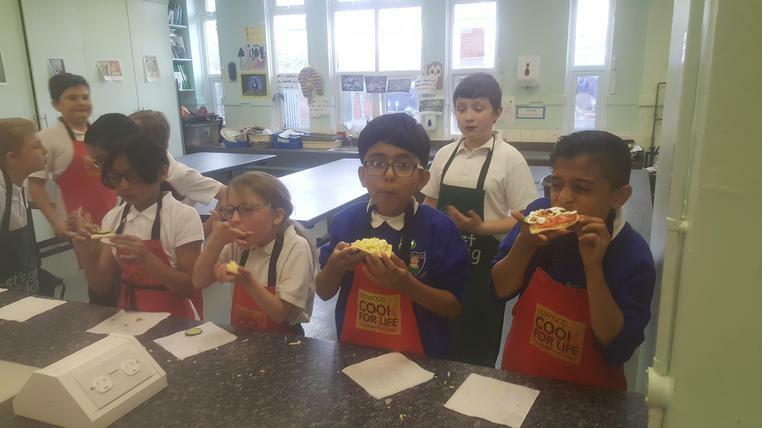 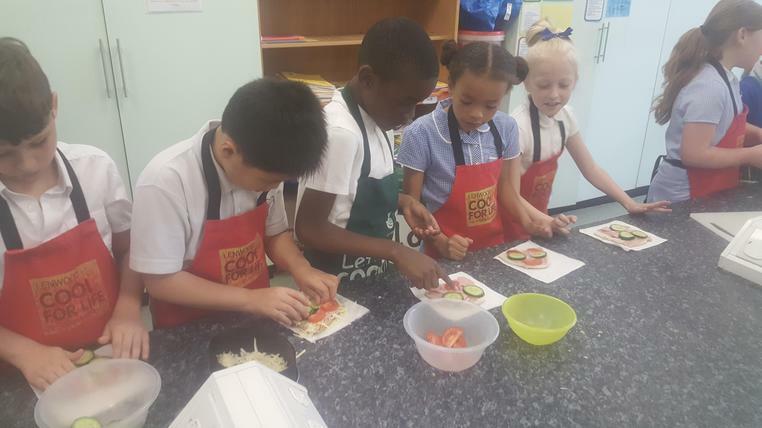 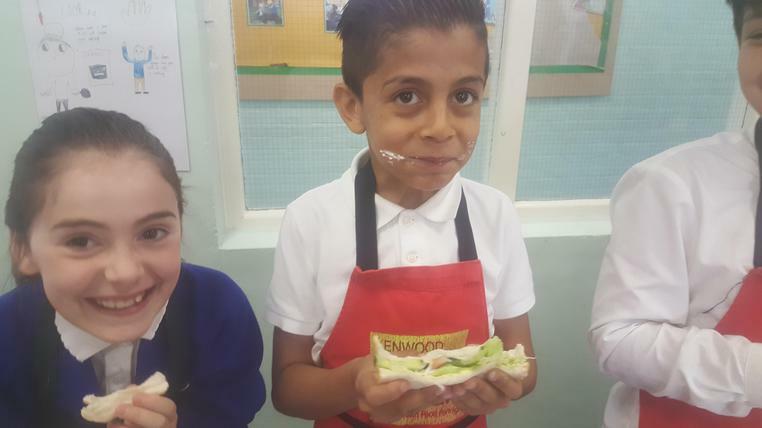 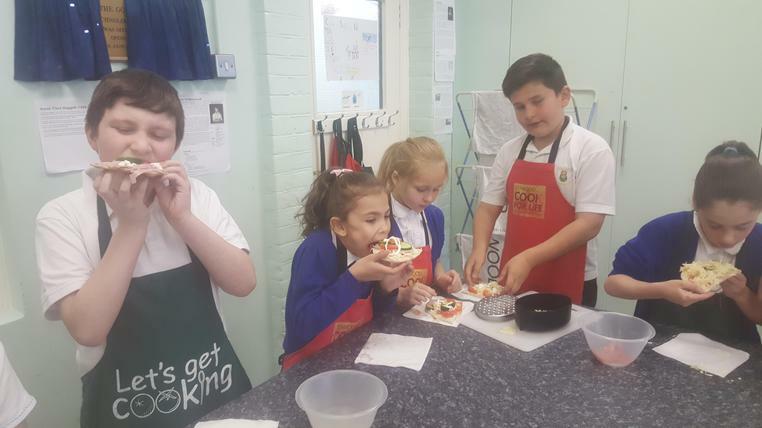 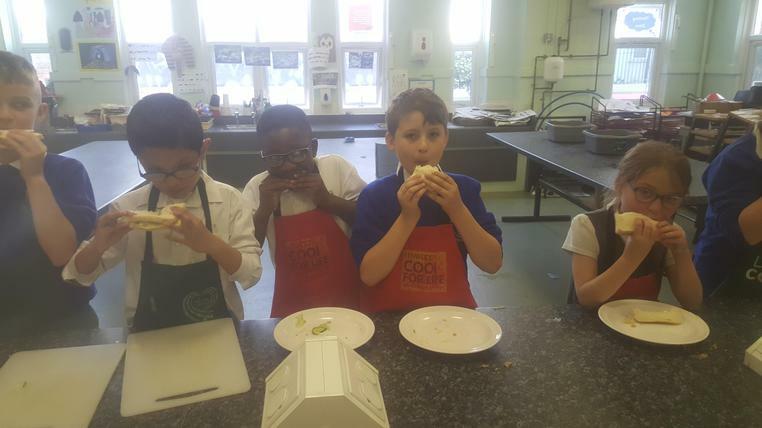 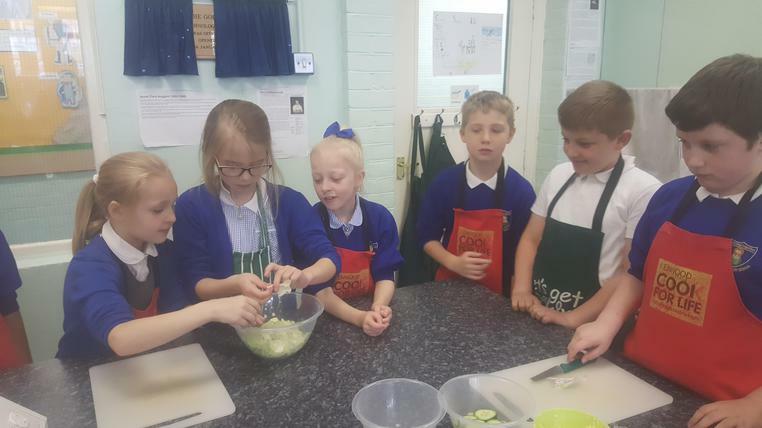 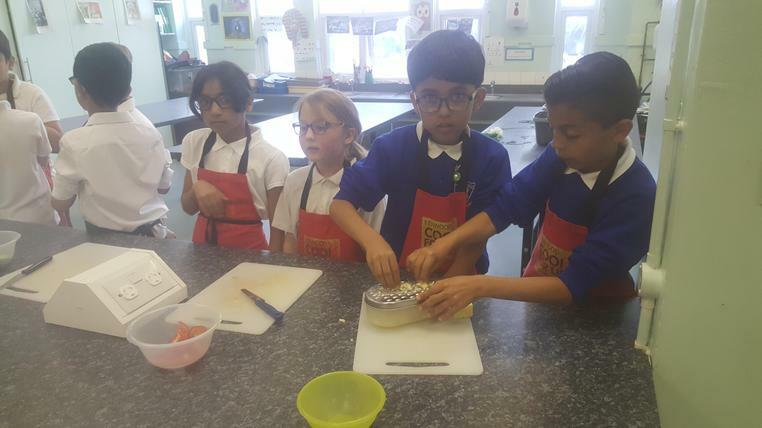 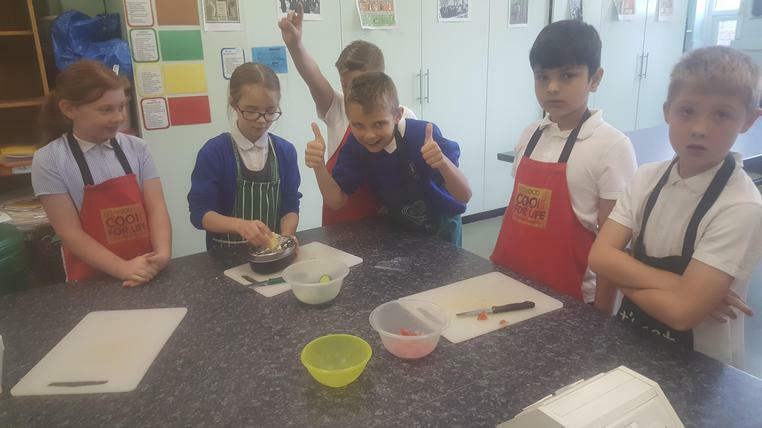 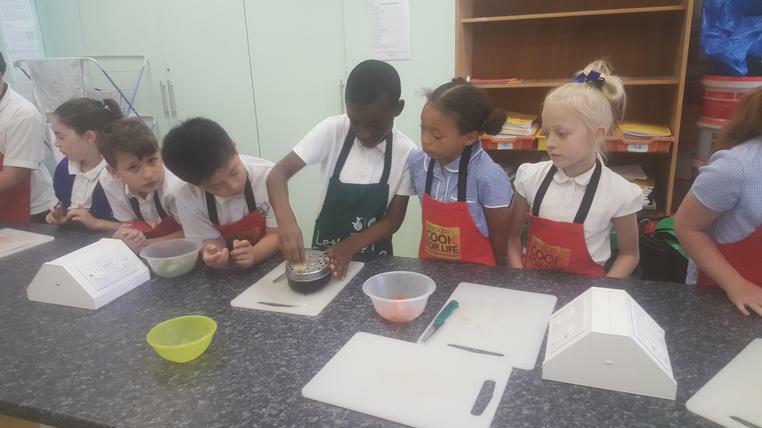 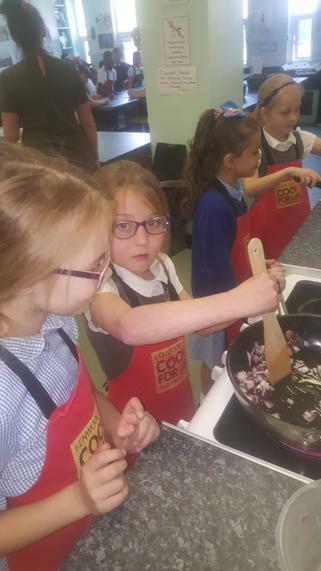 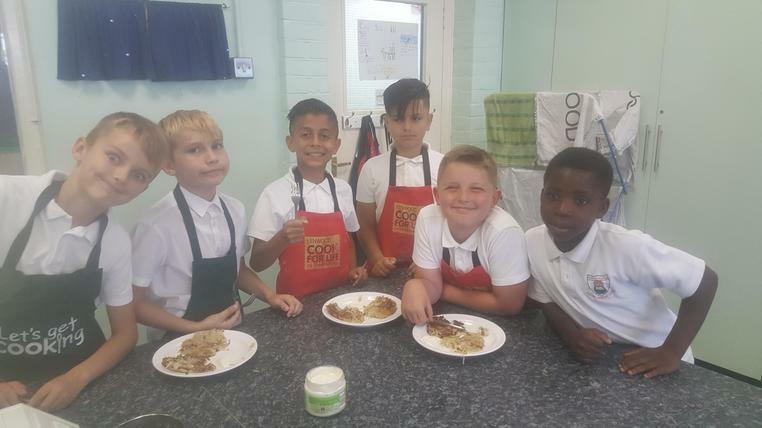 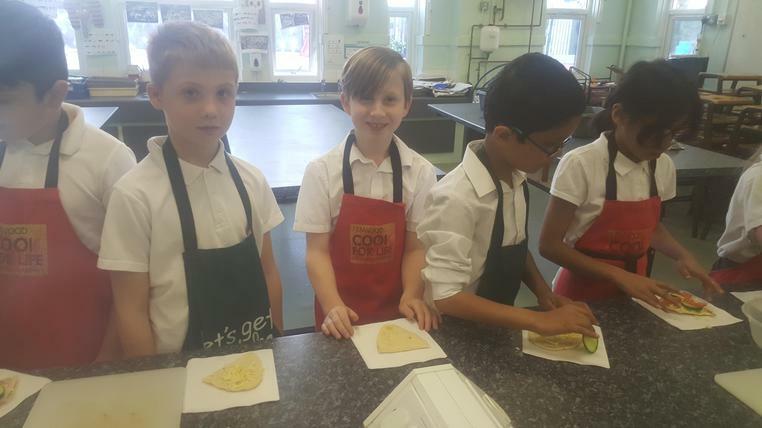 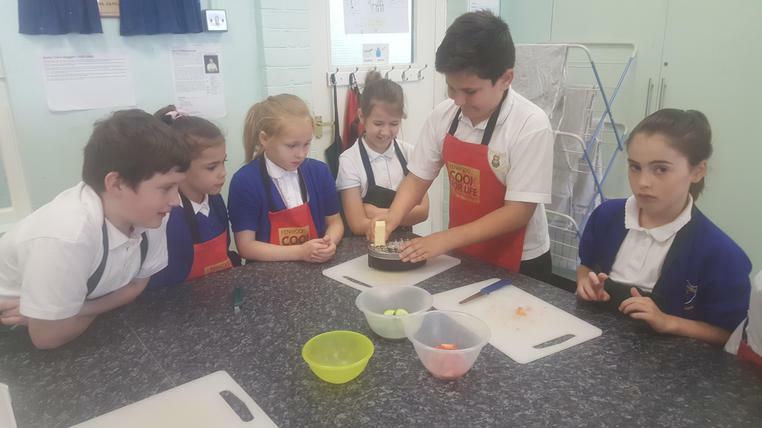 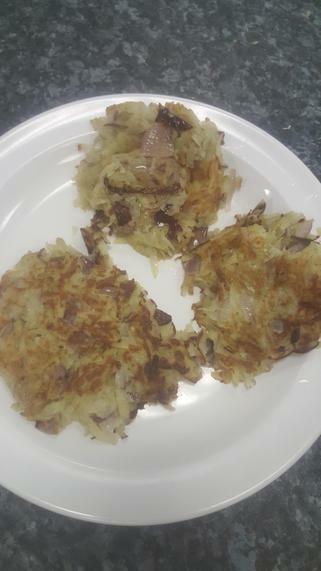 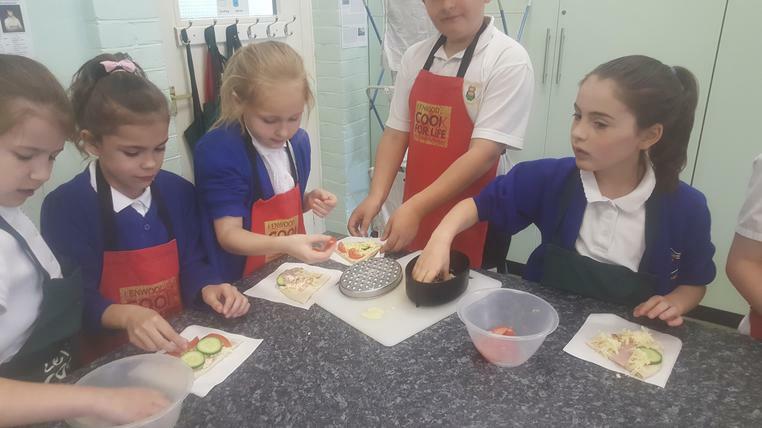 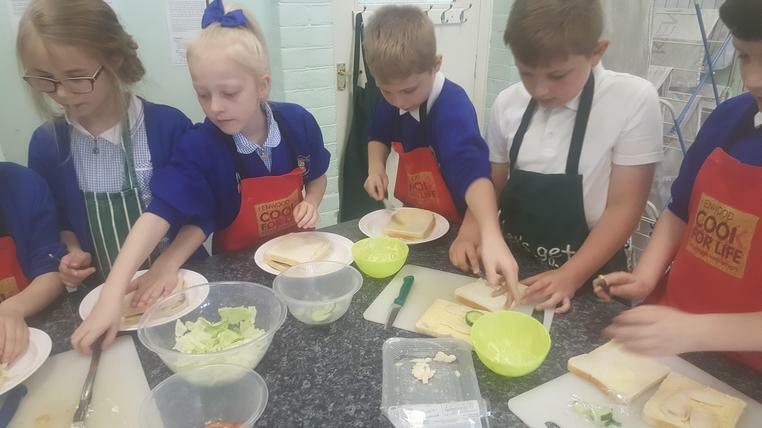 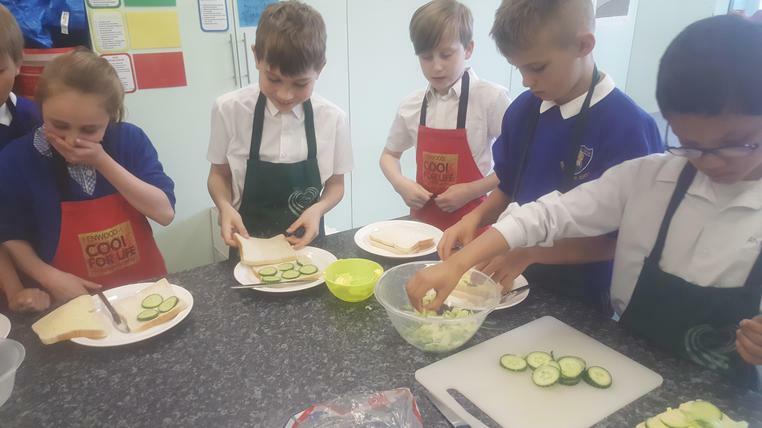 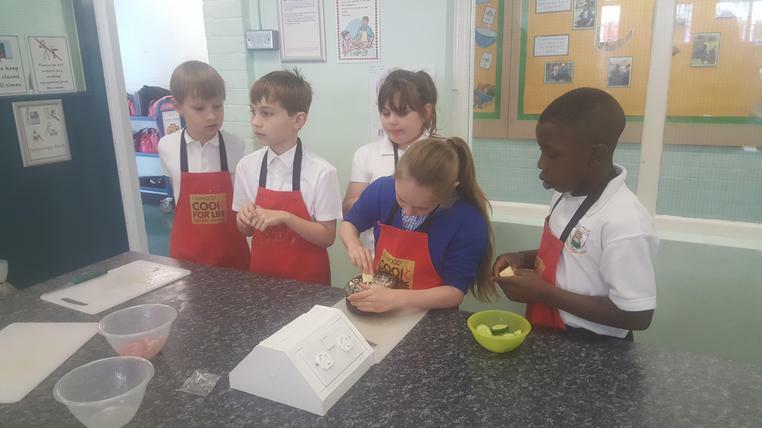 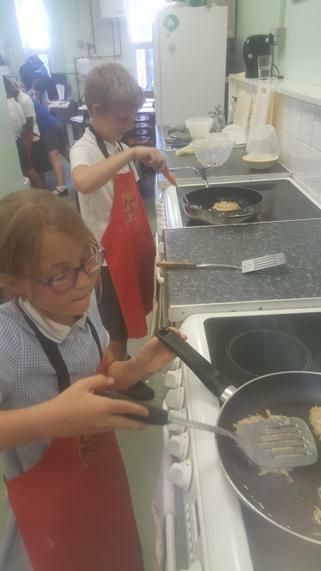 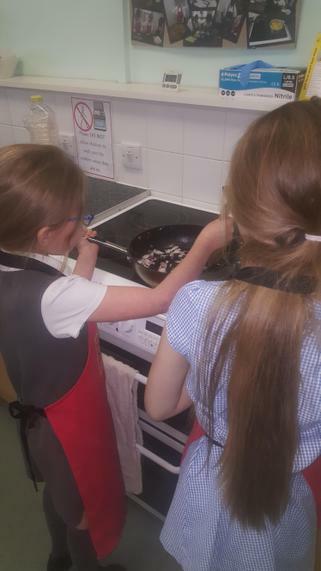 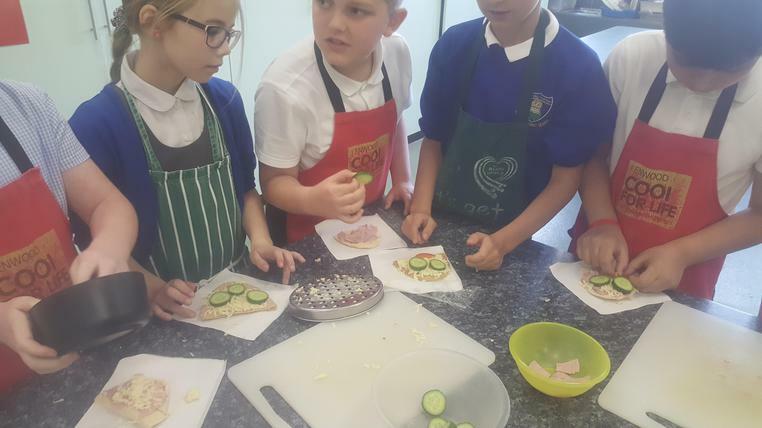 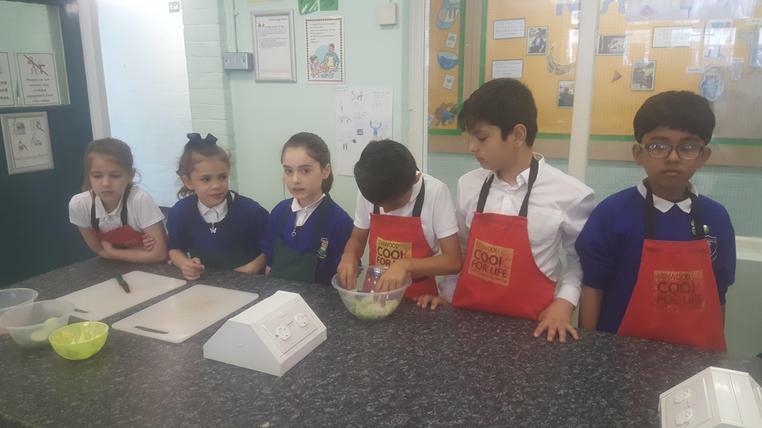 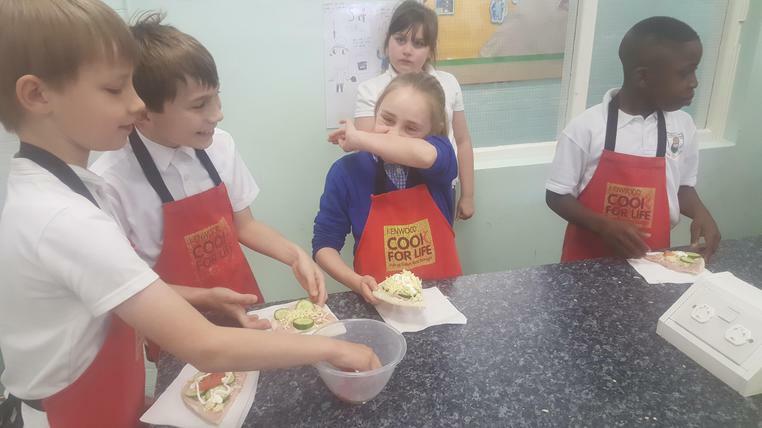 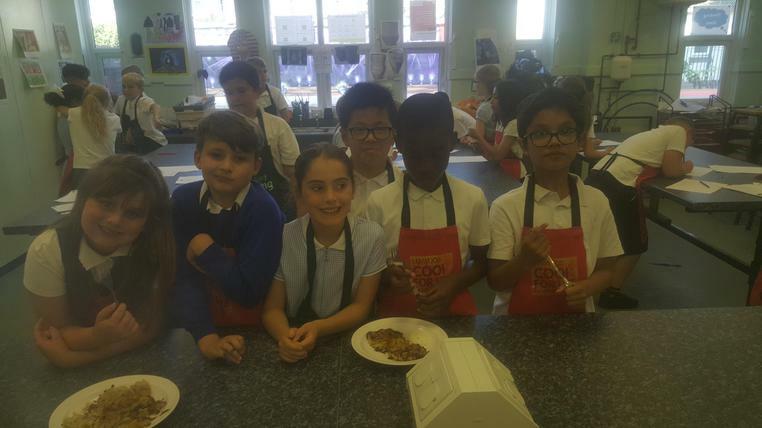 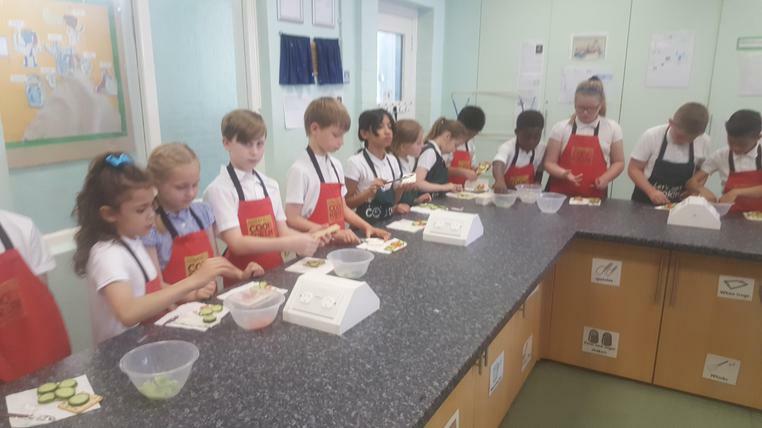 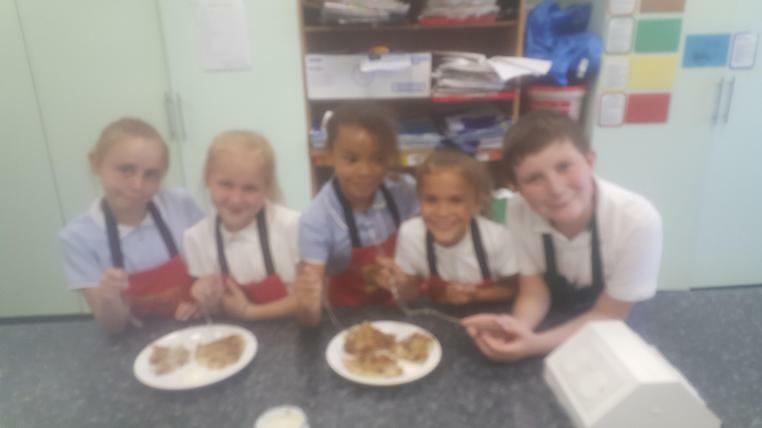 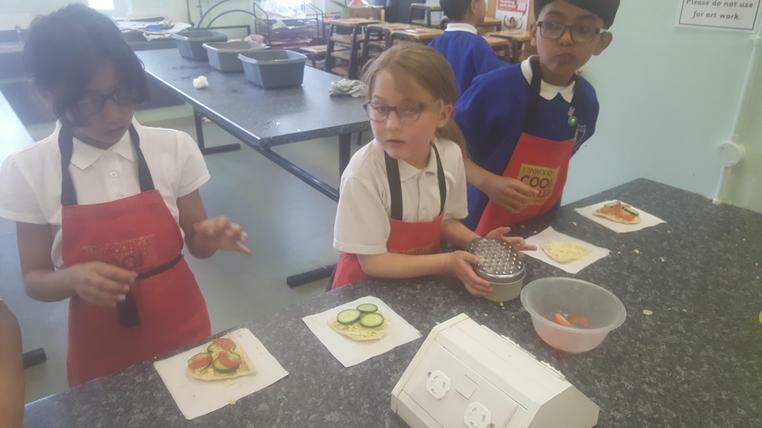 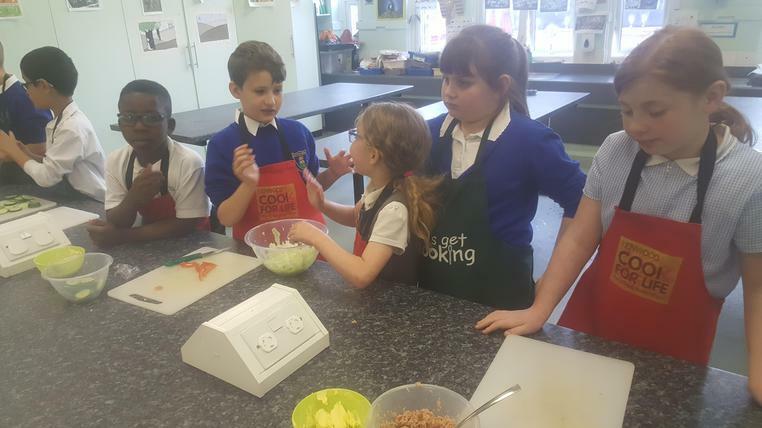 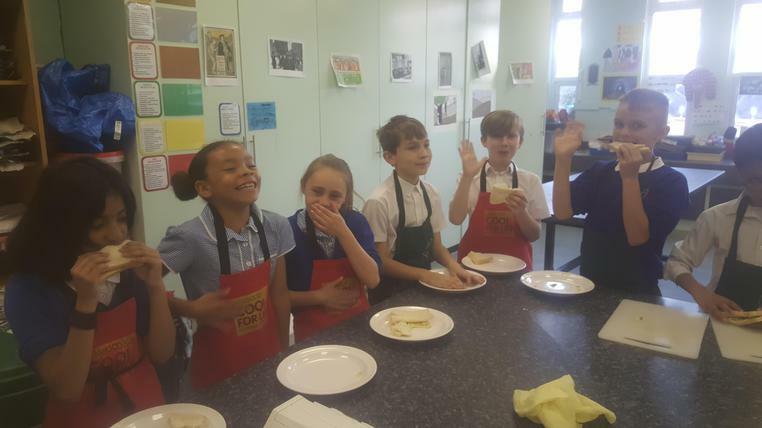 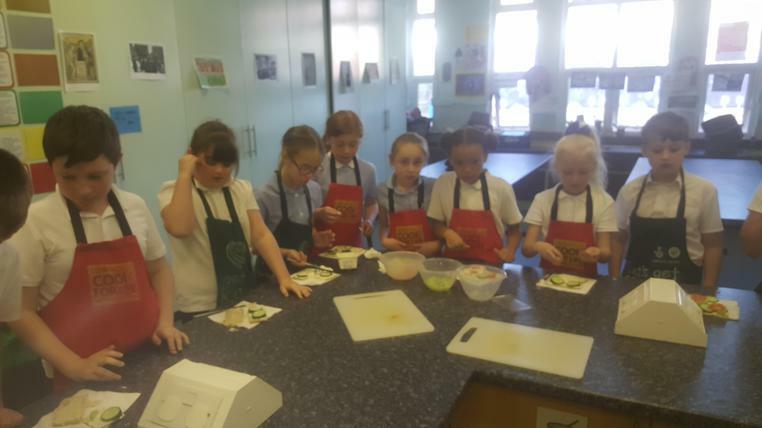 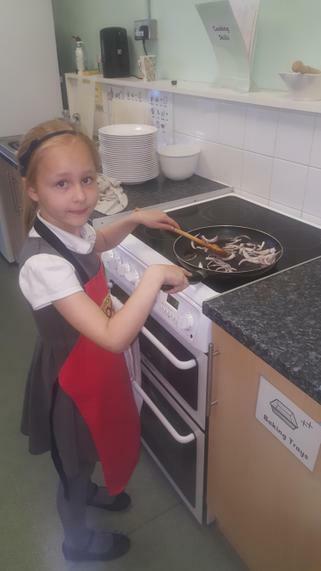 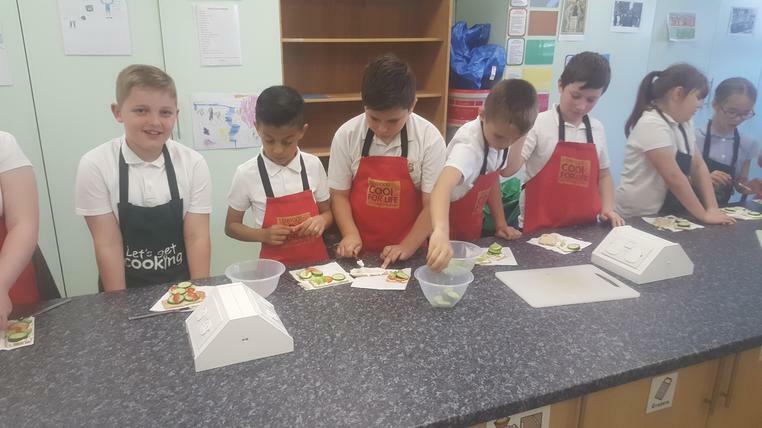 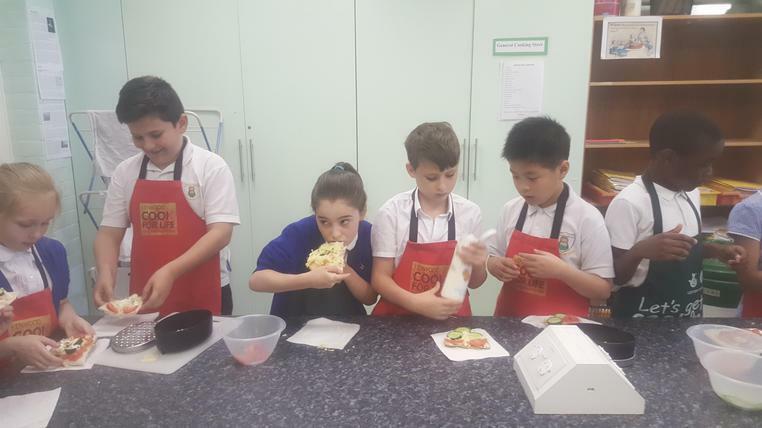 In the Summer term we start our cooking lessons. 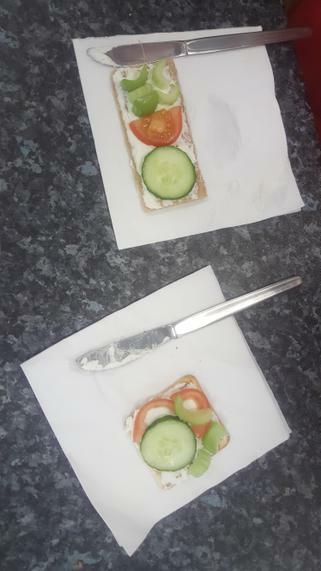 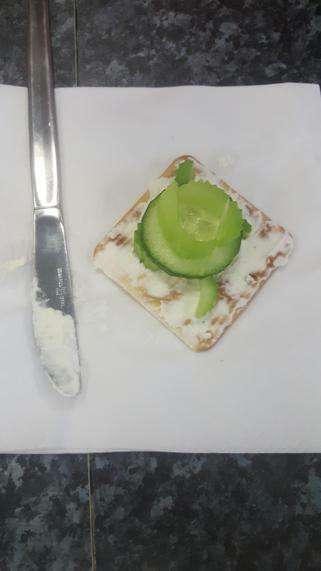 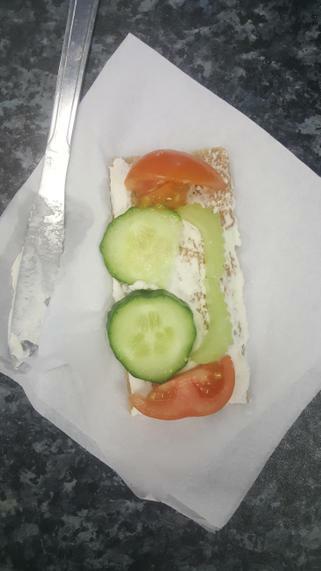 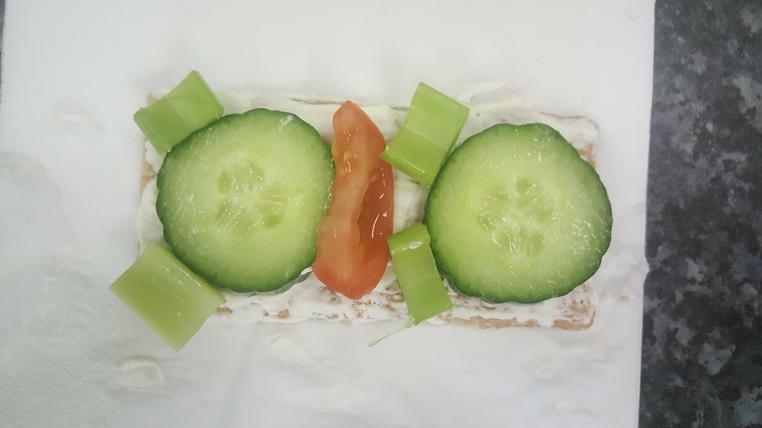 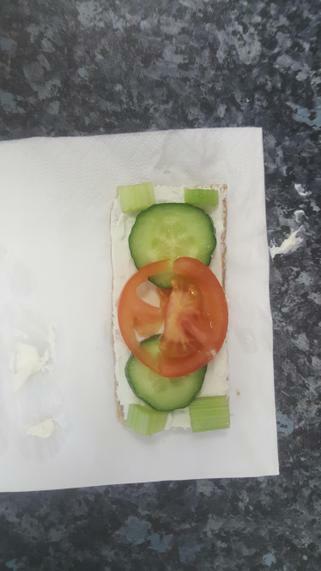 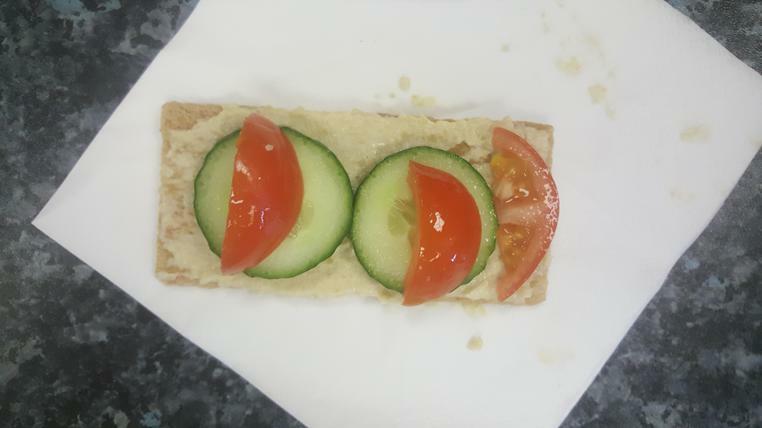 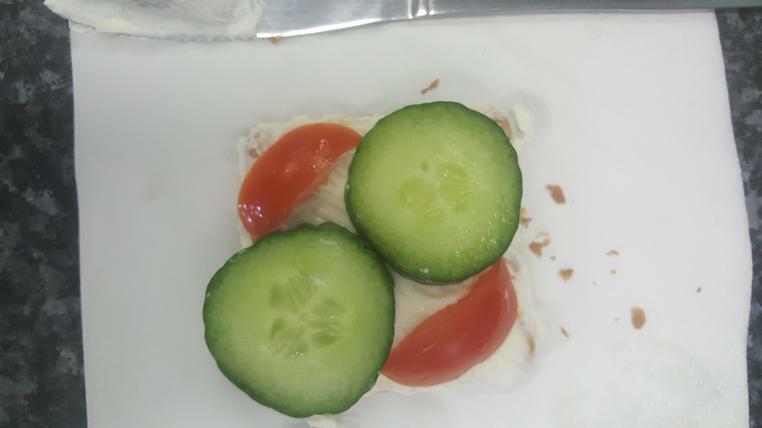 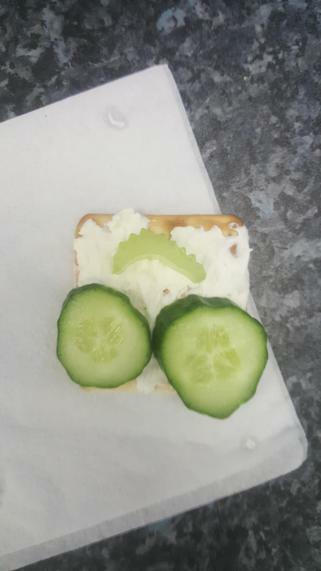 We are focusing on healthy snacks and lunches. 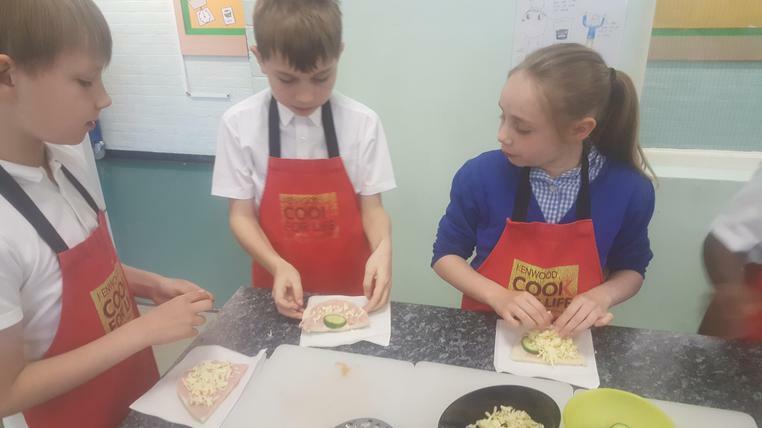 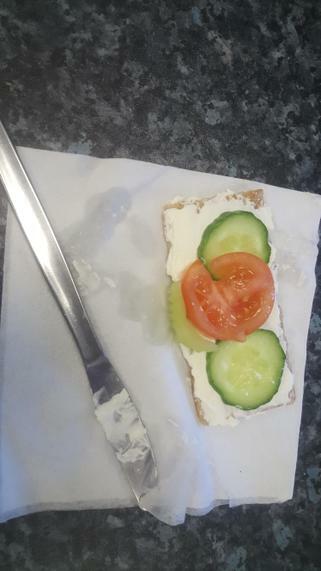 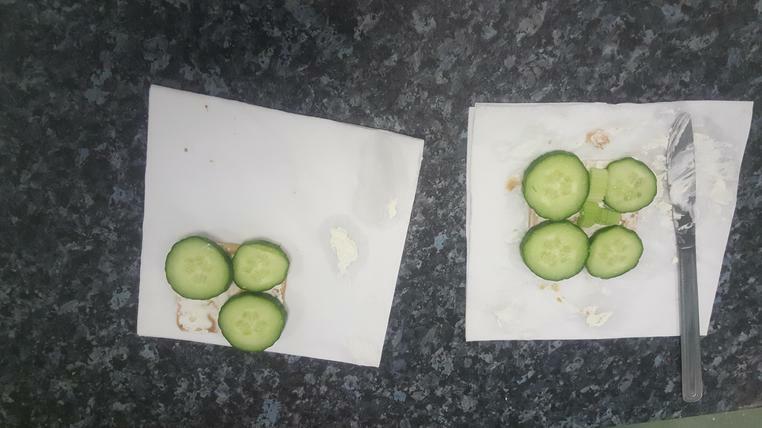 Take a look at some of the scrumptious snacks we have made. 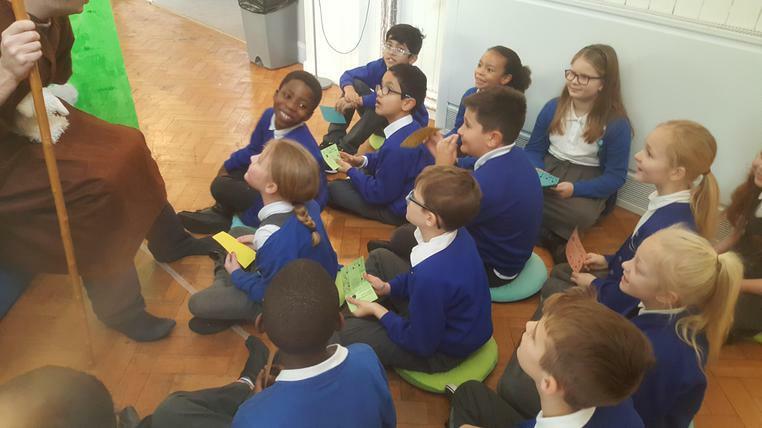 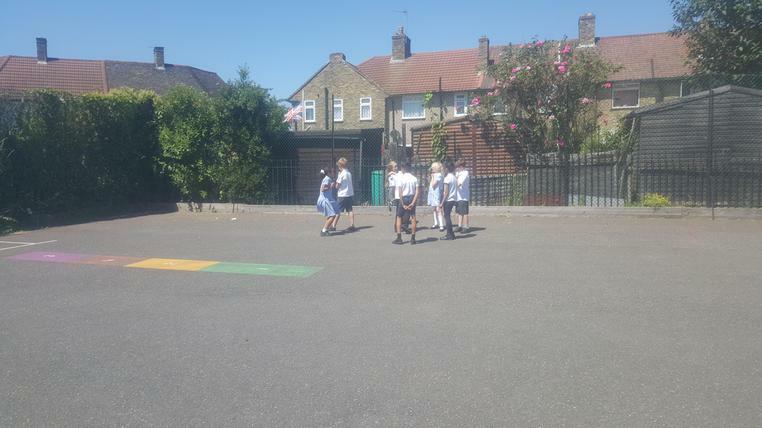 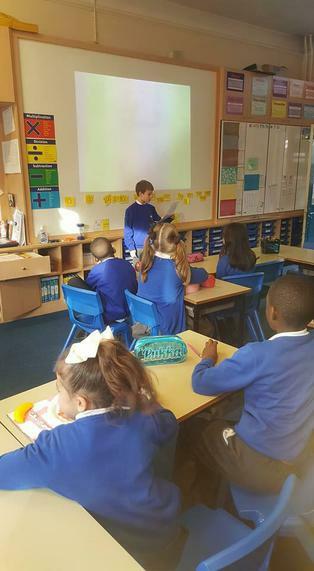 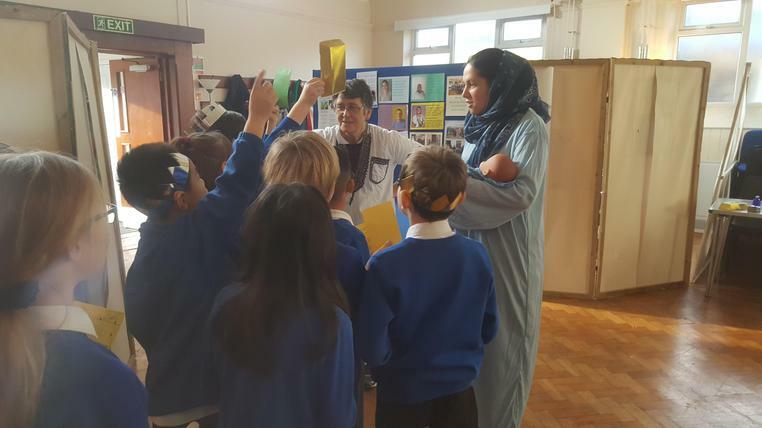 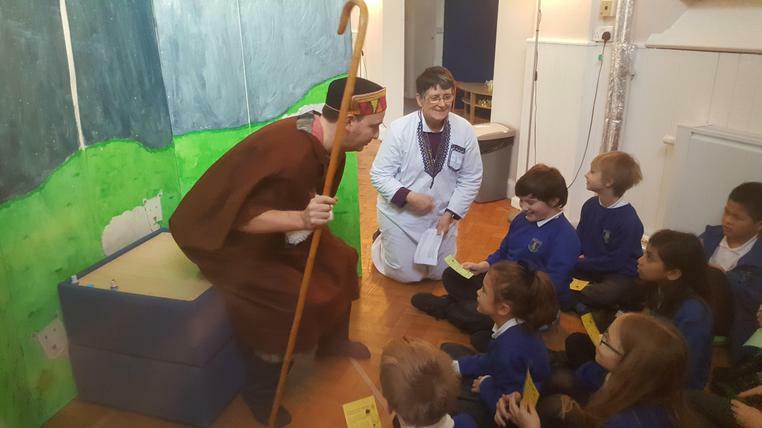 We are sometimes lucky enough to have a visitor from Becontree Church to visit us at school. 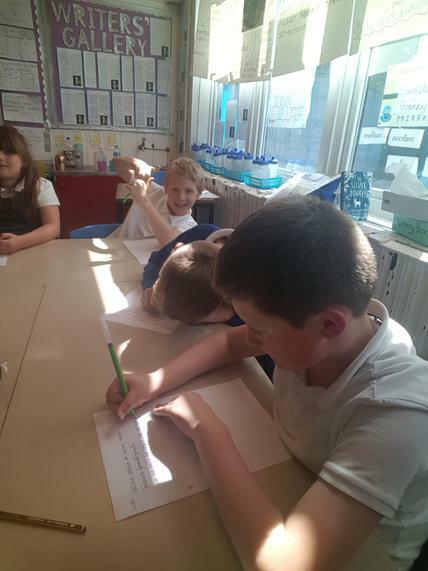 We have been learning about parables and why they are important to Christians. 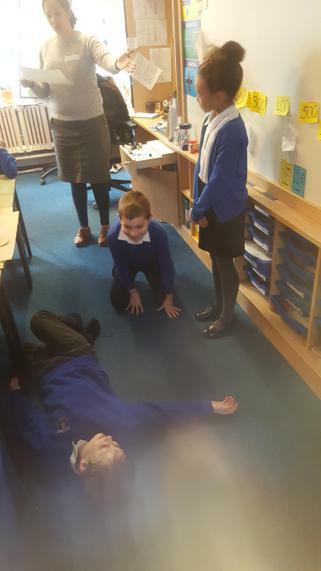 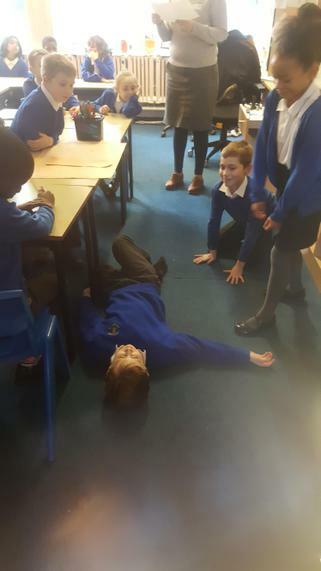 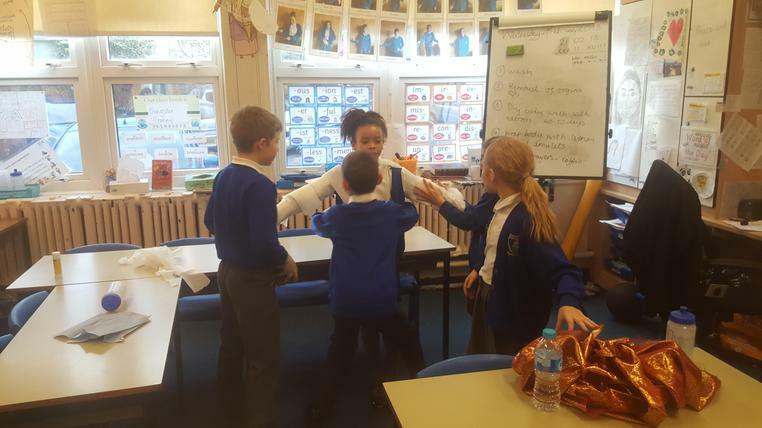 Can you guess what parable we are acting out? 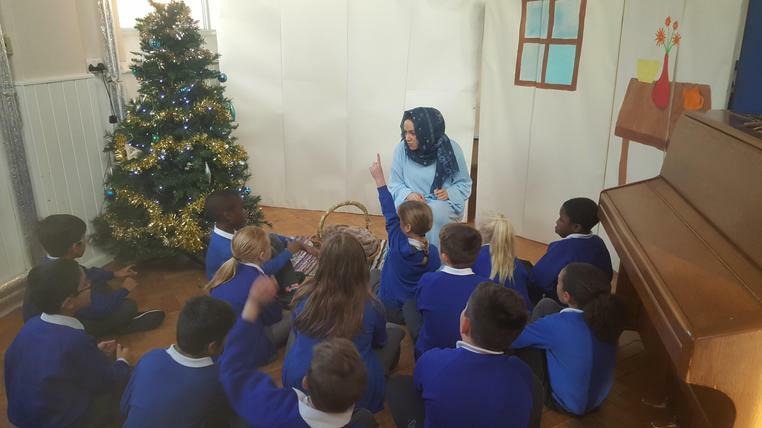 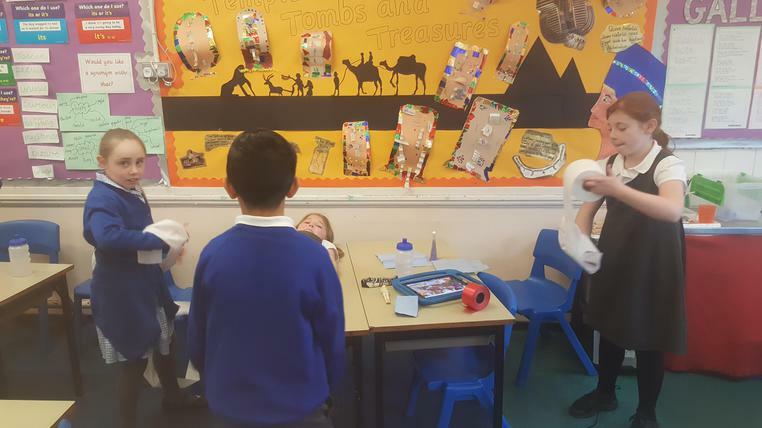 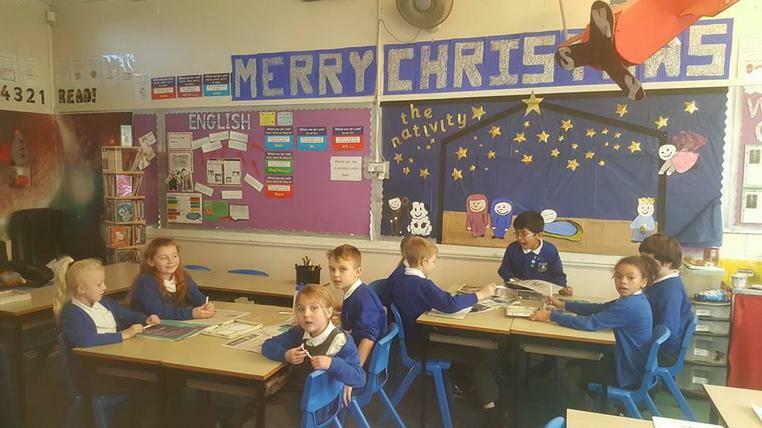 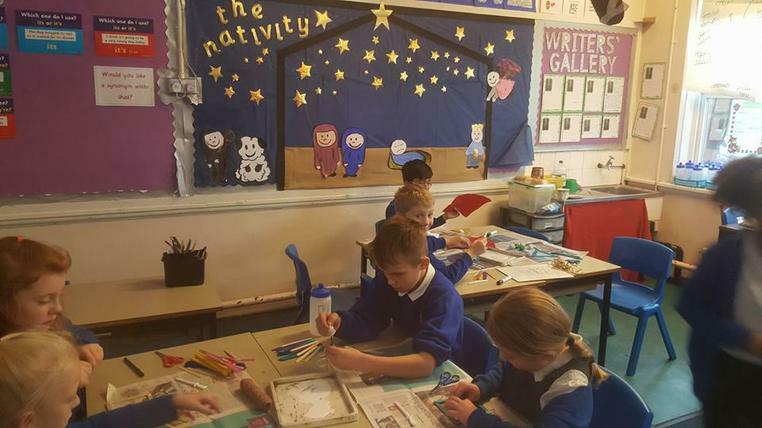 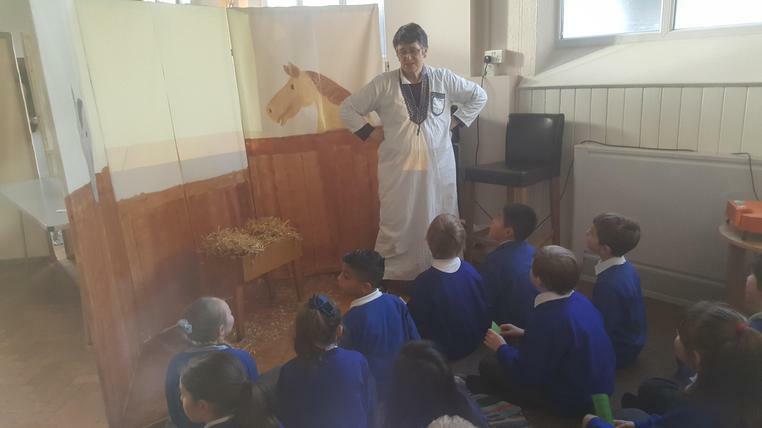 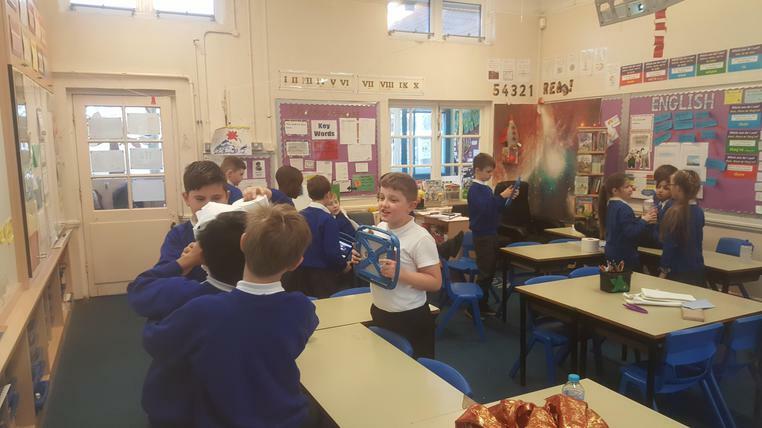 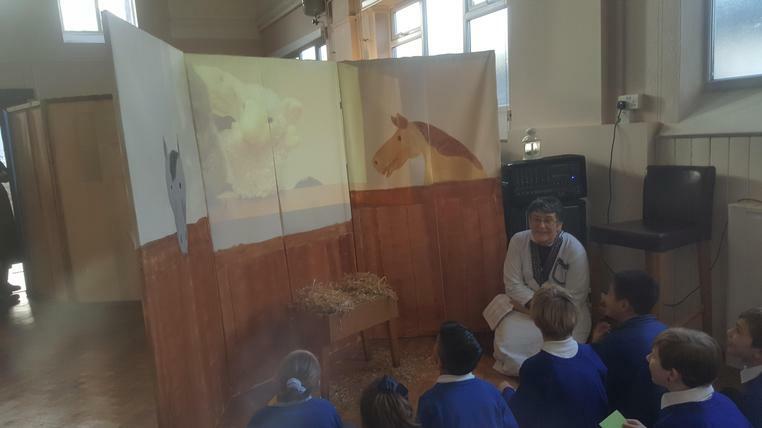 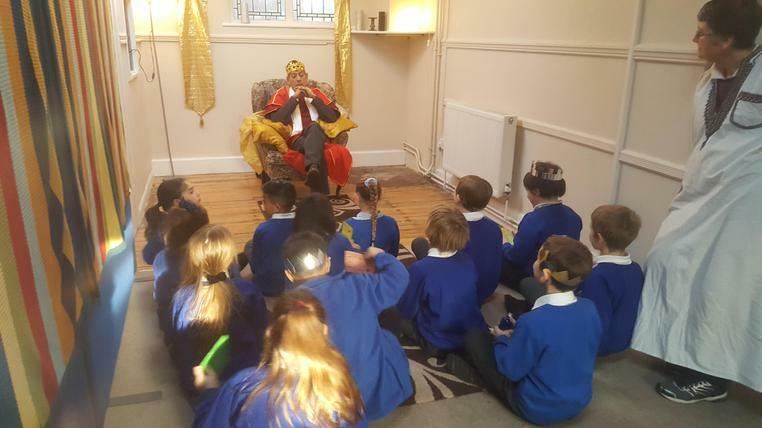 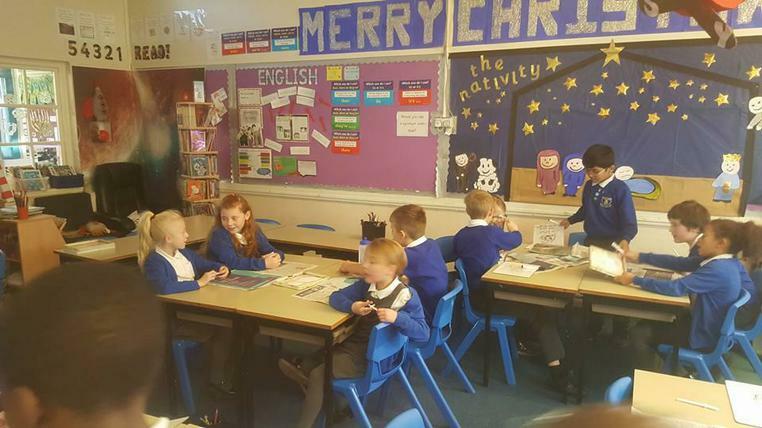 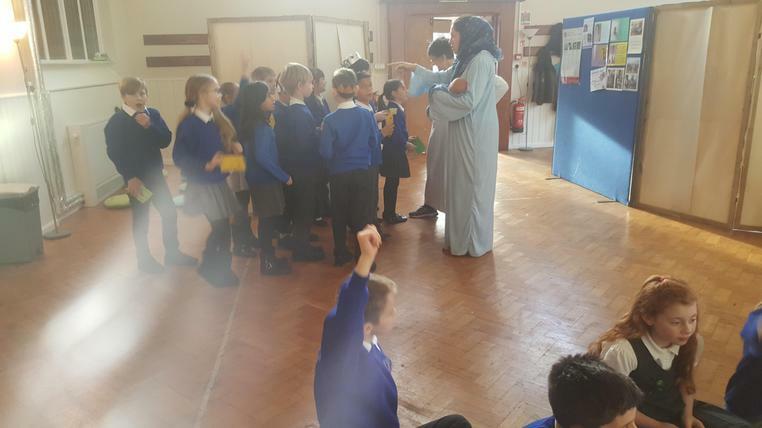 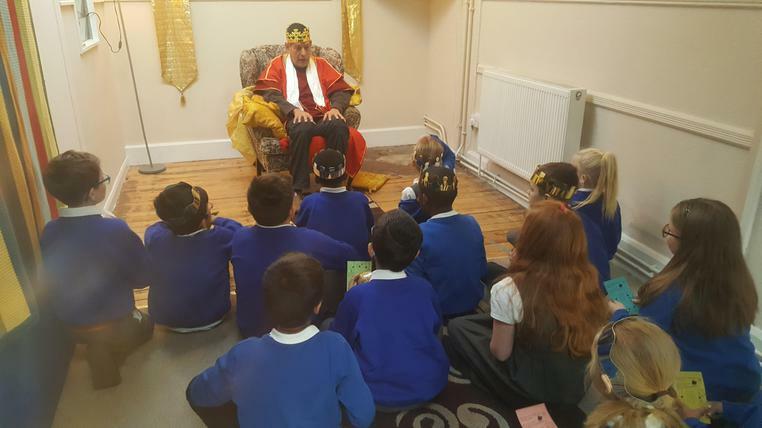 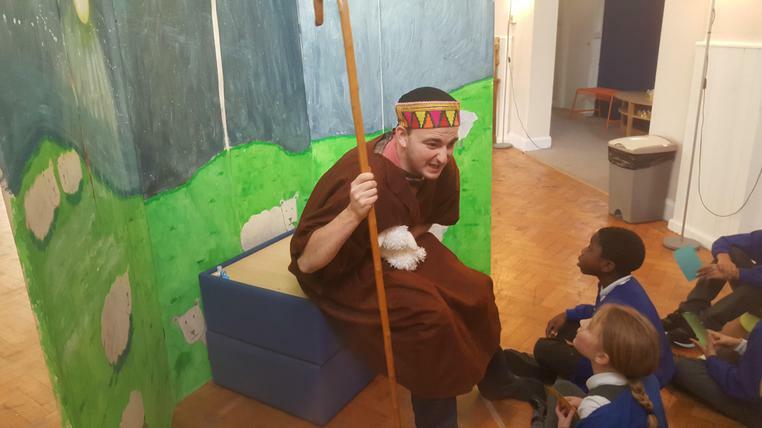 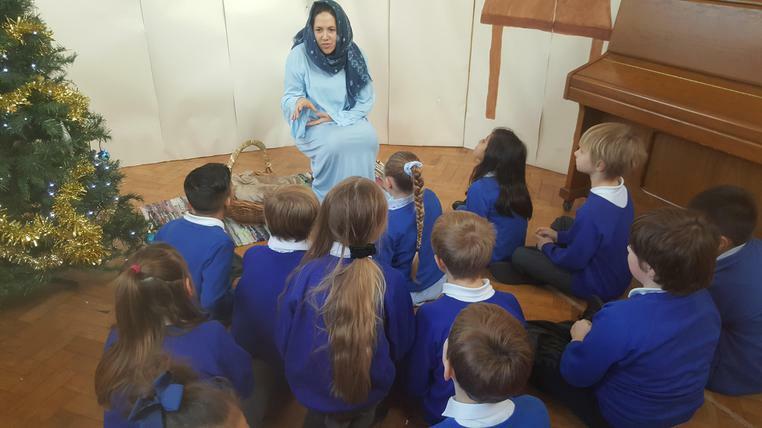 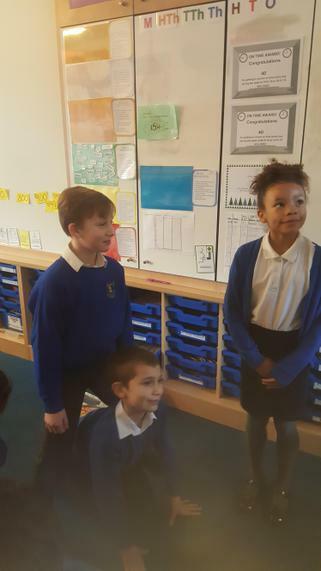 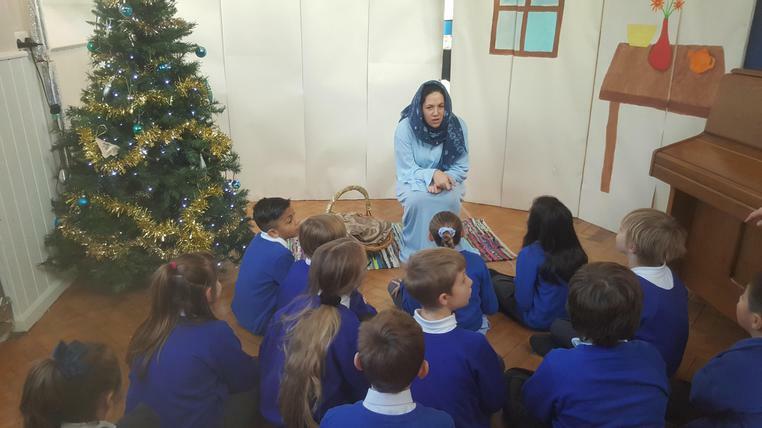 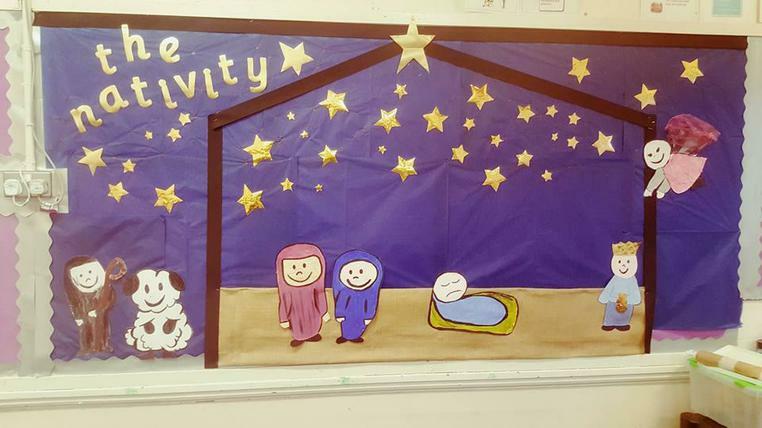 To end our Nativity topic we took a trip back in time to Bethlehem and met some very interesting people including Mary, a shepherd, King Herod and the baby Jesus! 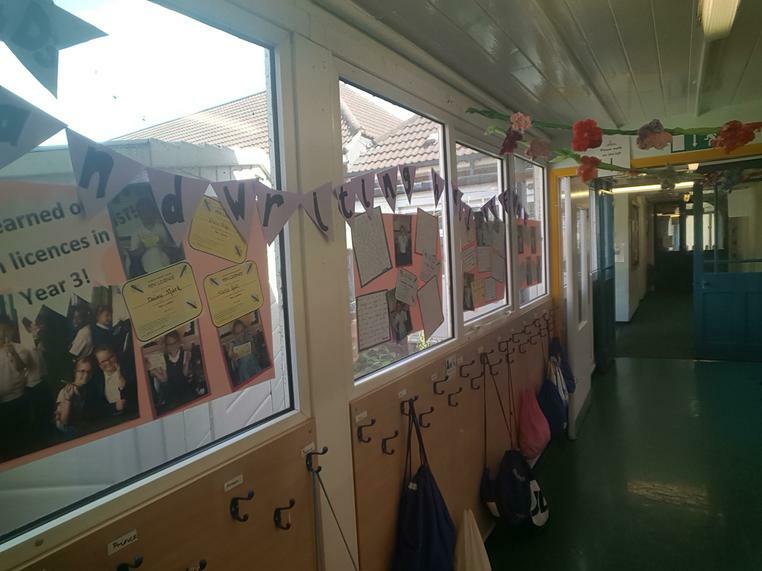 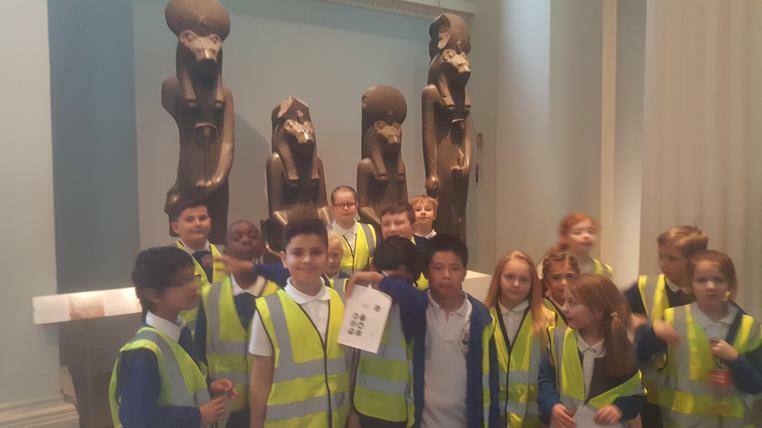 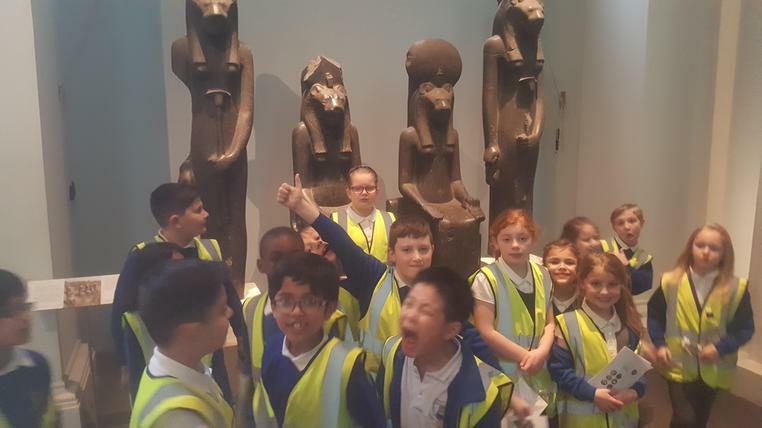 Take a look at our pictures, can you spot yourself? 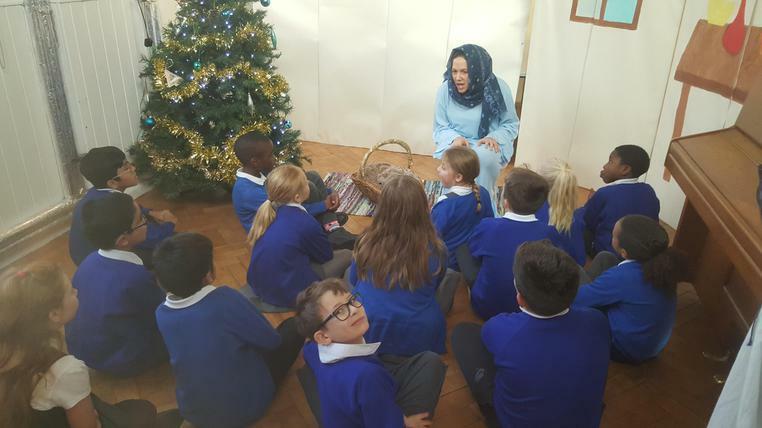 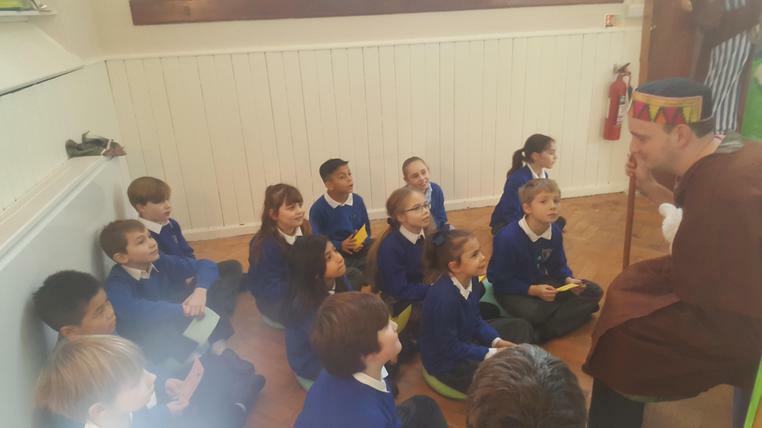 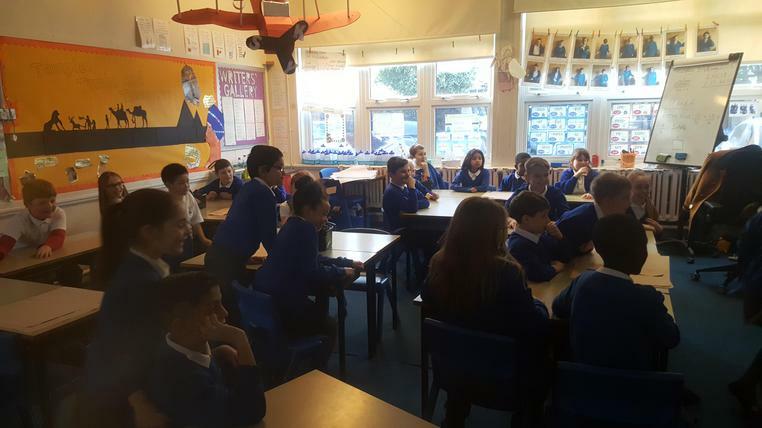 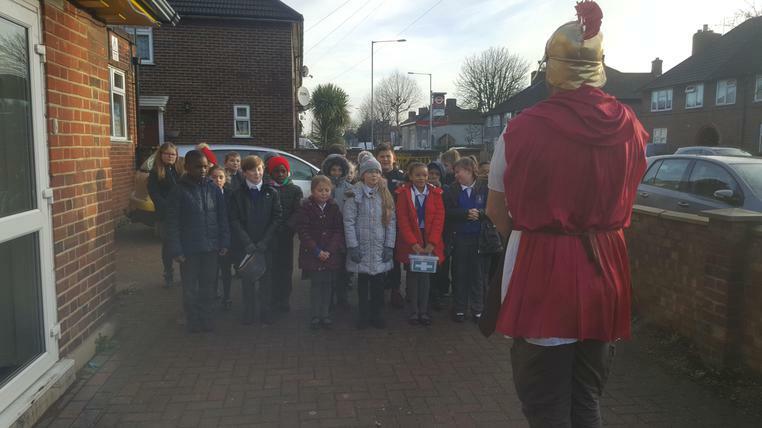 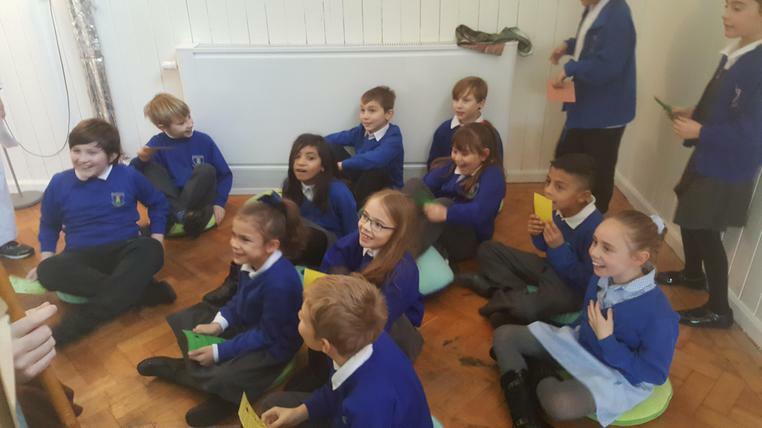 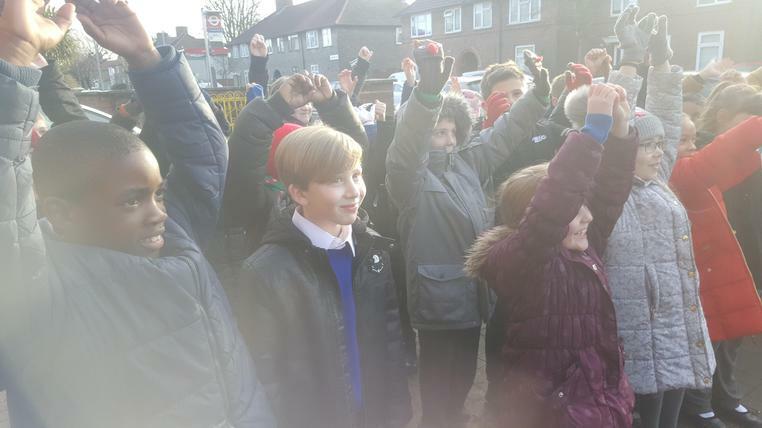 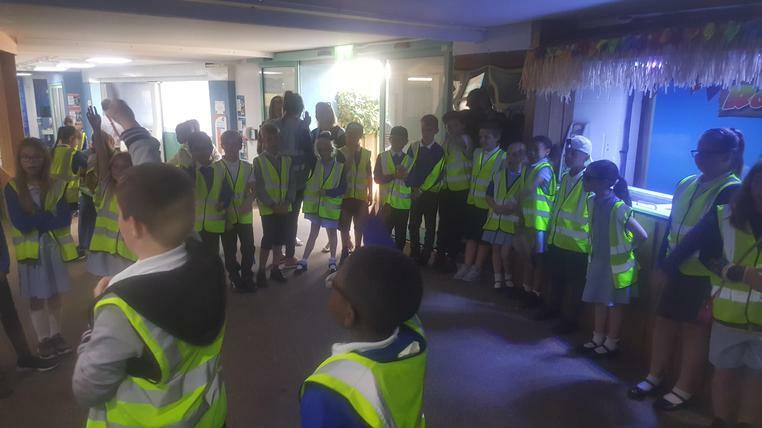 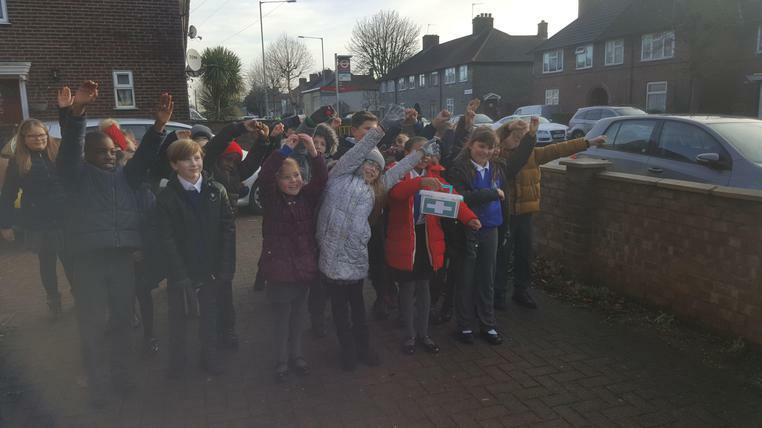 Some of us were lucky enough to be invited to George Brooker House where we sang our Nativity songs and some carols to the elderly people there. 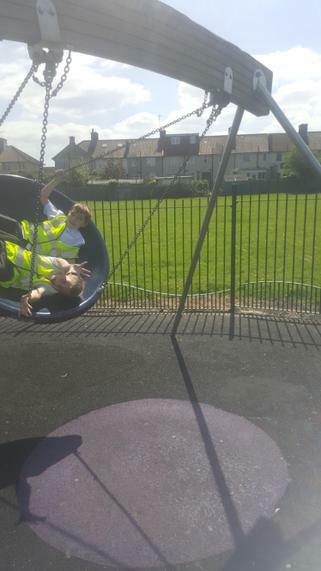 We enjoyed ourselves; as did they. 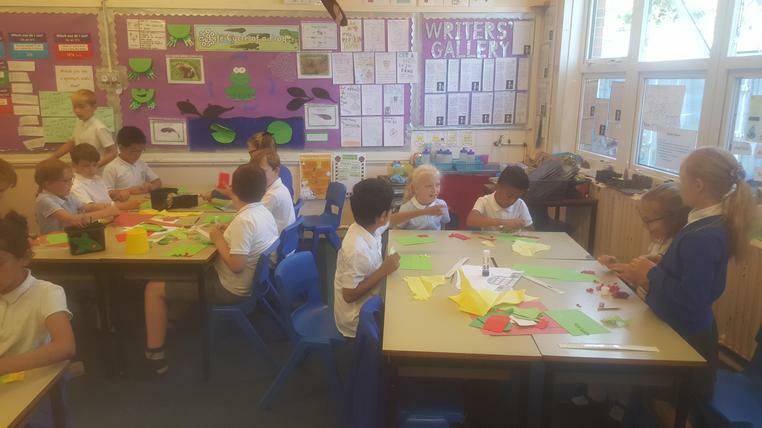 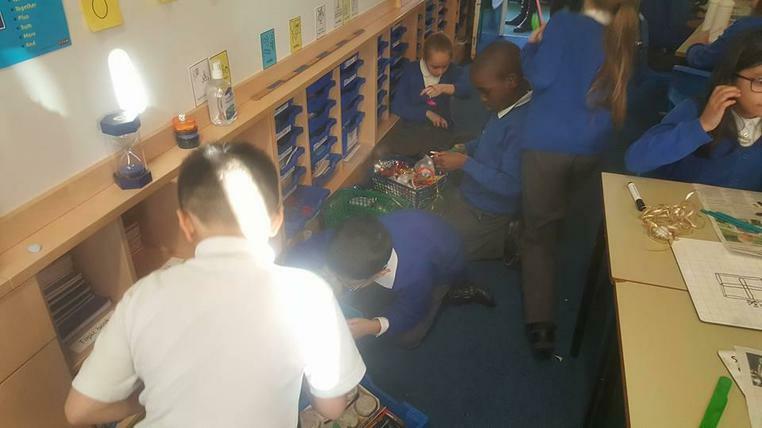 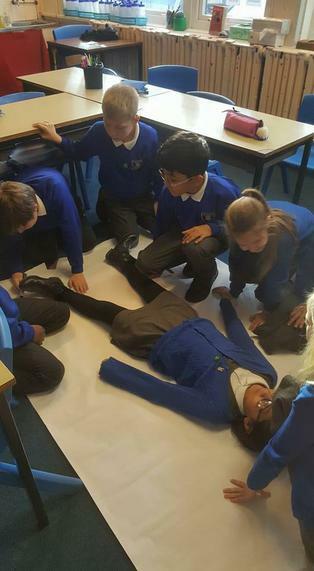 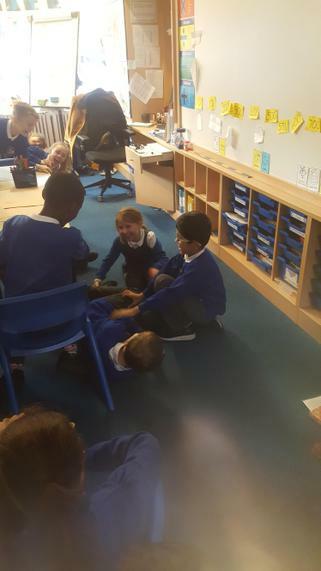 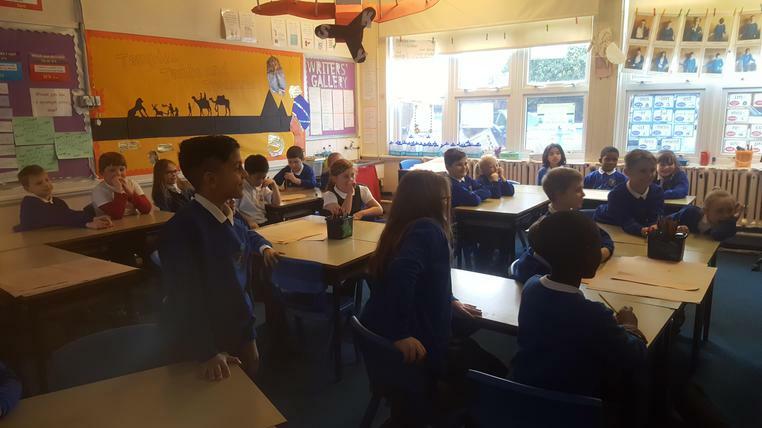 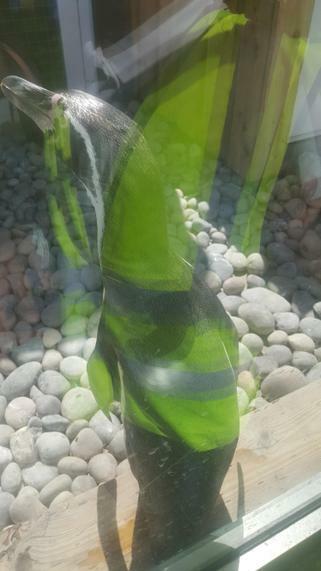 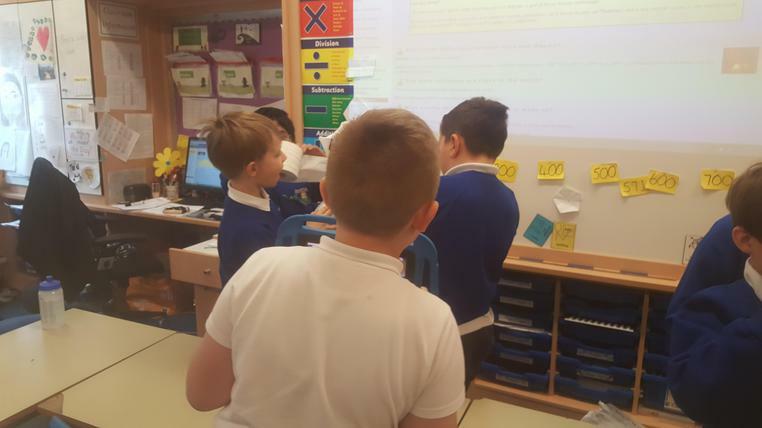 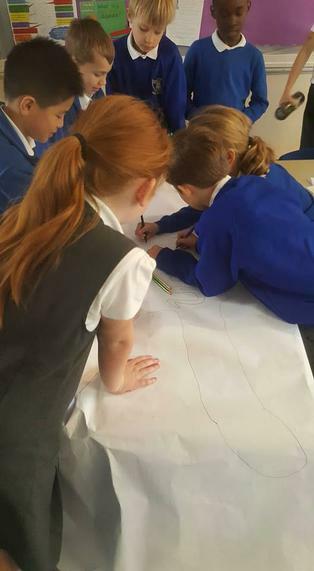 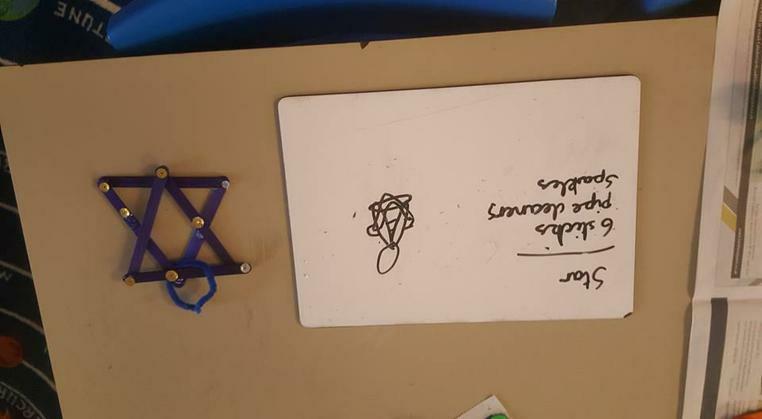 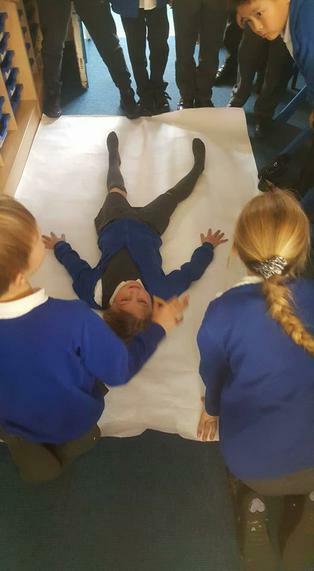 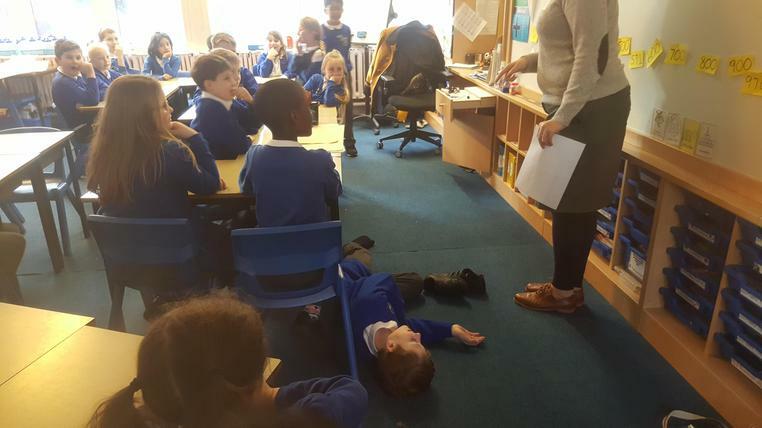 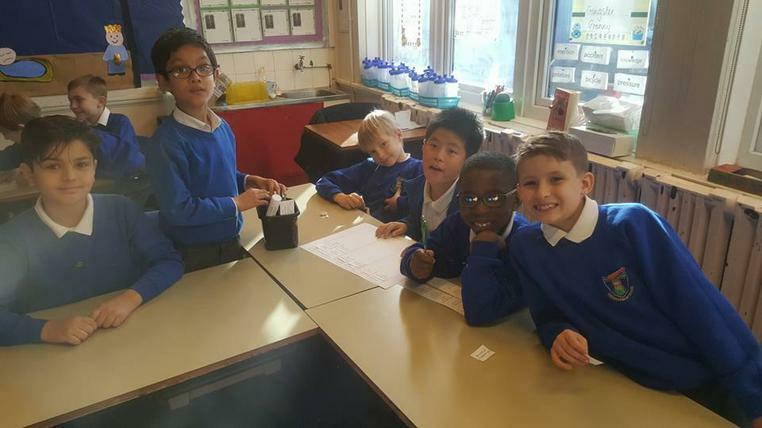 This term we have been learning about 'How Humans Work.' 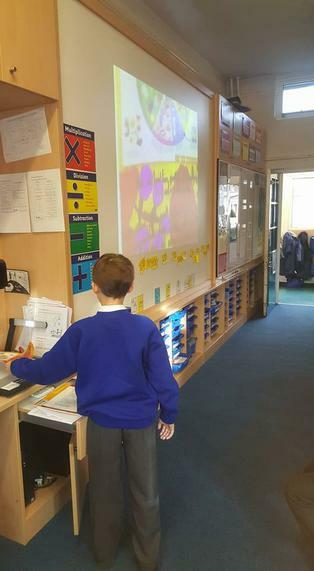 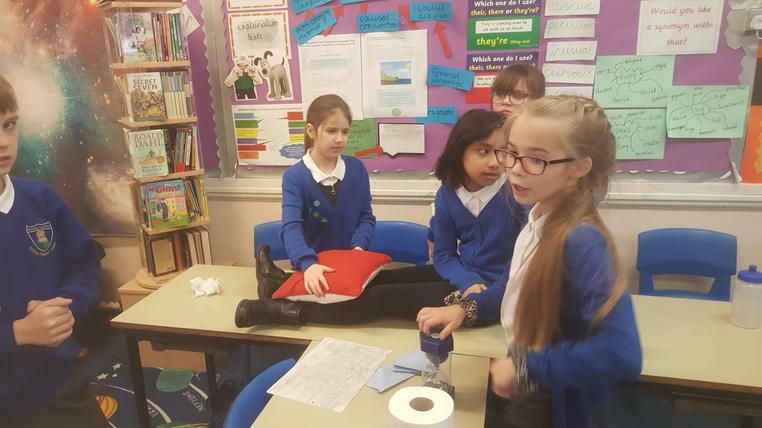 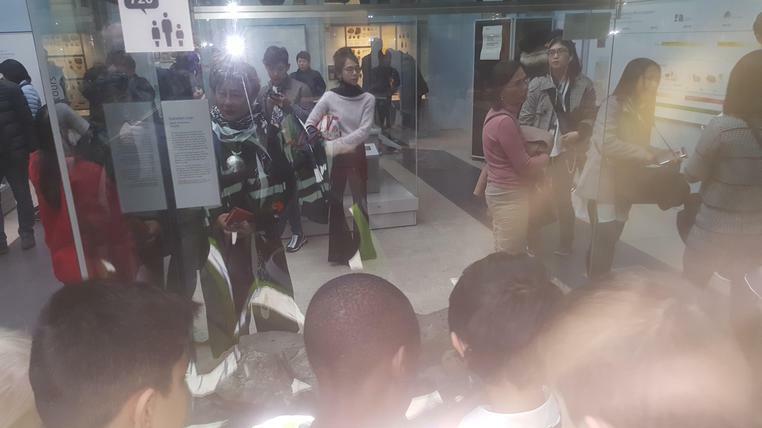 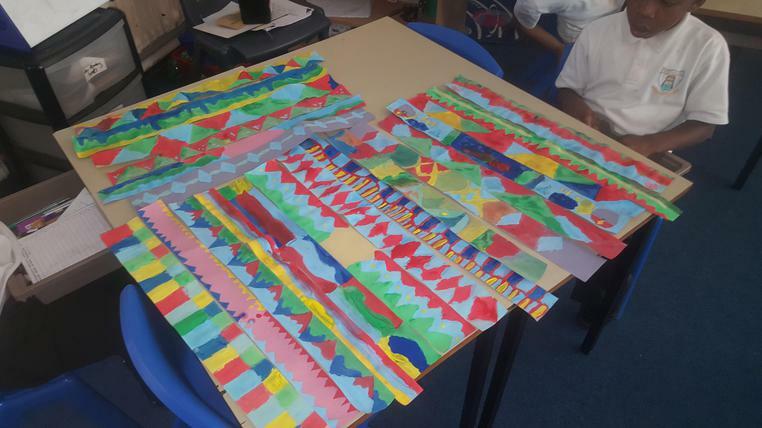 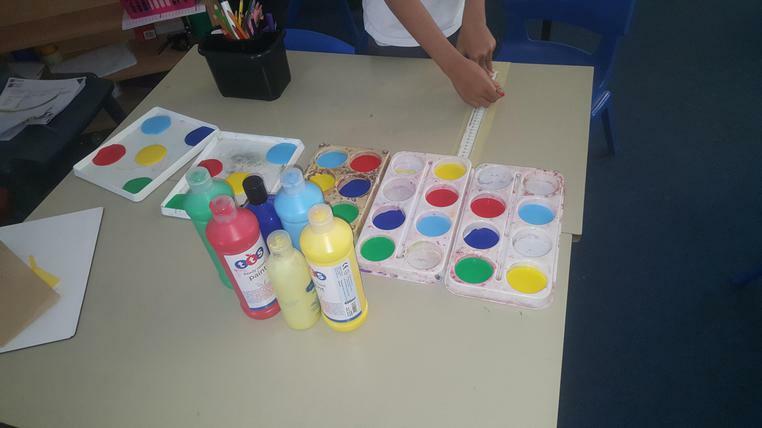 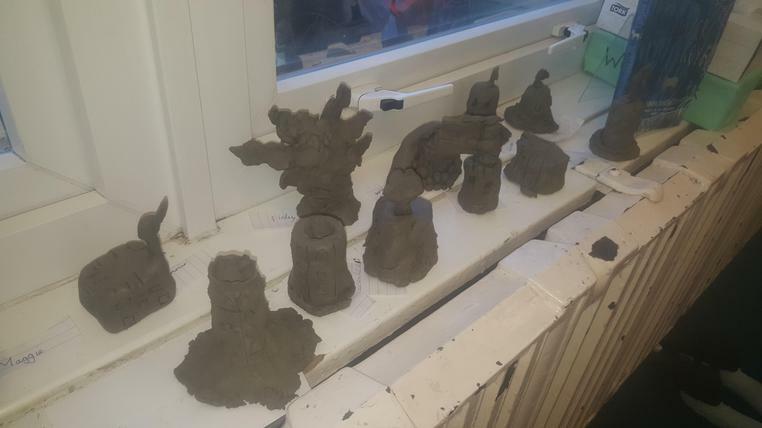 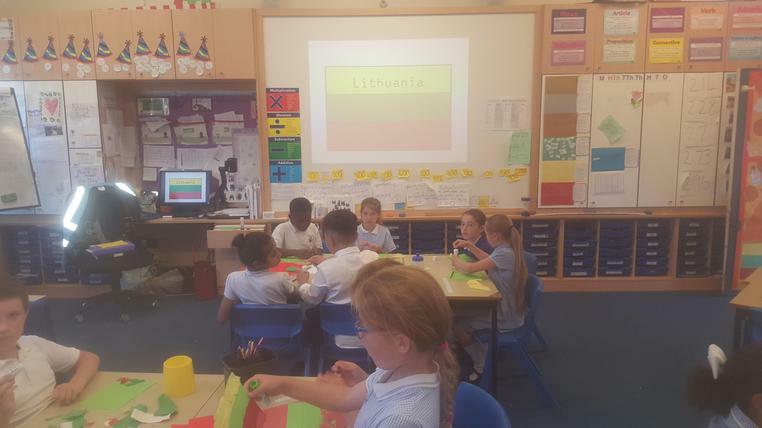 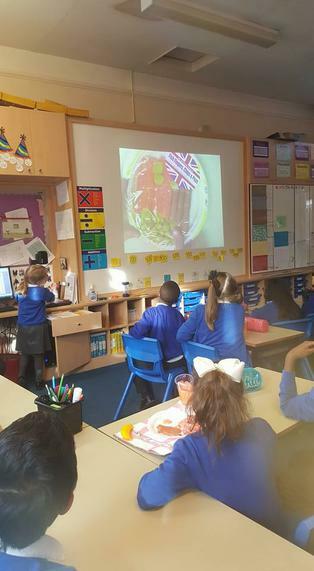 Thanks to all of the children (and adults) who had fun making a project at home. 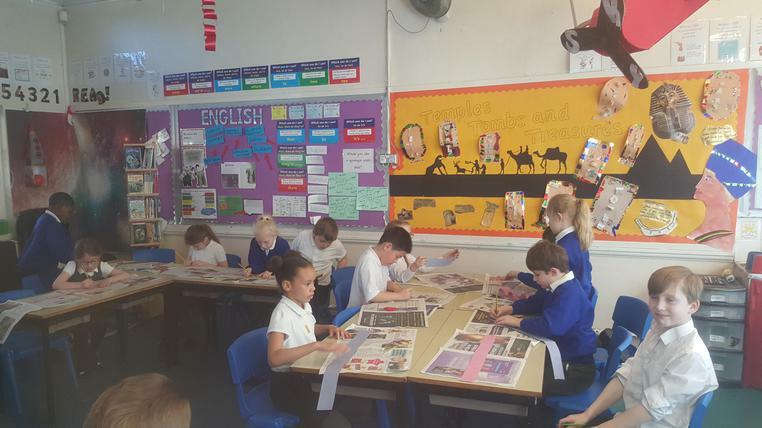 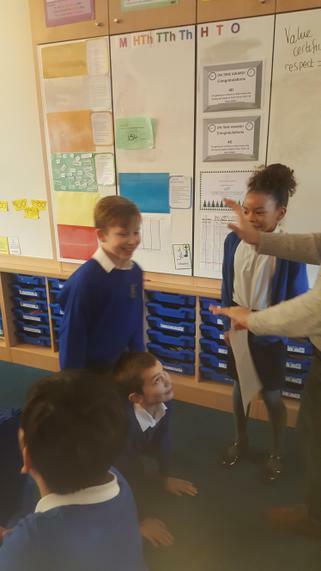 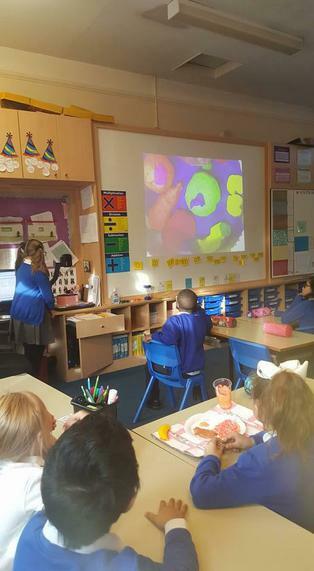 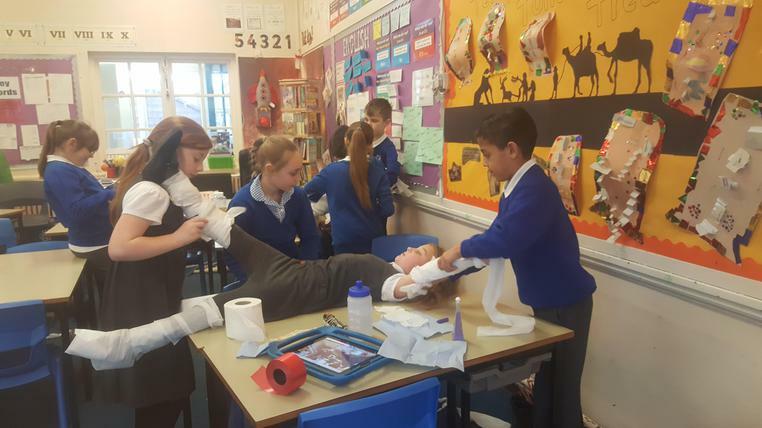 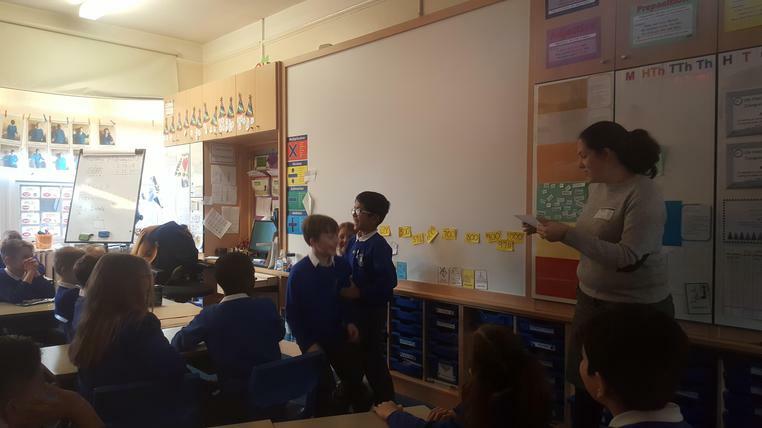 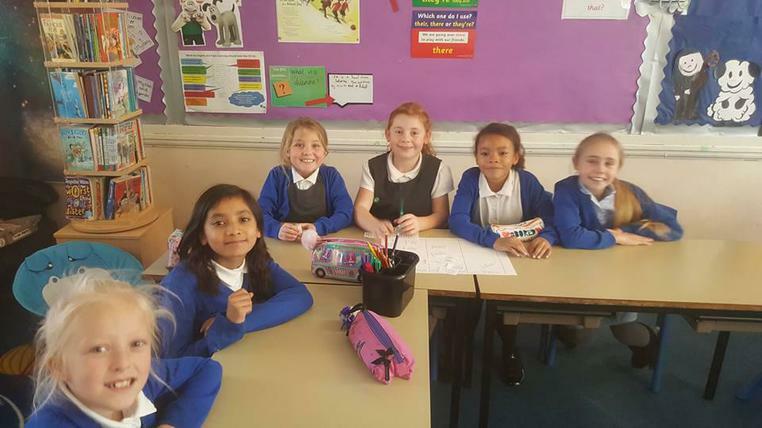 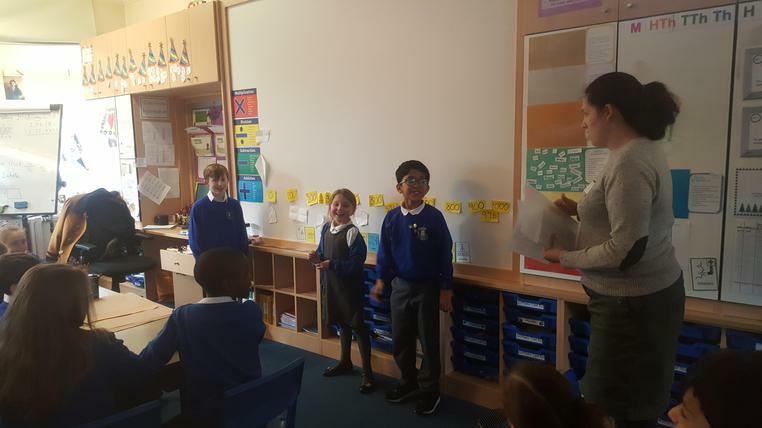 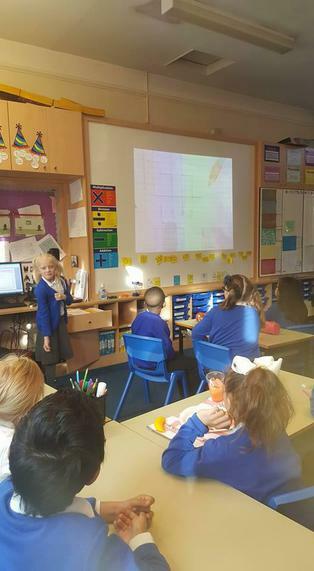 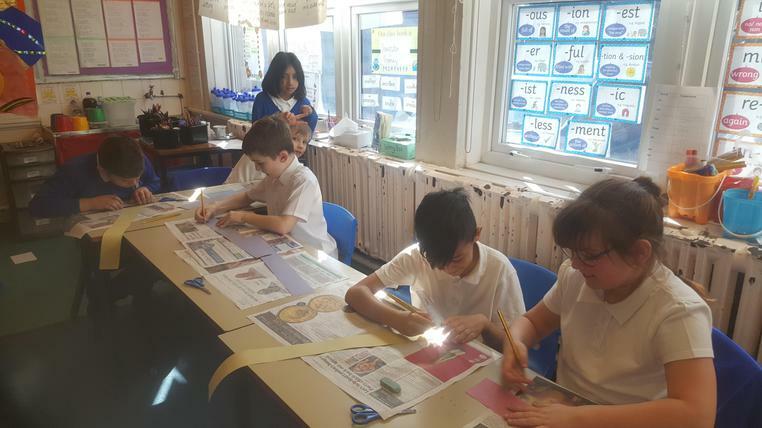 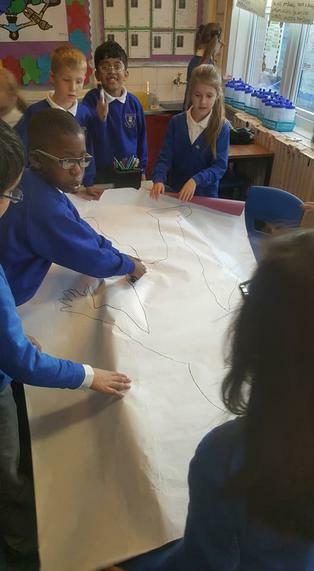 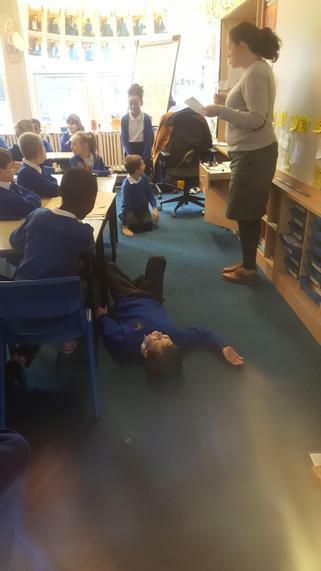 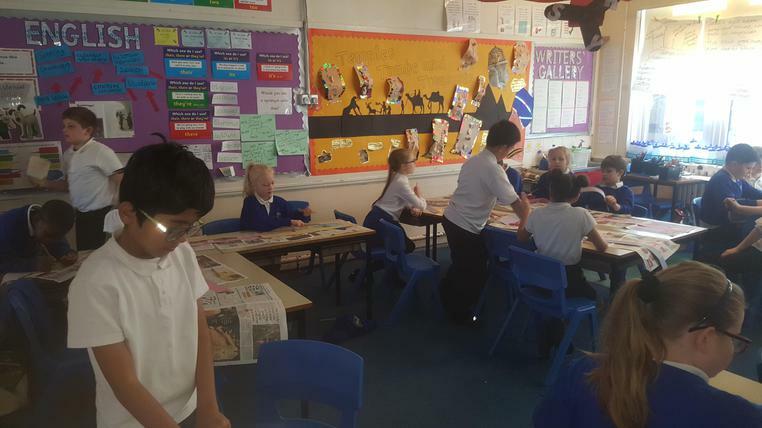 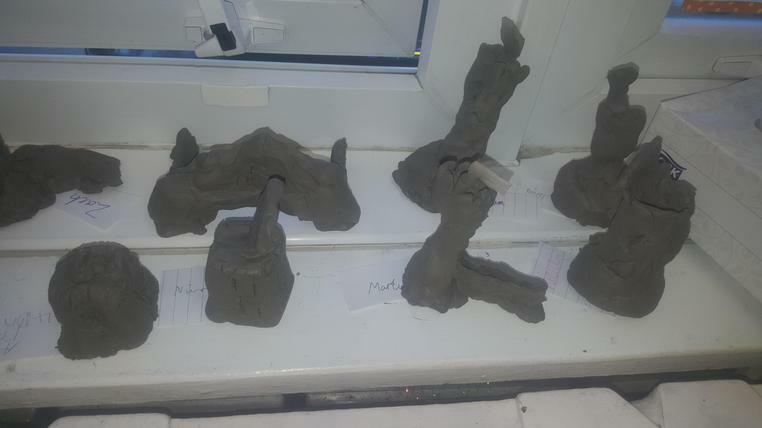 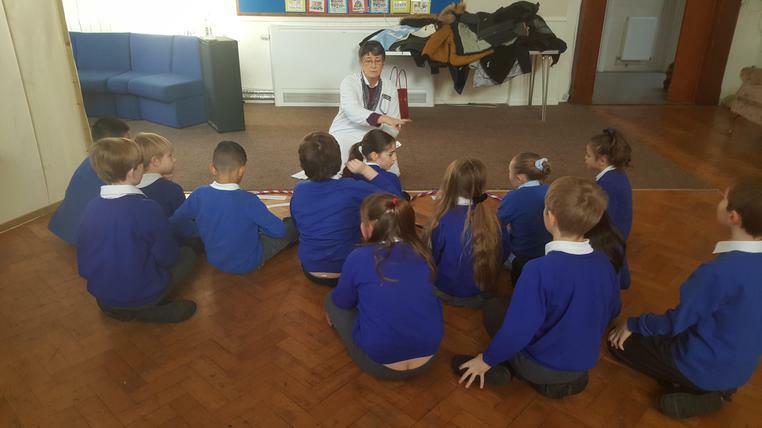 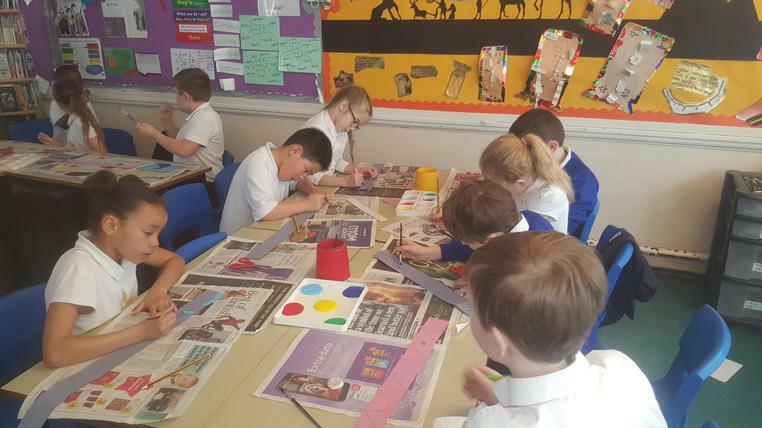 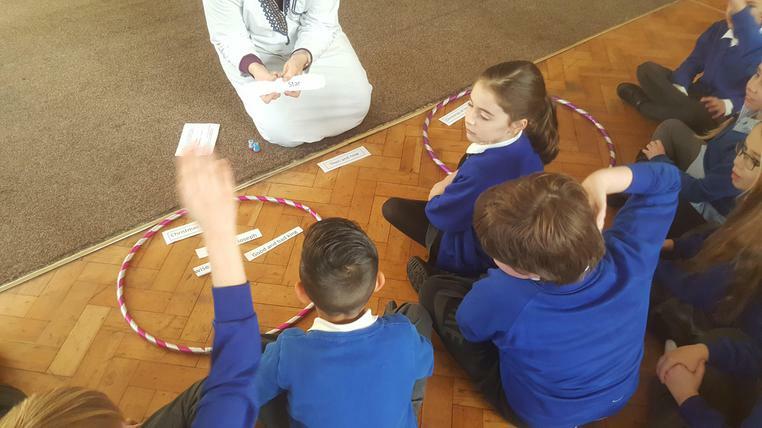 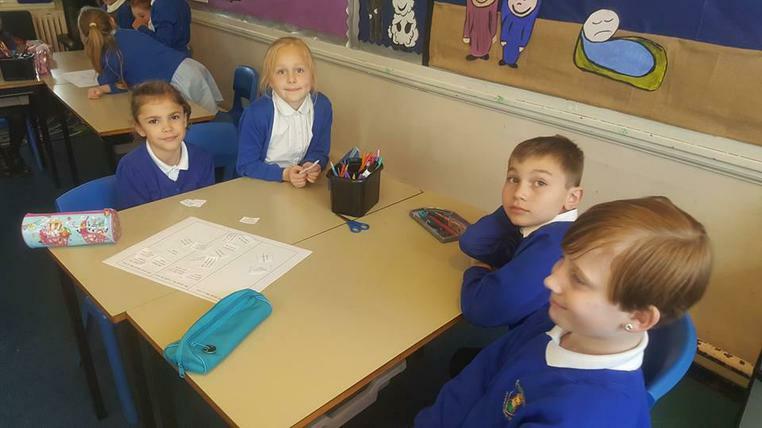 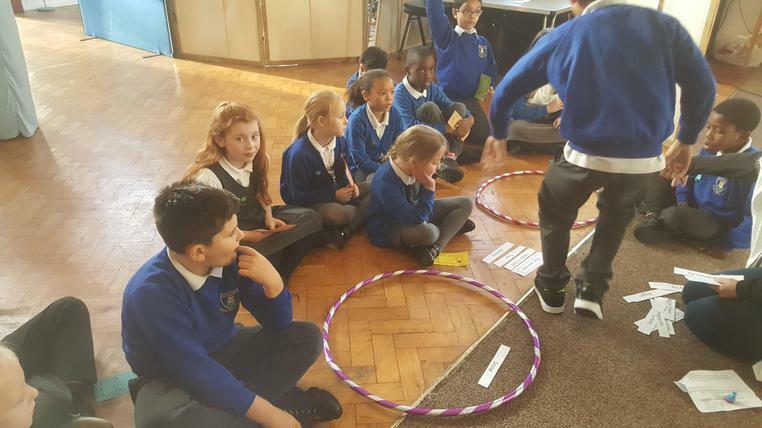 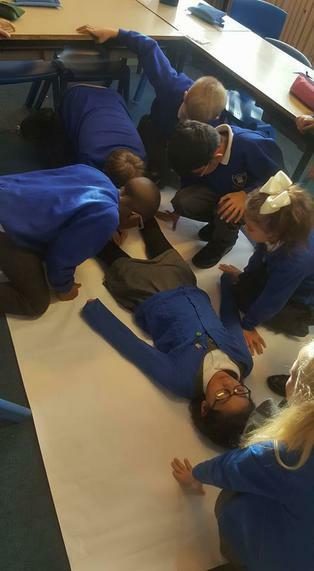 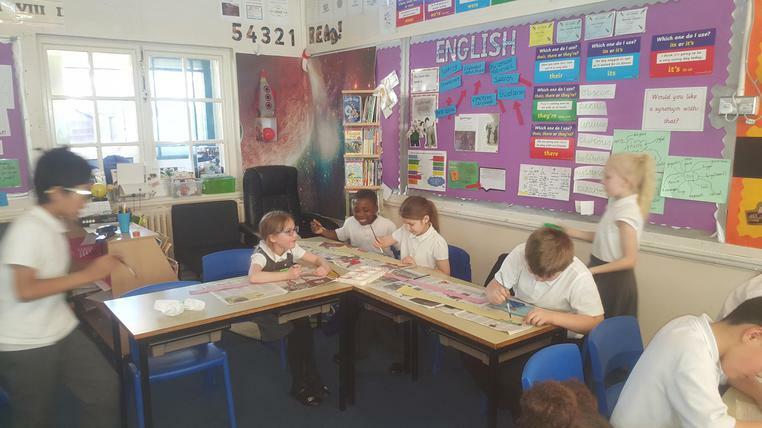 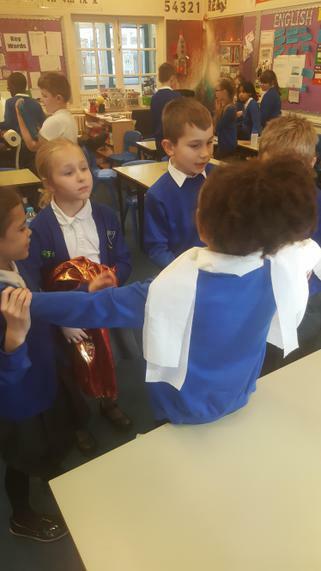 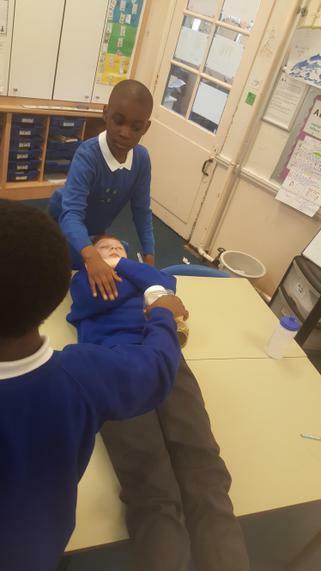 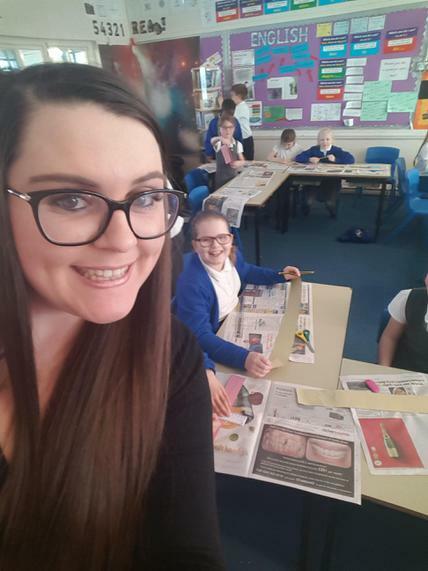 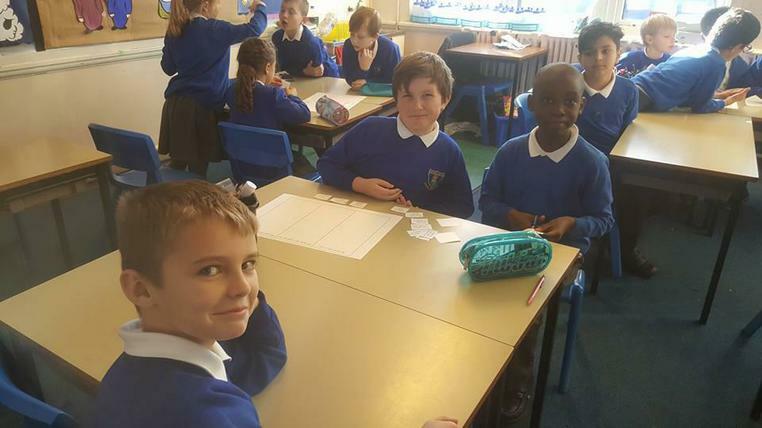 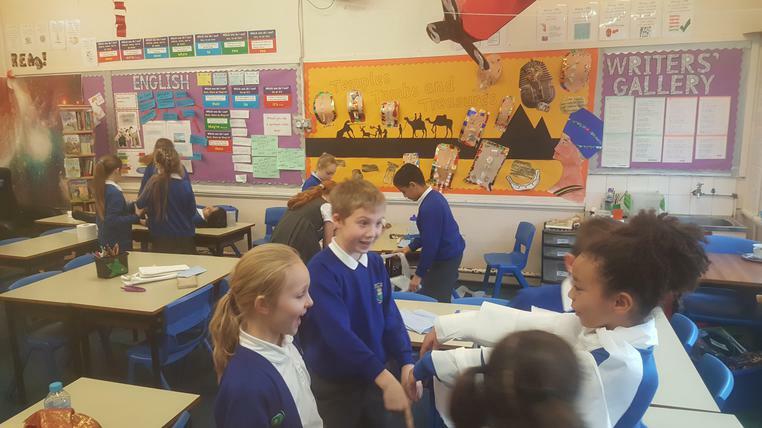 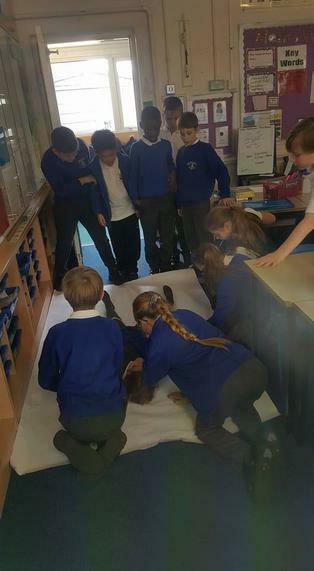 We have had fun in class learning about our bones, muscles, keeping healthy, balanced diets and our digestive system. 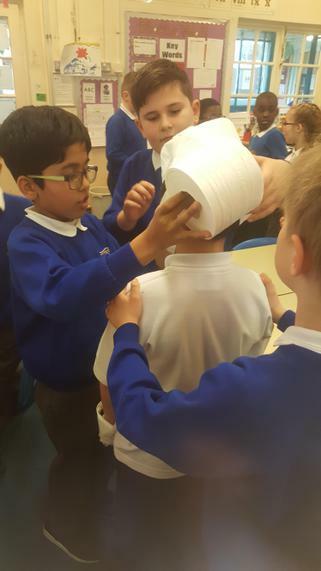 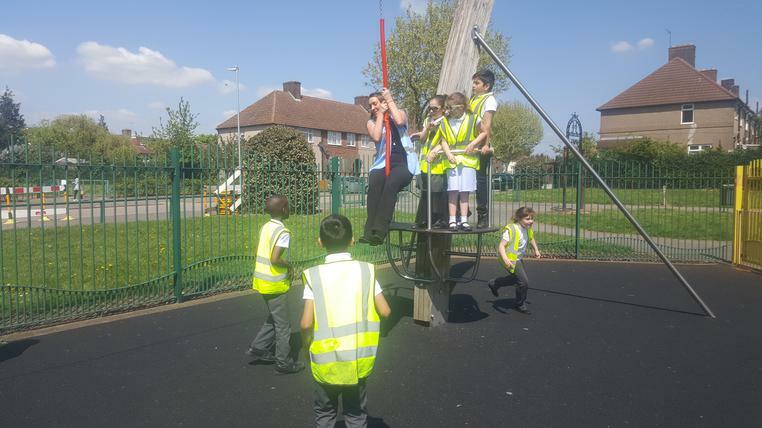 In 4D when we win Green Time, we like to get up to all sorts of fun. 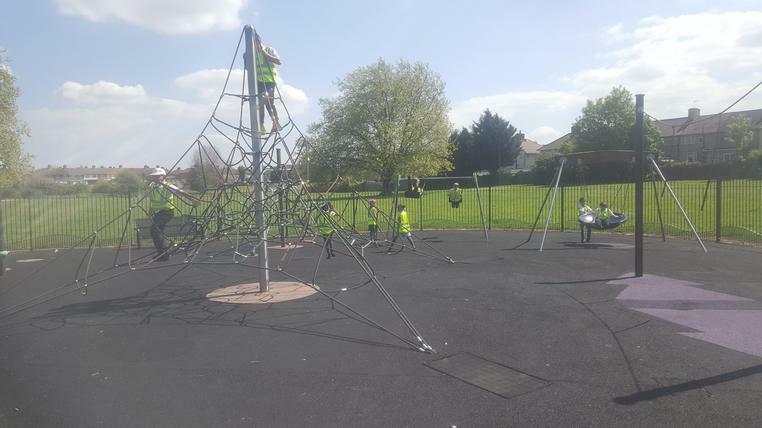 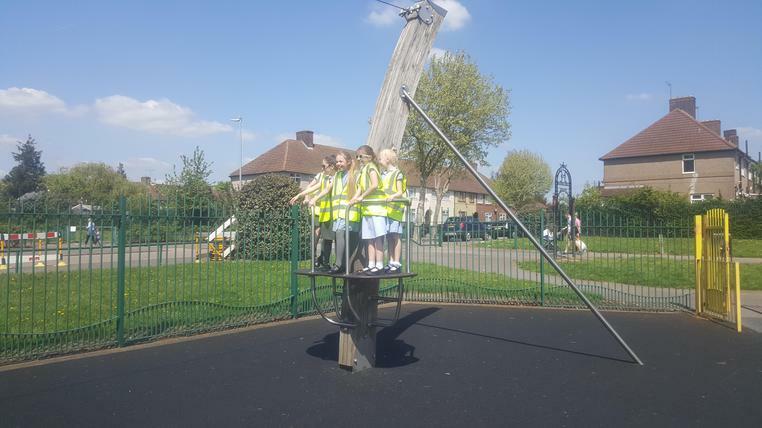 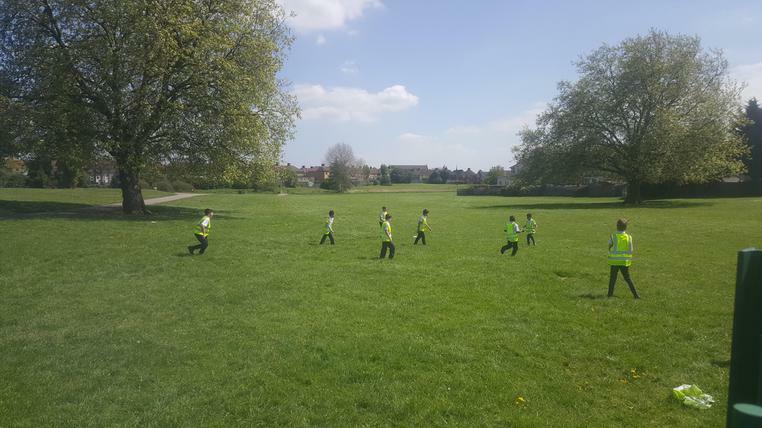 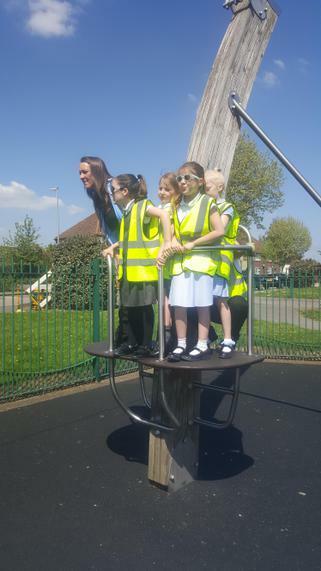 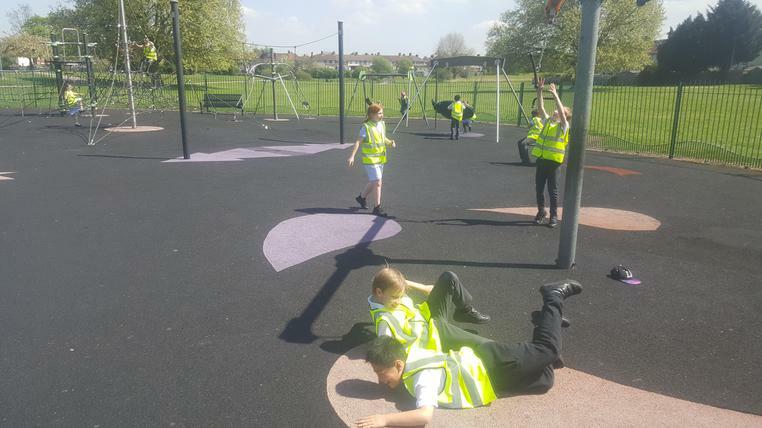 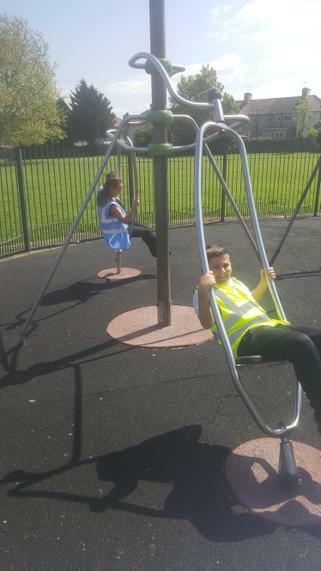 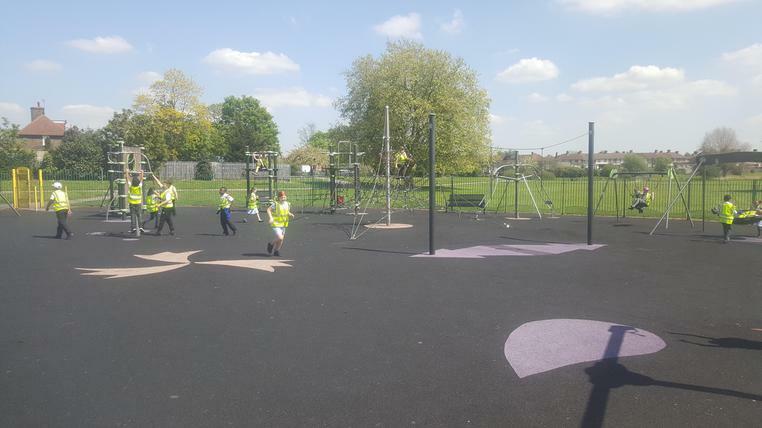 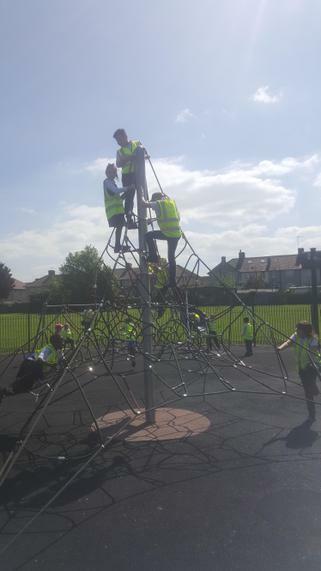 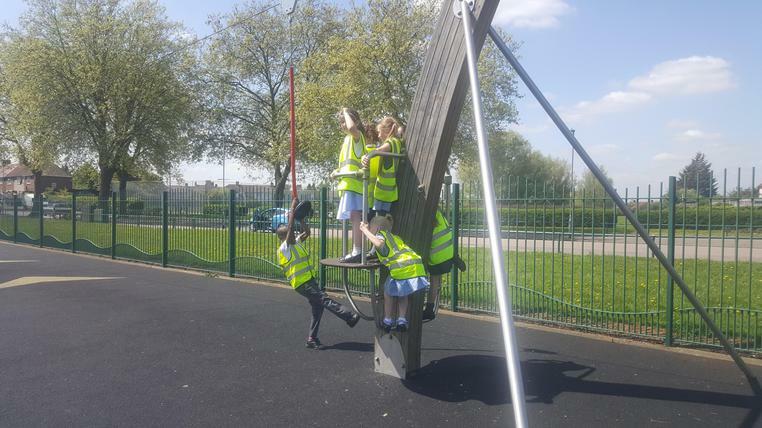 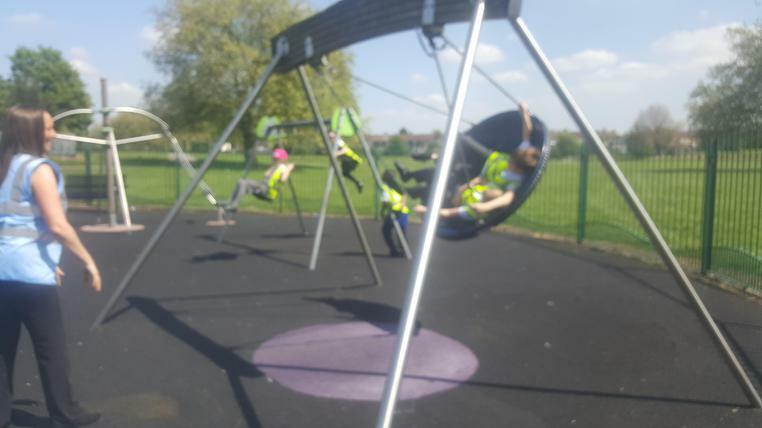 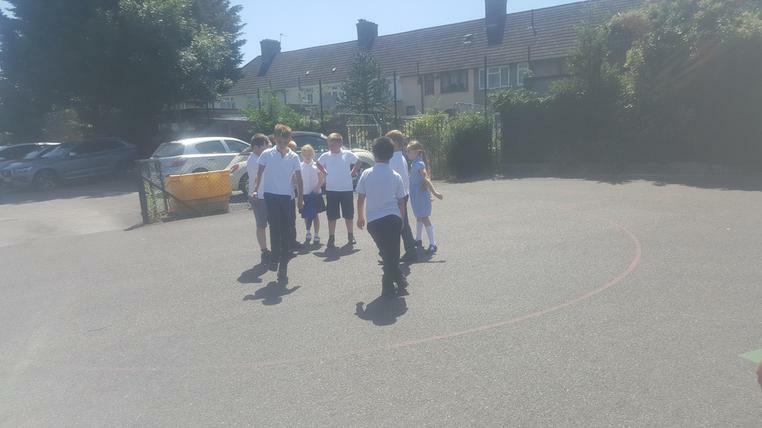 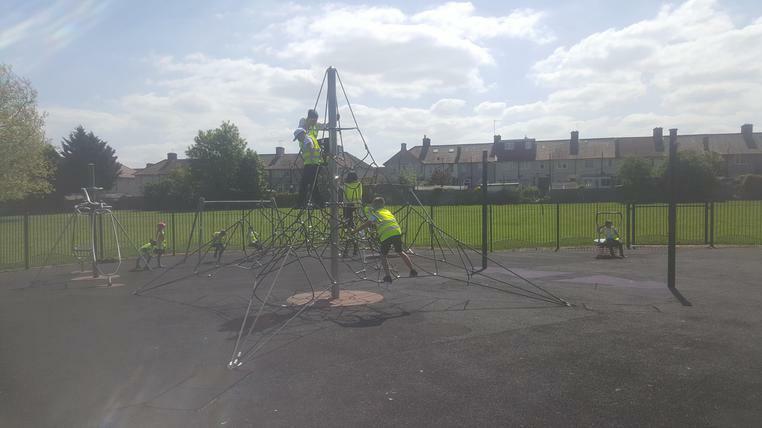 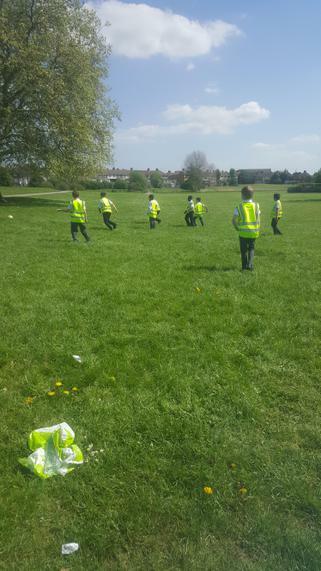 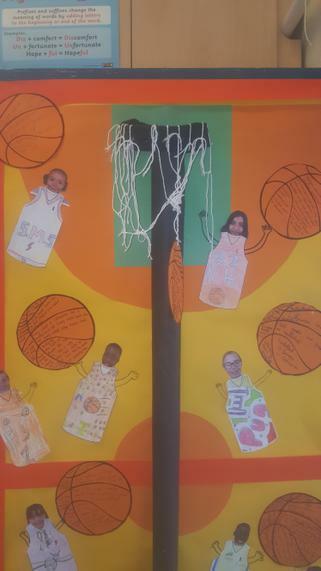 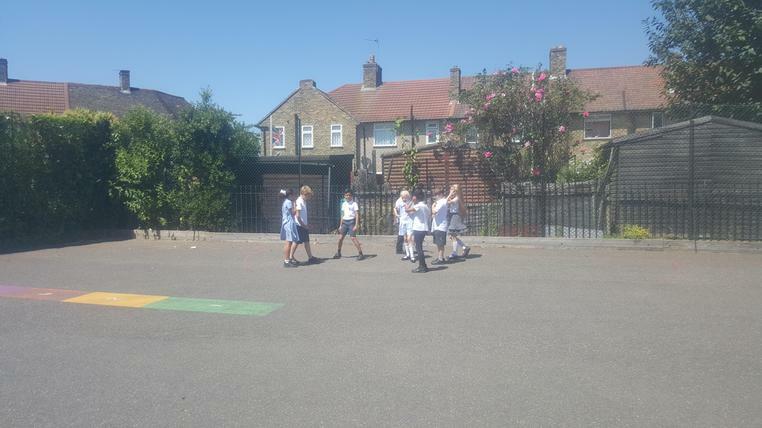 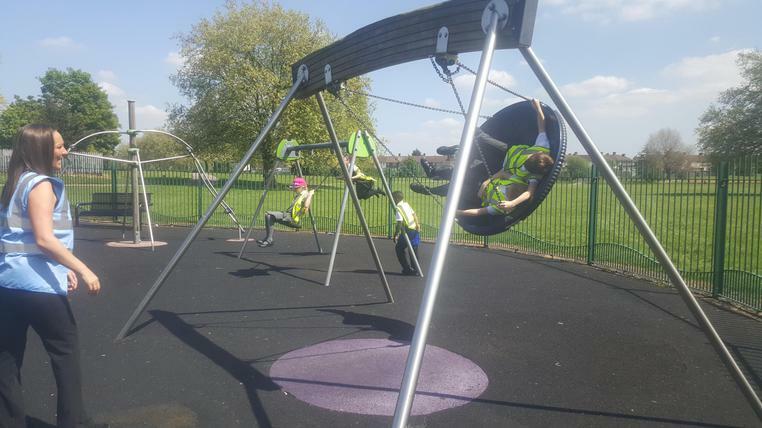 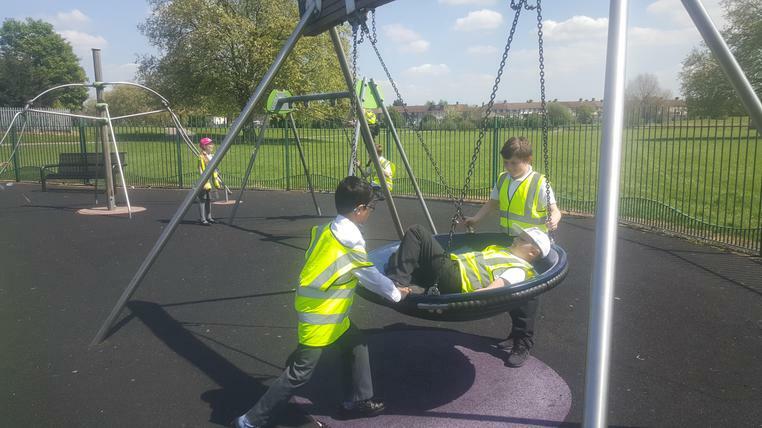 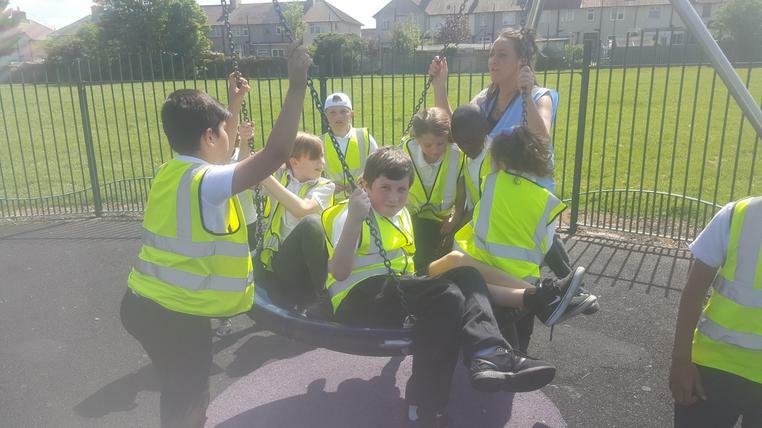 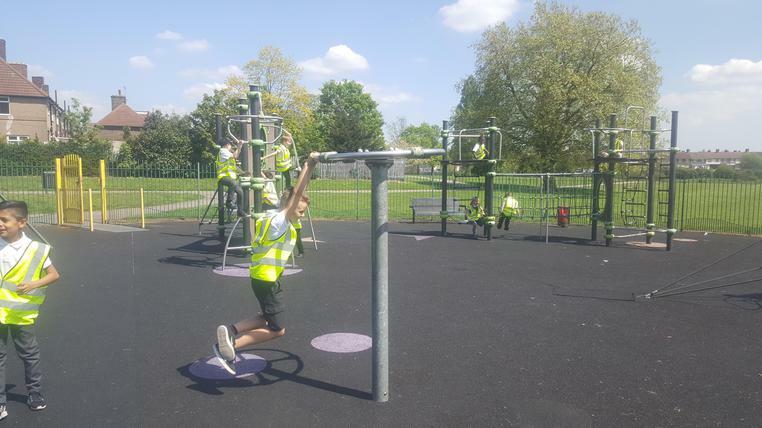 Take a look at the activities that we enjoy doing as a reward for Staying on Green! 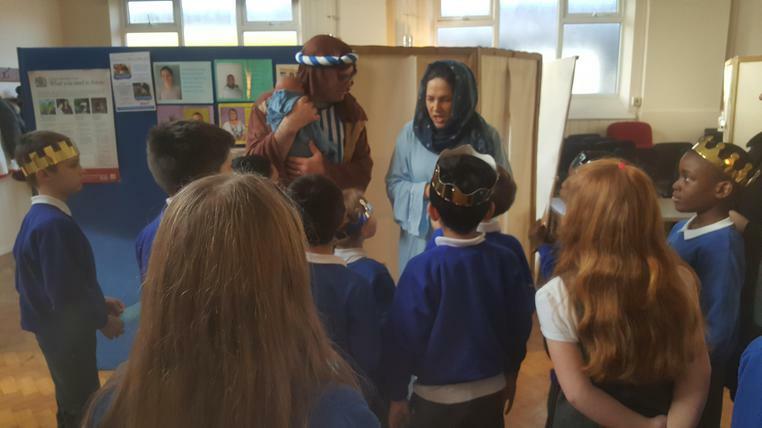 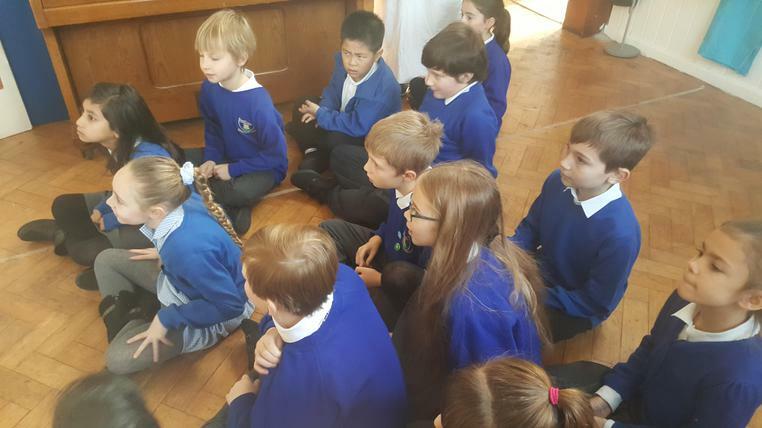 Year 4 have the privilege of performing the Nativity at the local Church. 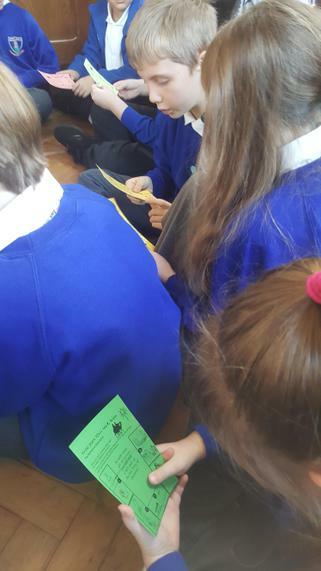 Please practise the songs at home. 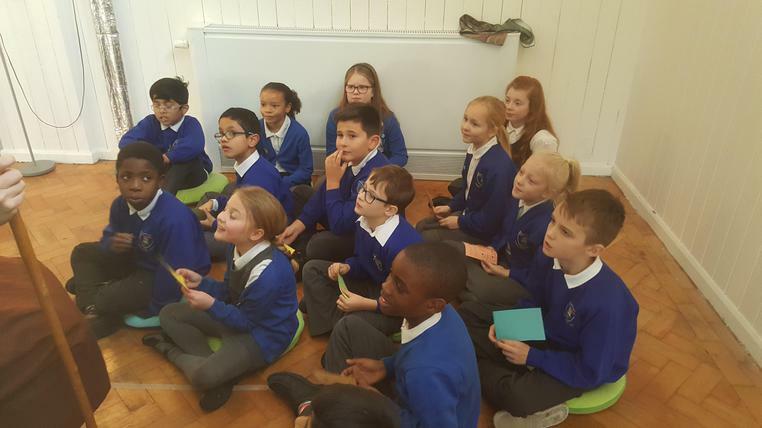 Feel free to learn them too so you can sing along at our performance! 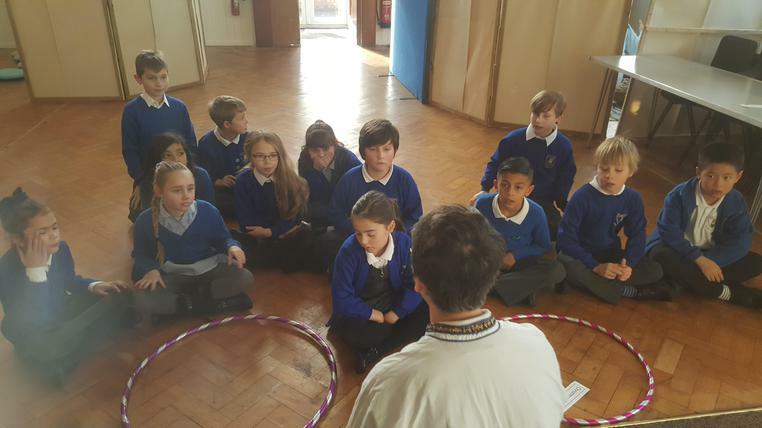 The children in Year 4 deserve medals for their fantastic performance at the Church. 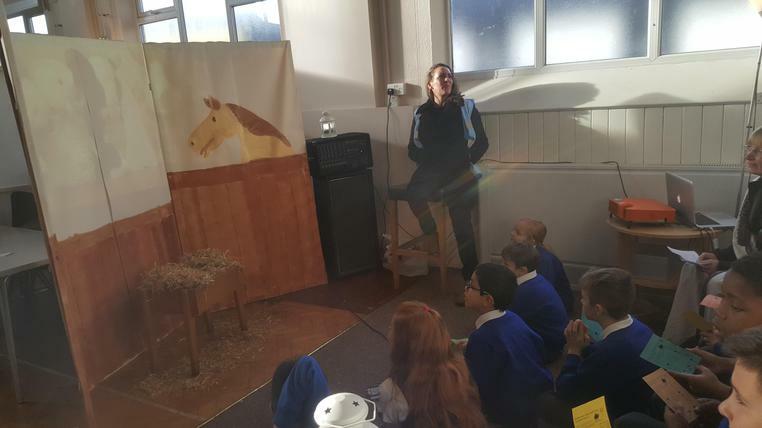 All of the teachers were extremely proud of everyone's efforts and resilience throughout the whole production. 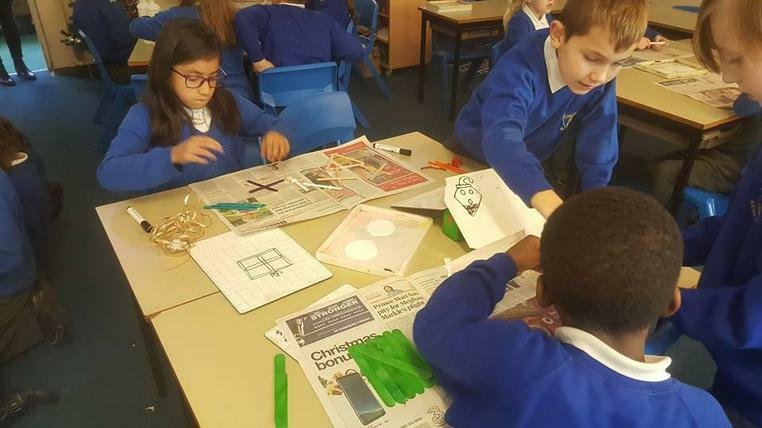 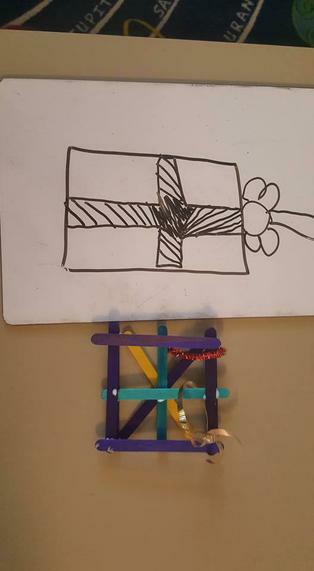 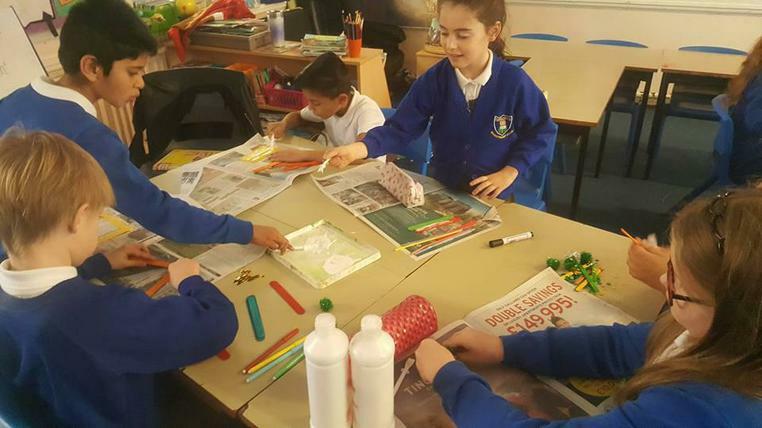 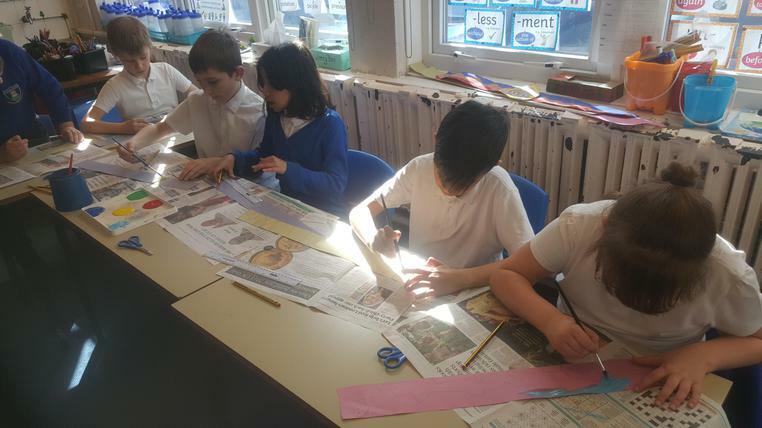 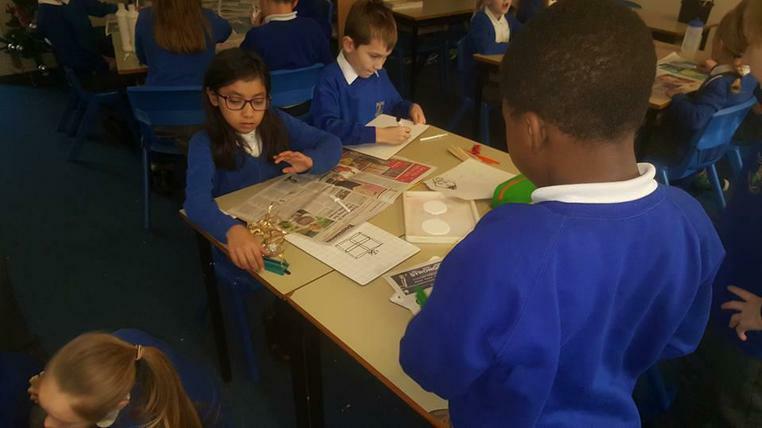 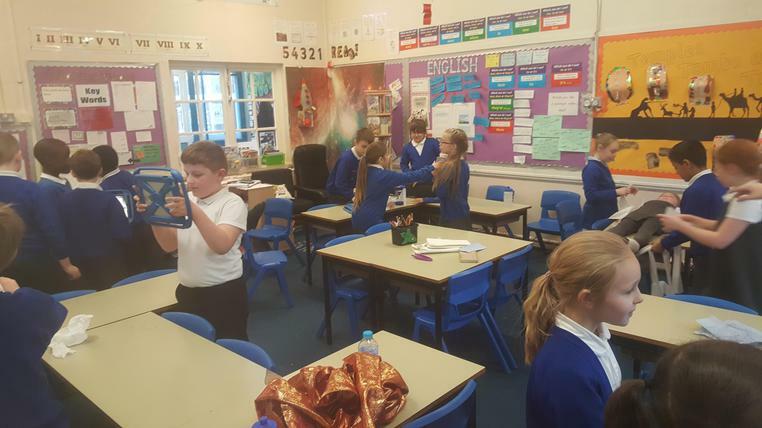 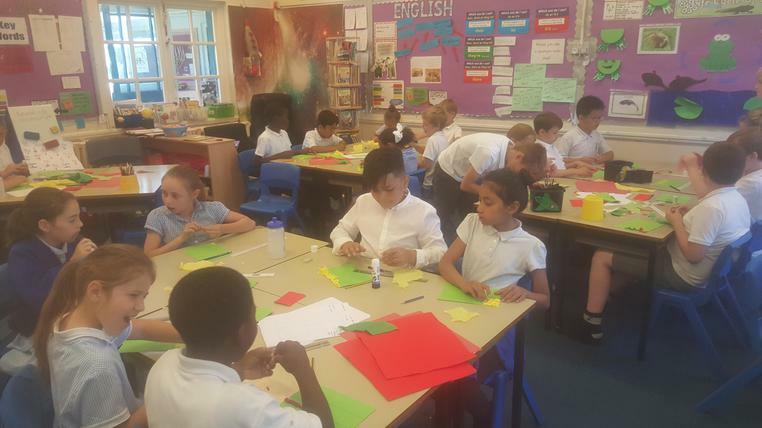 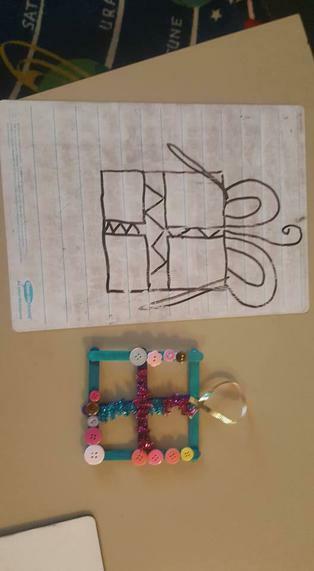 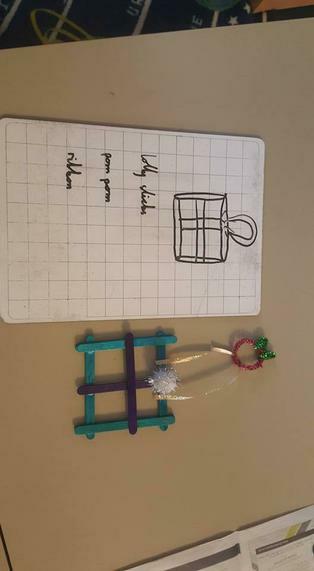 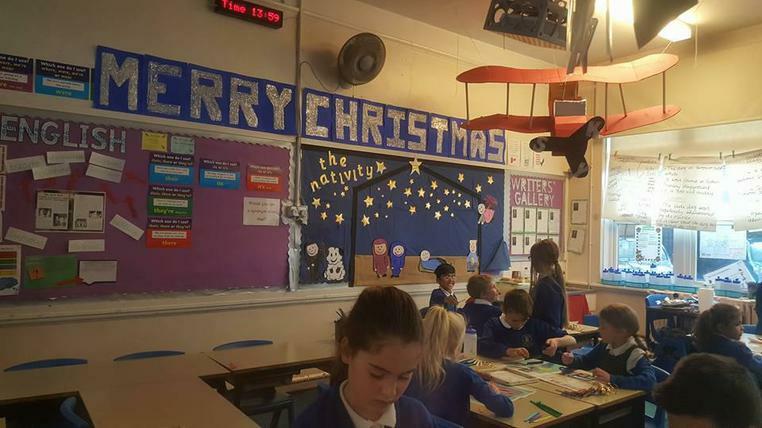 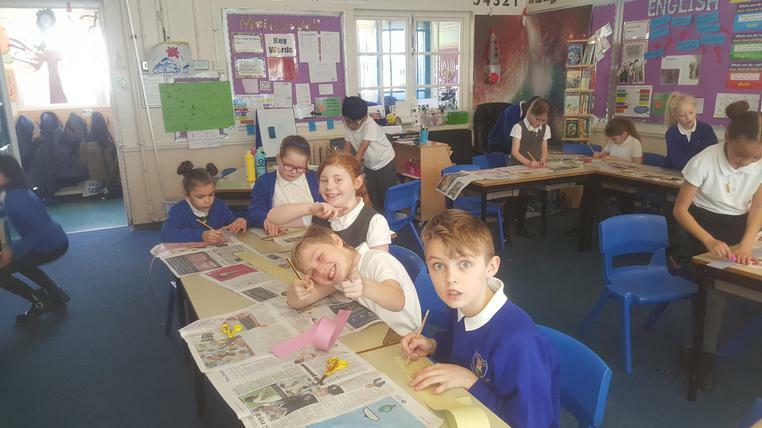 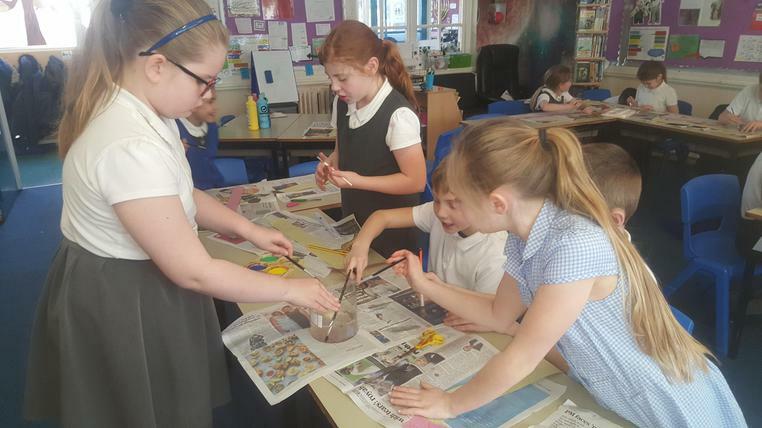 Take a look at what we have been up to since then...designing and making our own hanging decorations; don't worry, we will send them home for your trees!